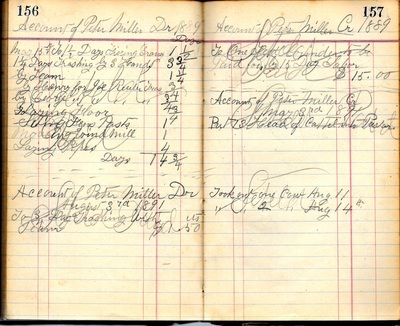 Peter Gold was a Union Civil War veteran, a private in the 153rd Pennsylvania Infantry. He was at Chancellorsville and in hand-to-hand fighting at Gettysburg. 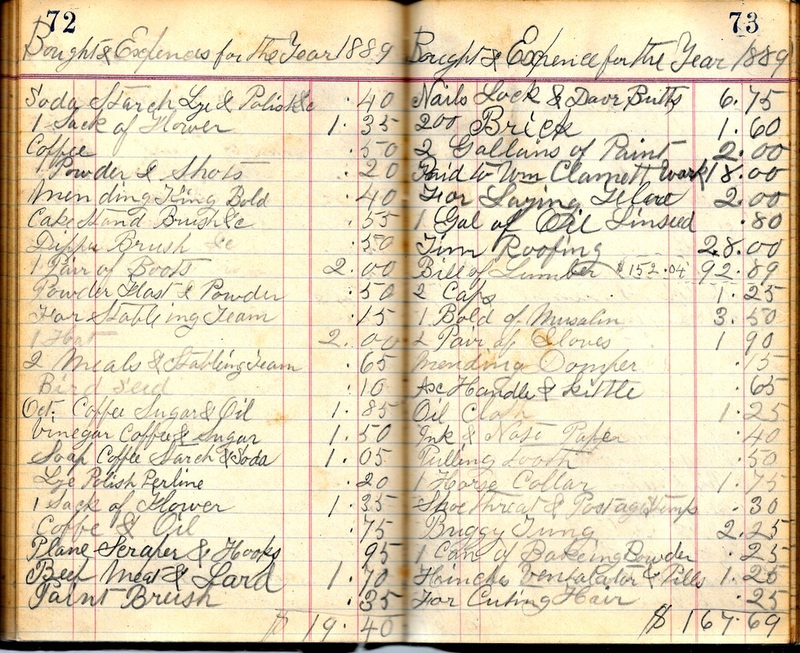 After the war, he came to Table Rock, where he spent the rest of his life farming. 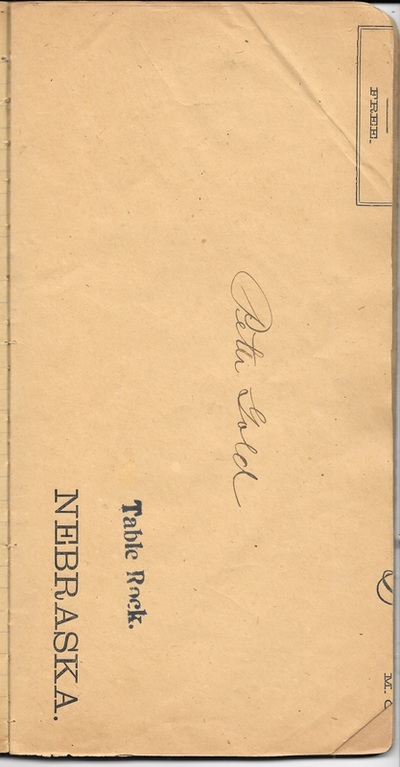 Peter and his 2nd wife Julia raised a little girl named Goldie. 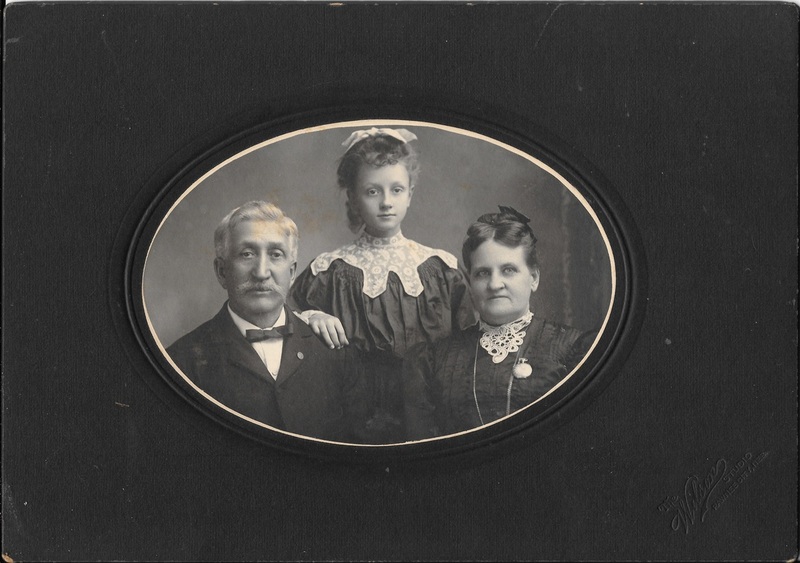 Her family was once a neighbor to the Golds. 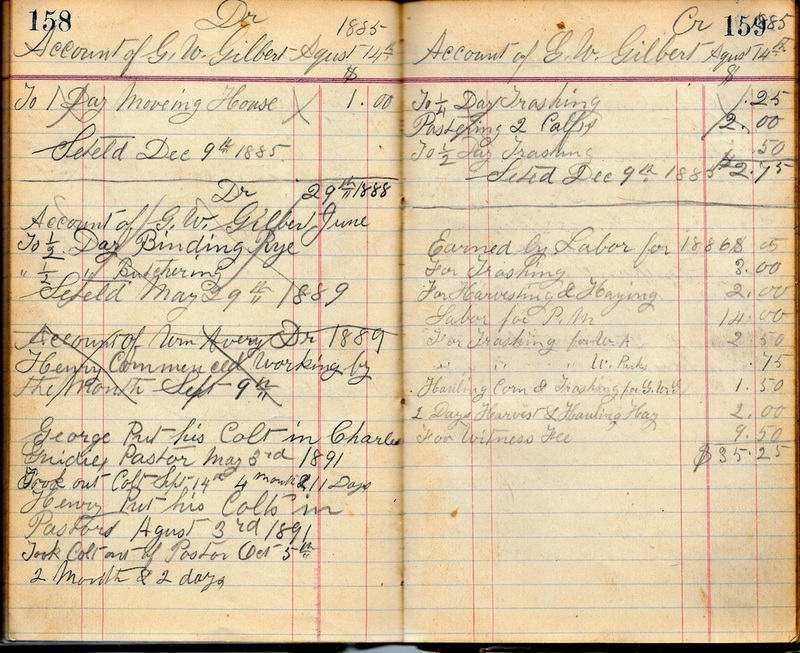 She was a sickly little girl and when her family moved on, she was left to the Gold's nurturing. 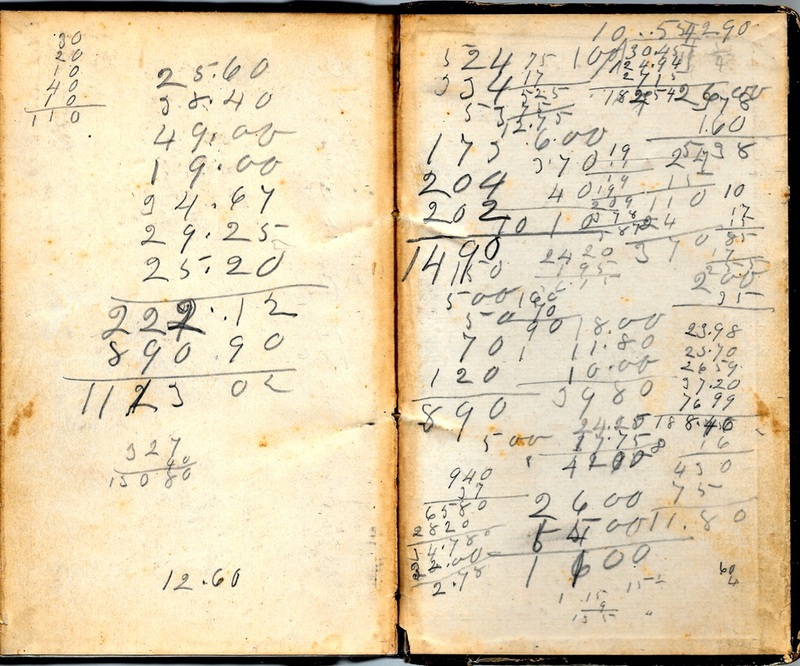 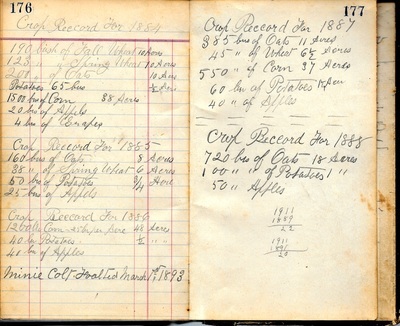 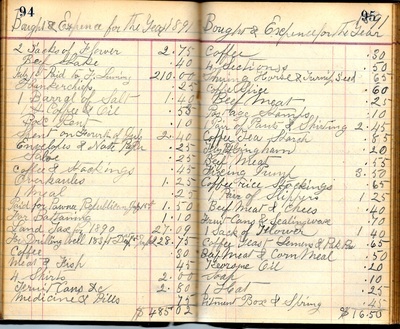 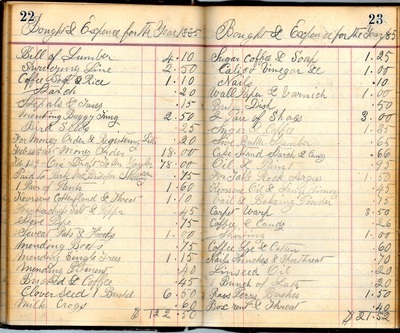 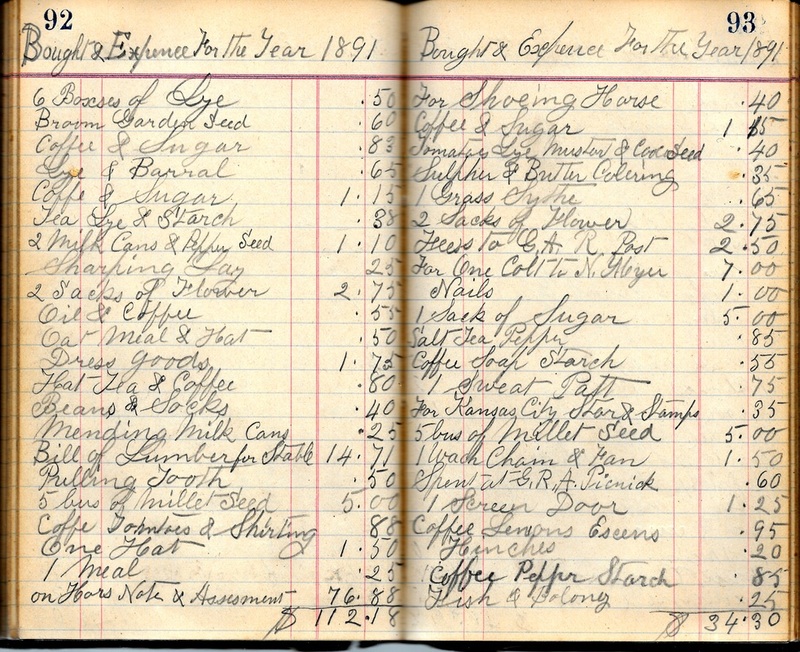 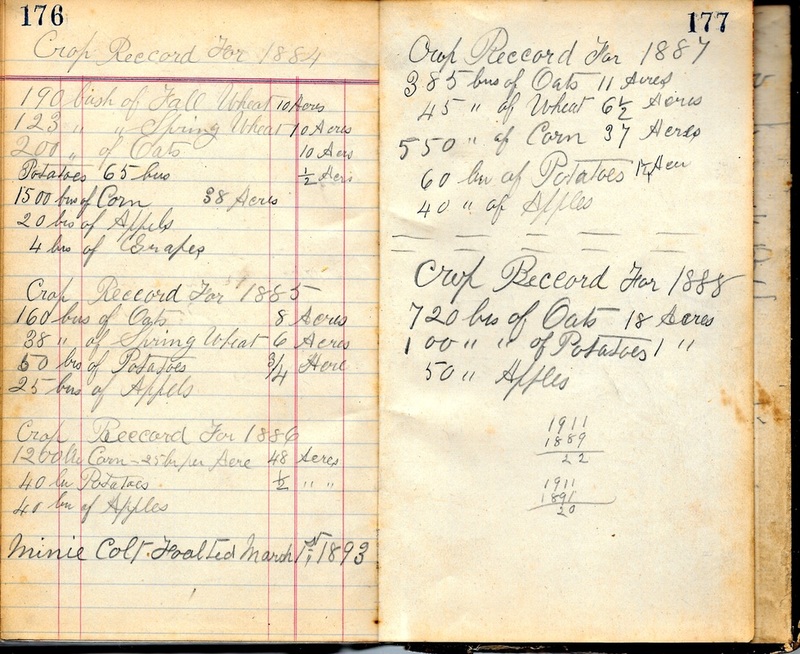 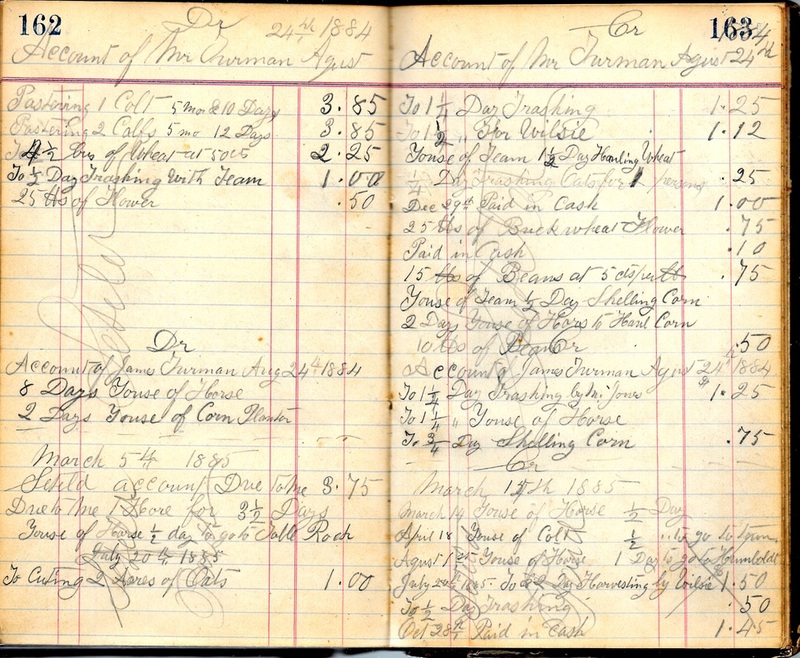 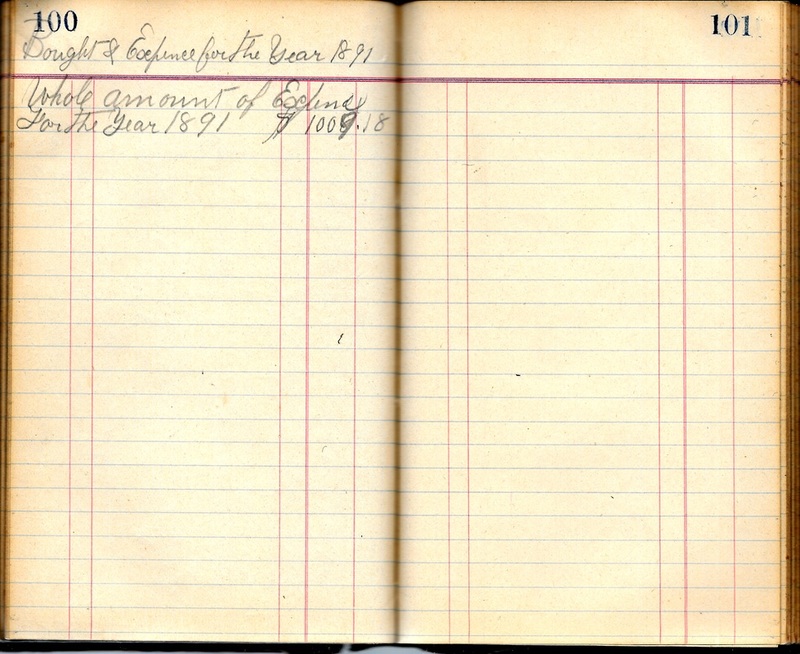 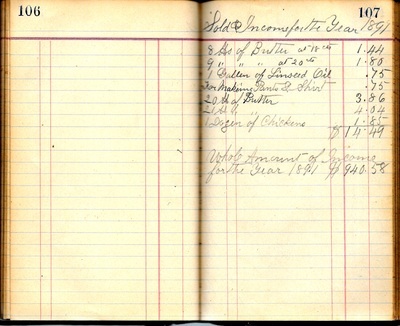 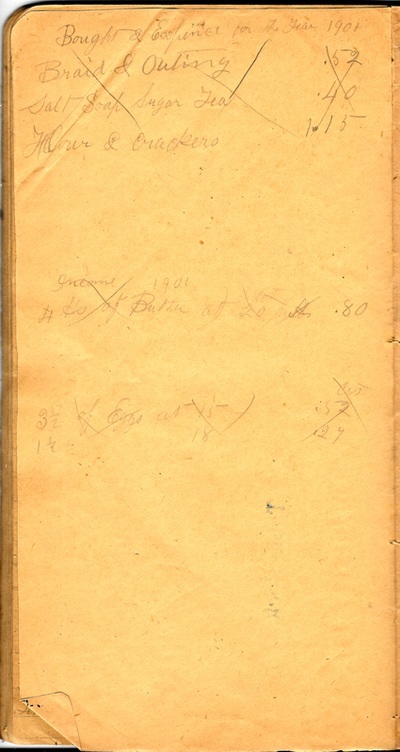 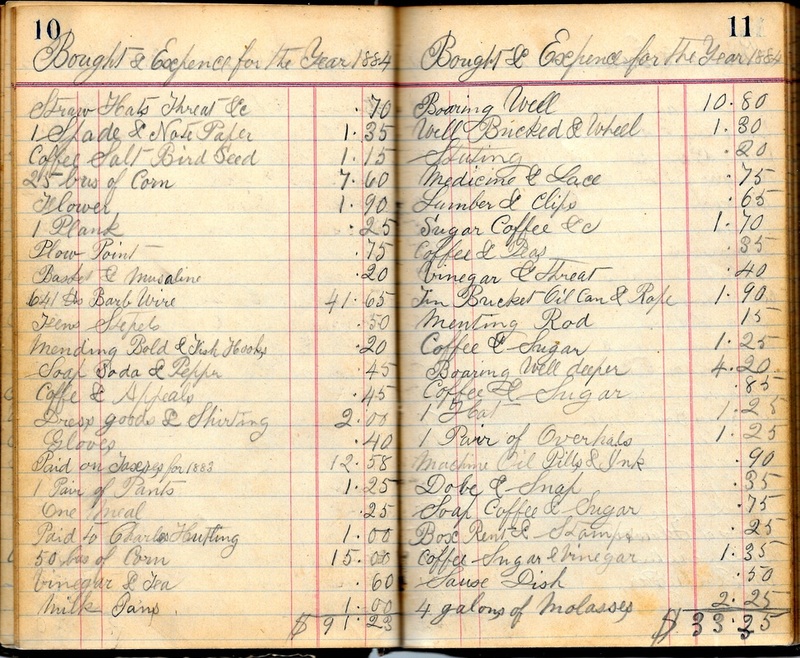 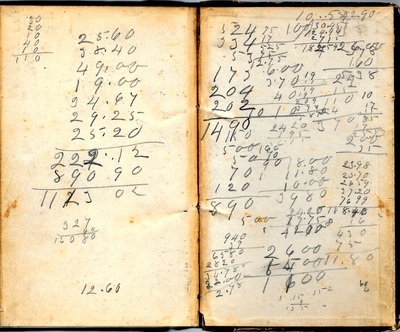 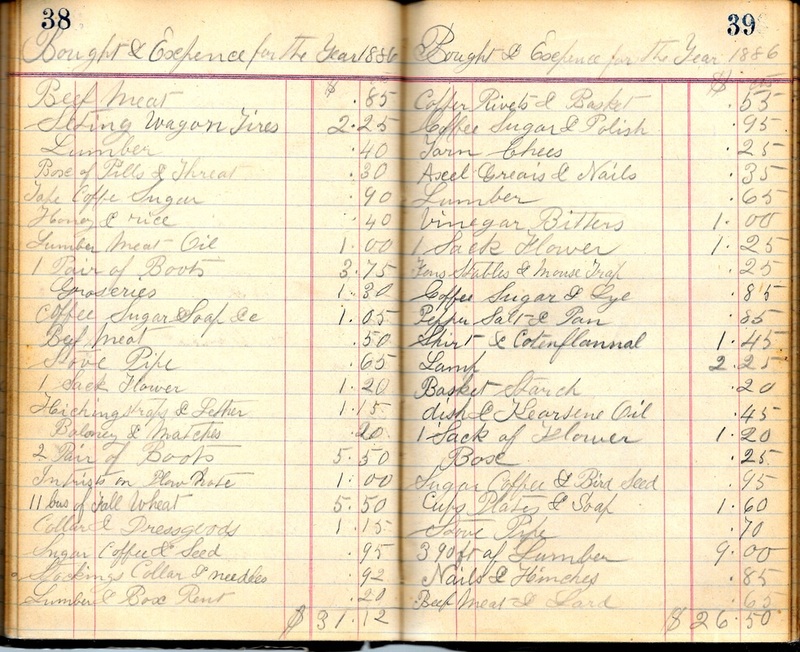 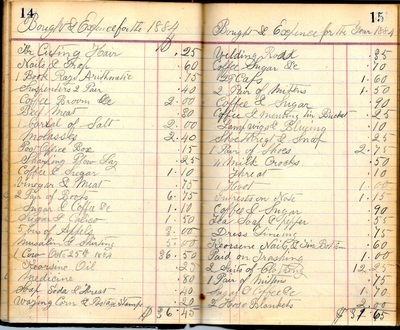 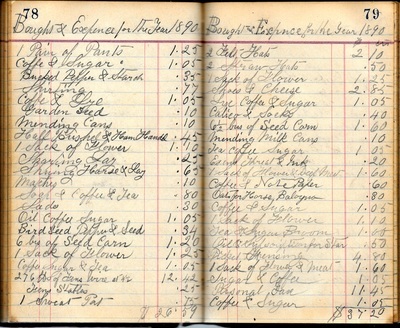 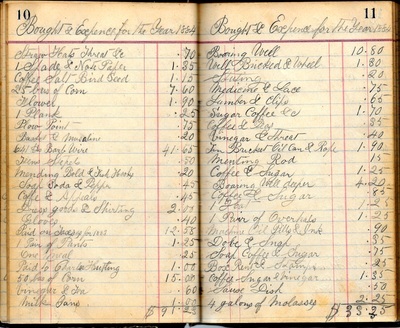 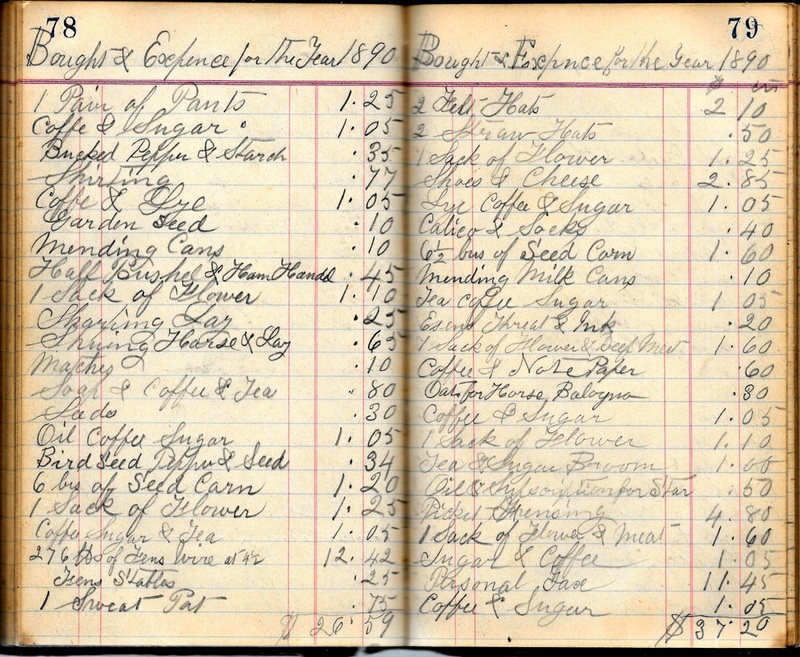 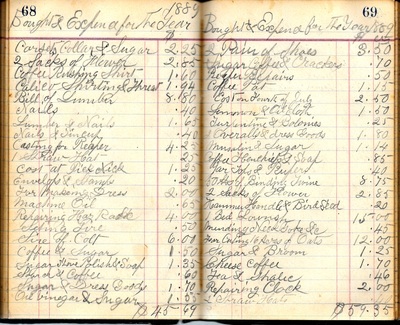 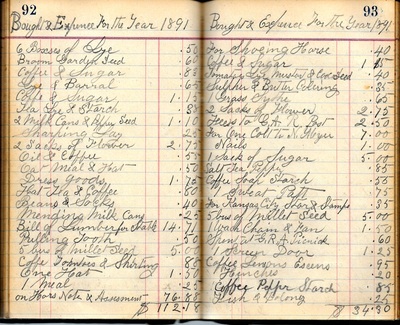 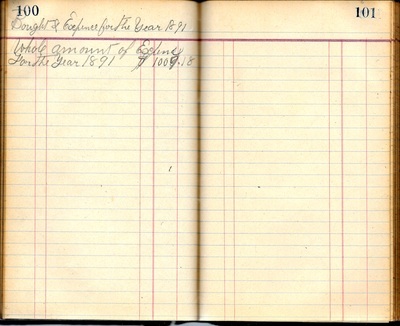 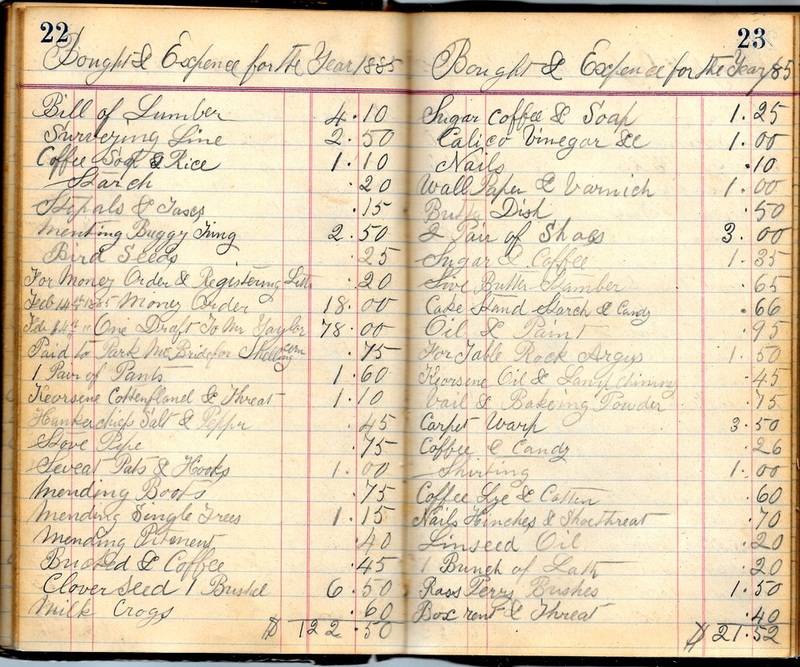 Goldie's grandson Richard Binder shared two of Peter Gold's ledgers. 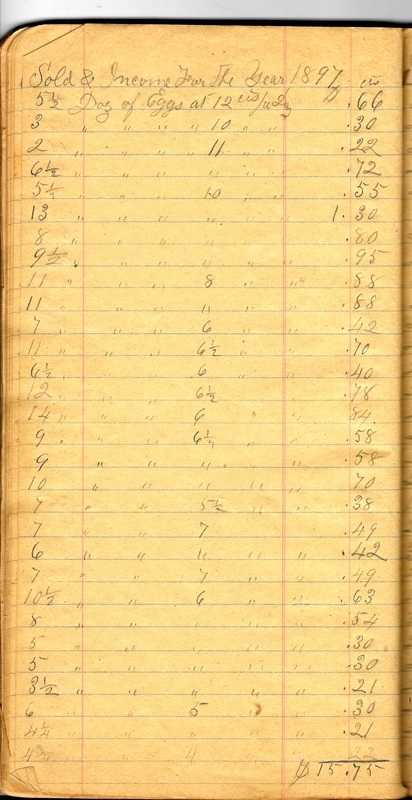 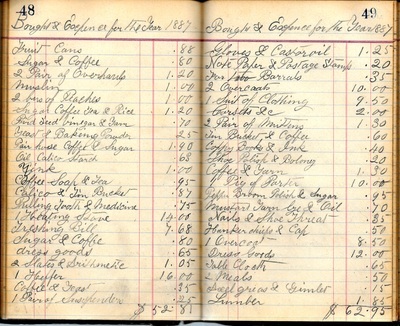 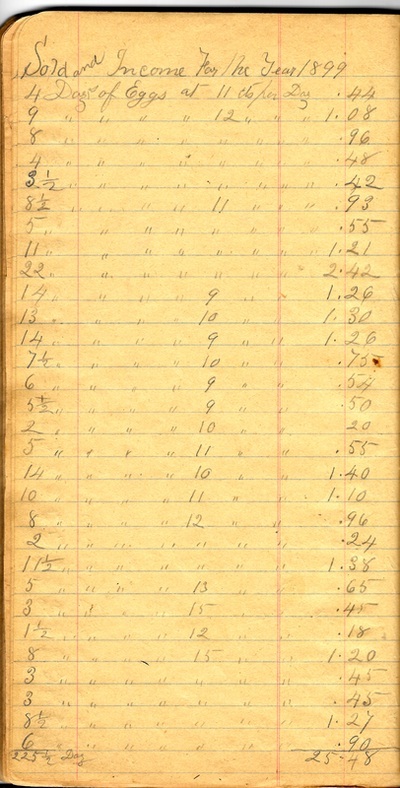 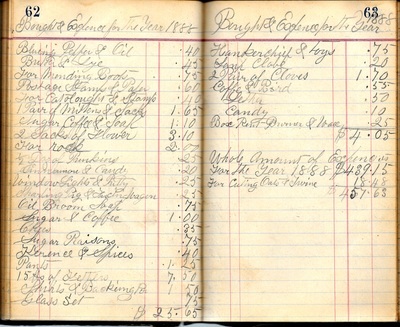 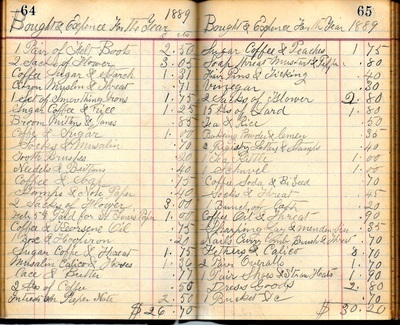 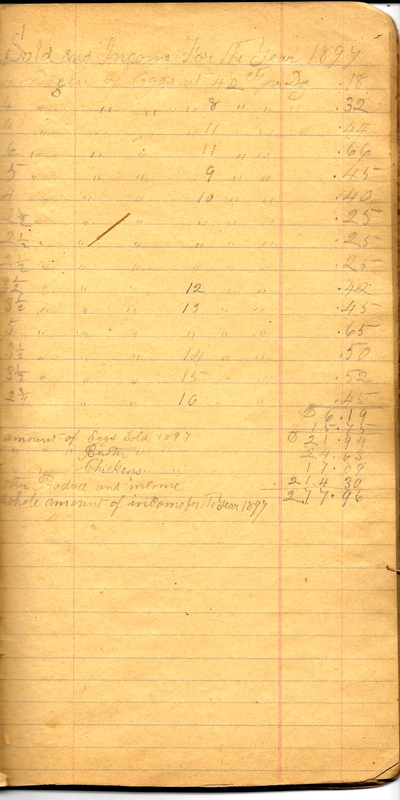 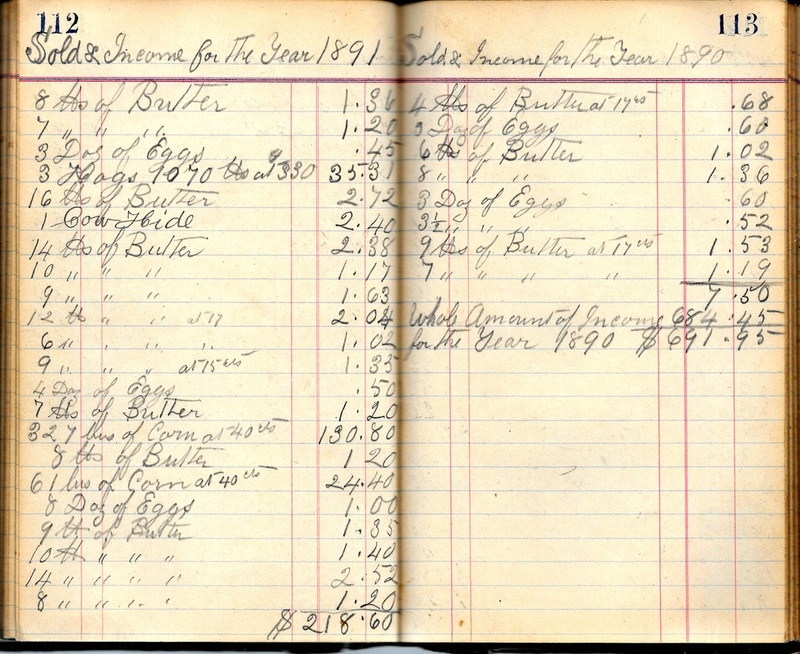 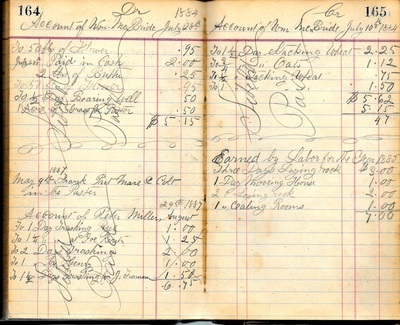 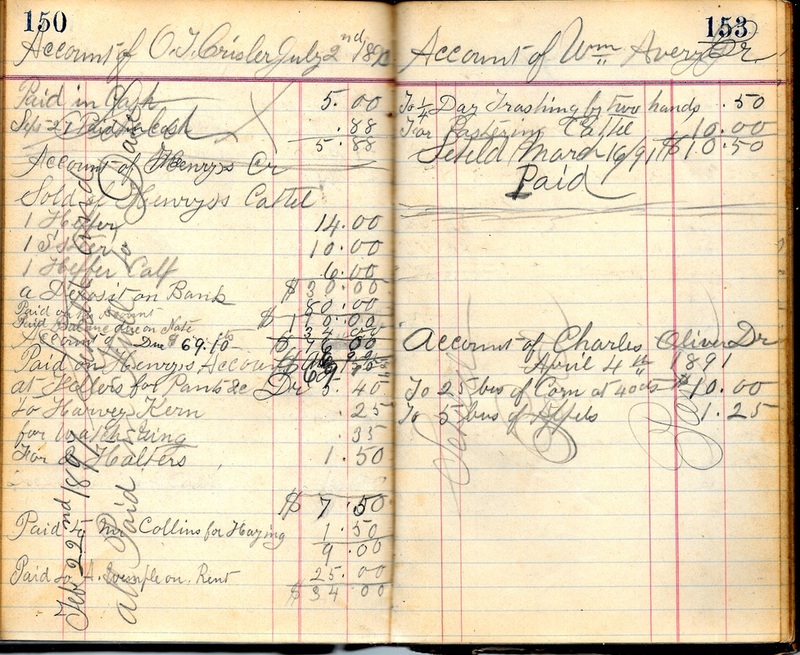 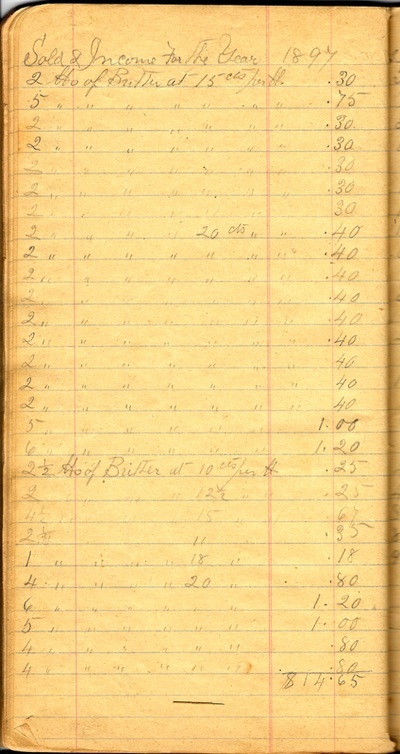 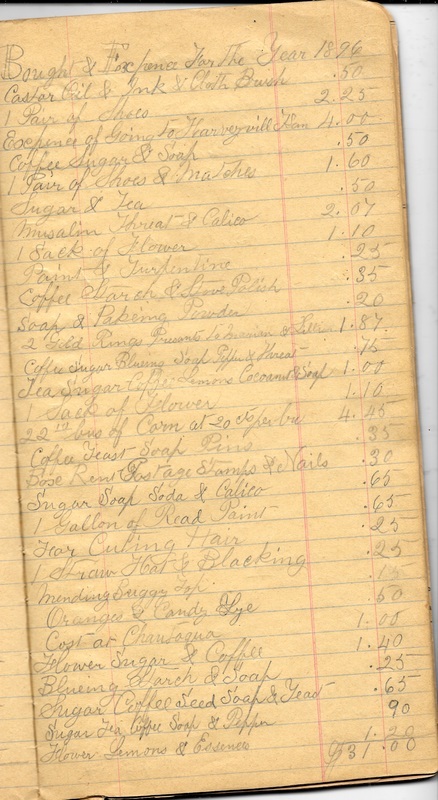 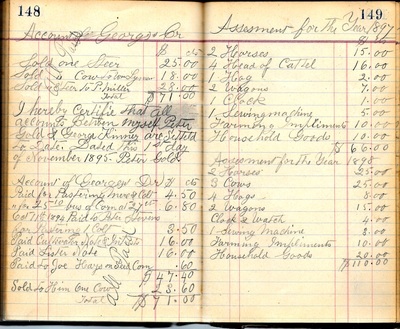 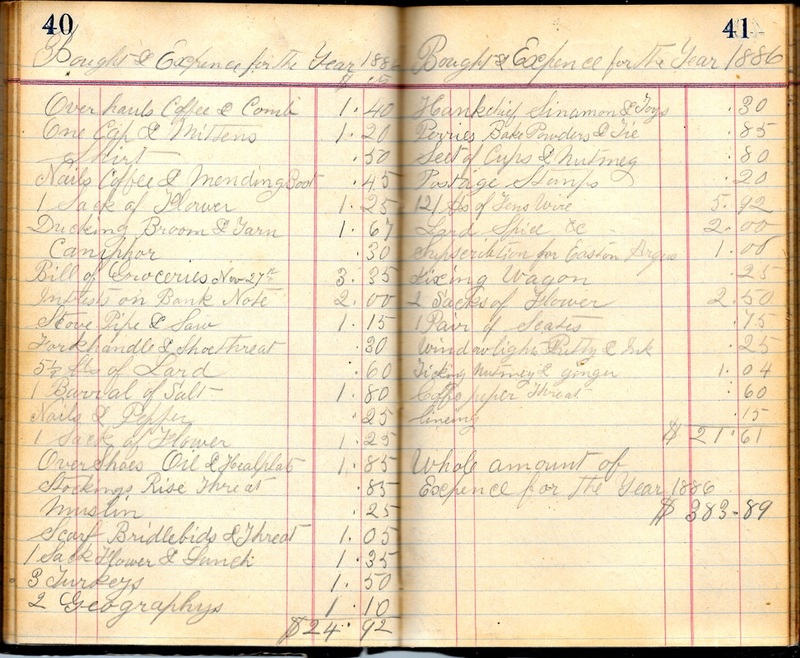 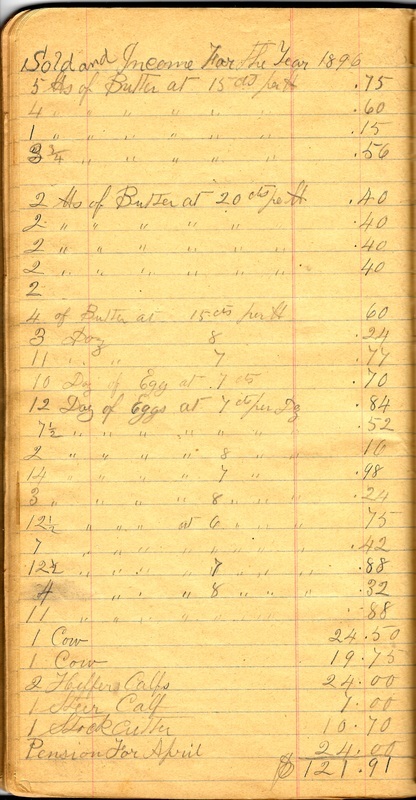 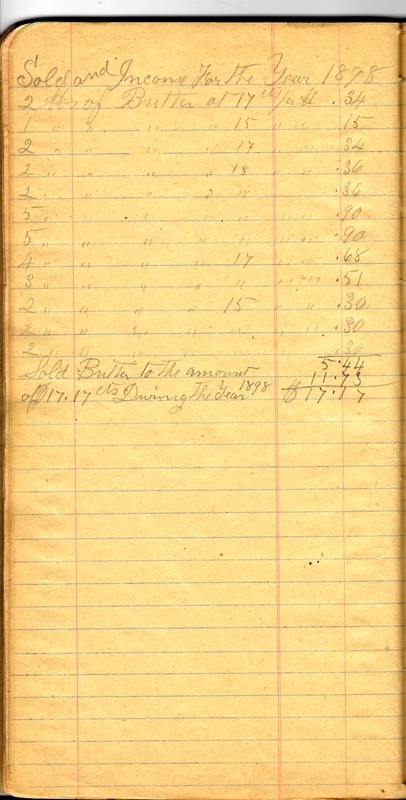 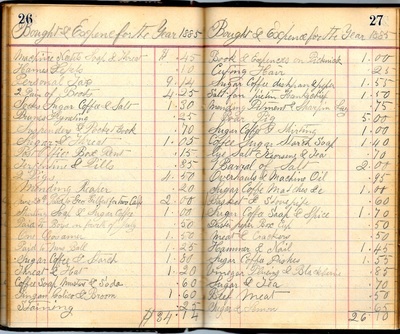 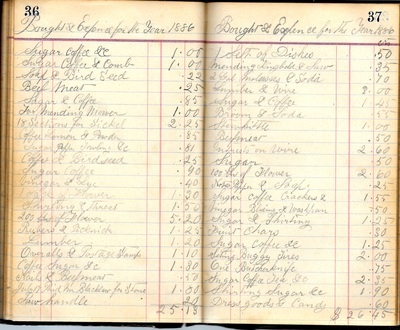 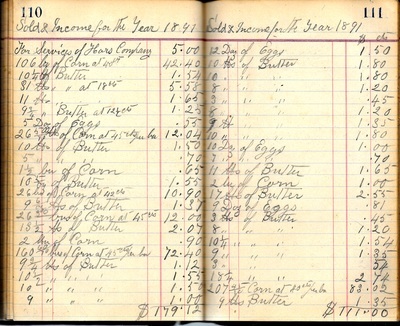 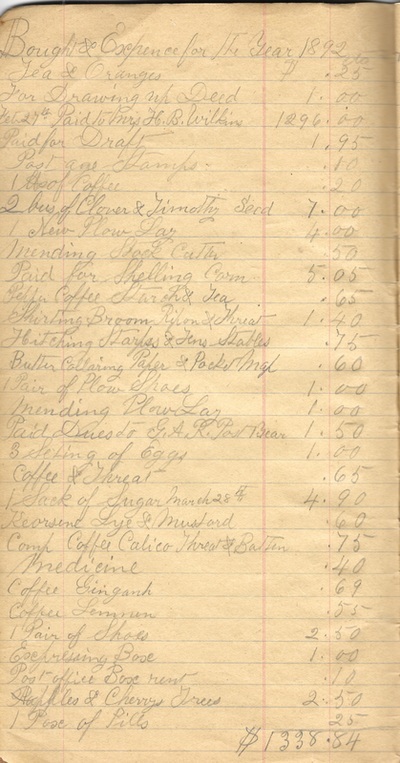 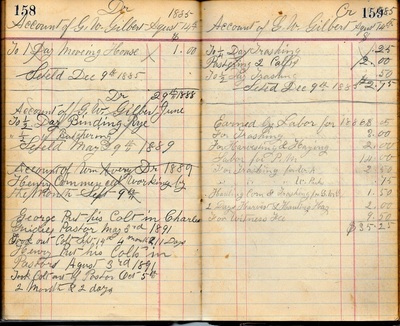 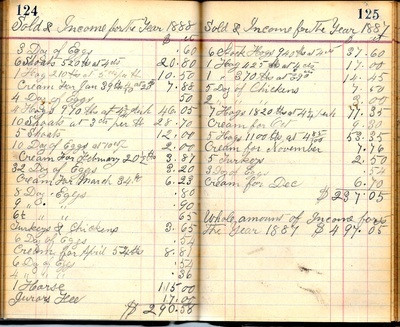 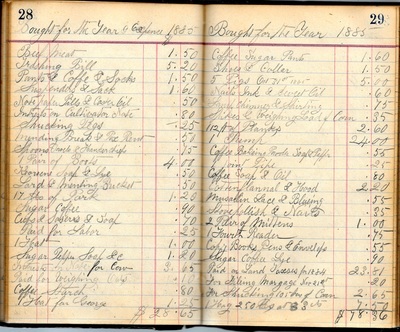 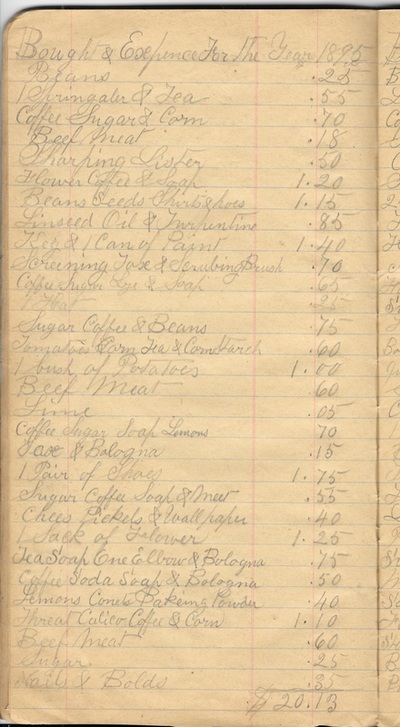 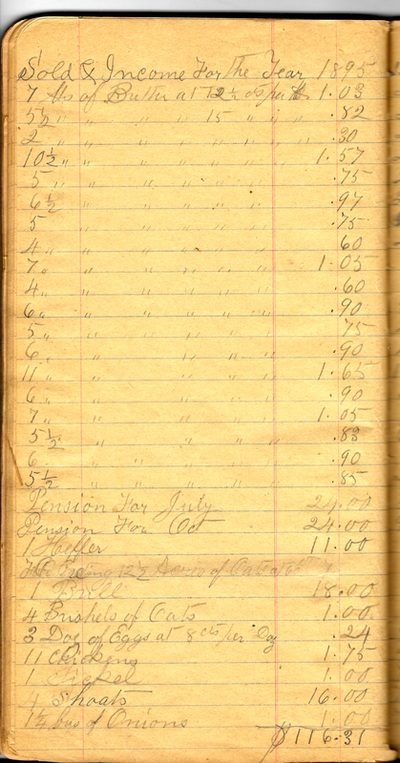 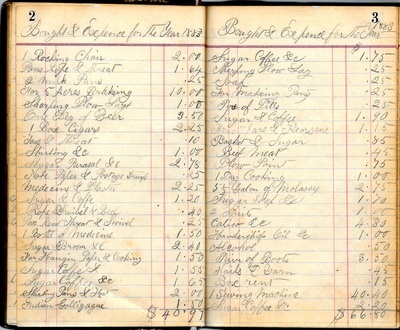 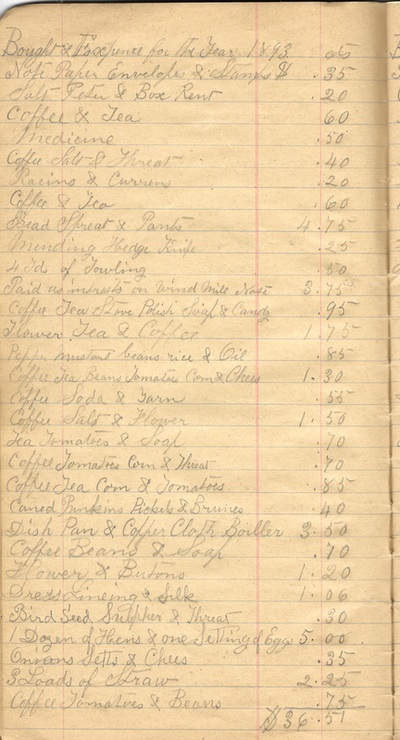 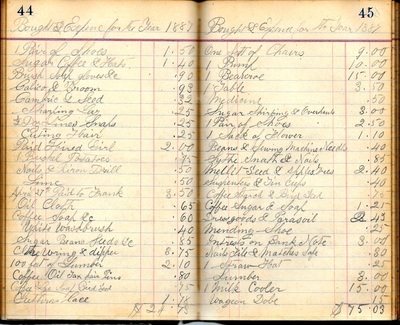 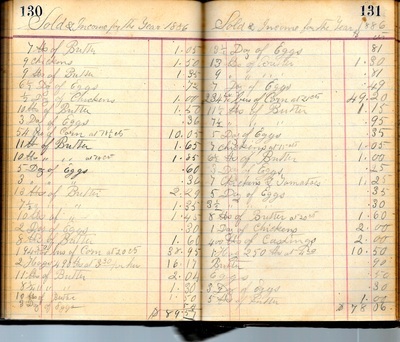 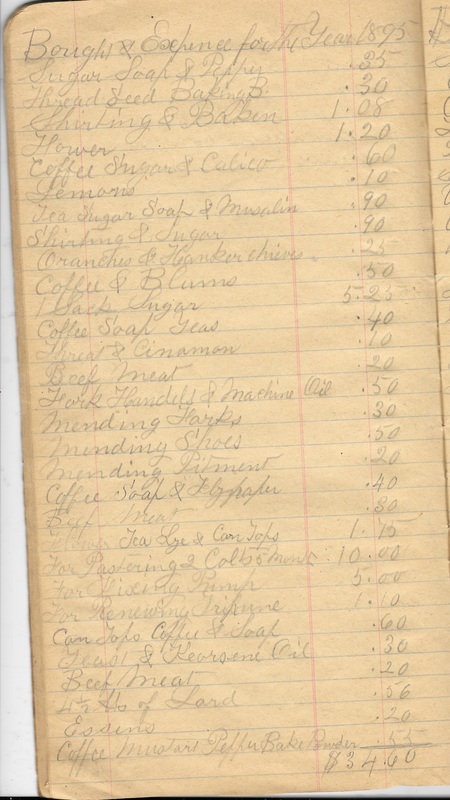 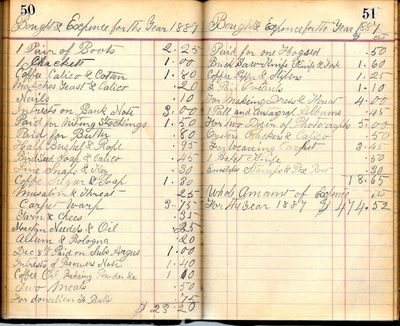 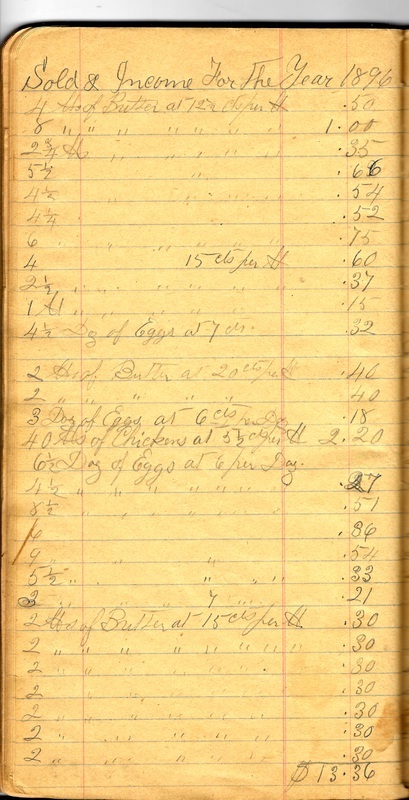 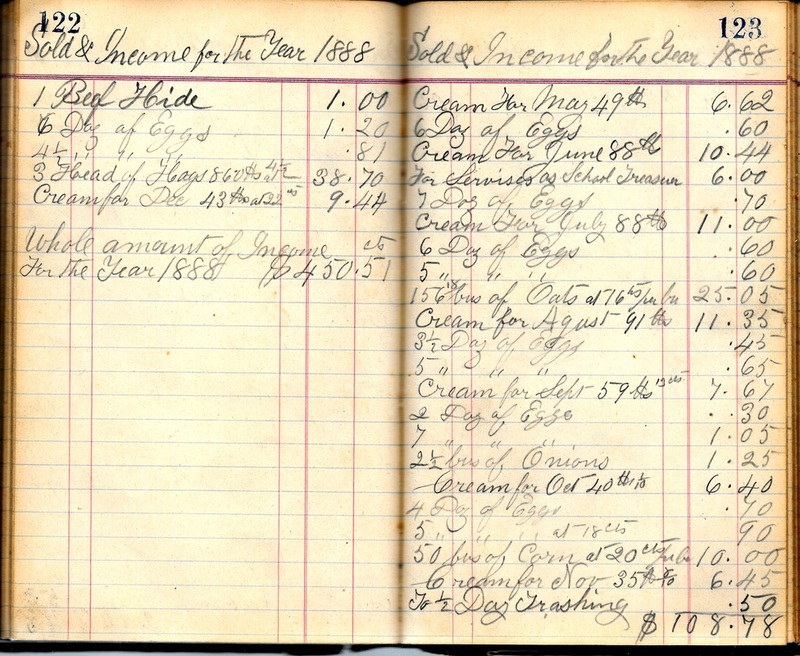 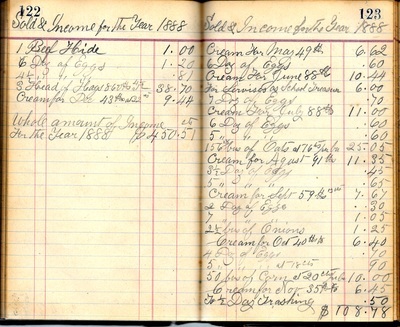 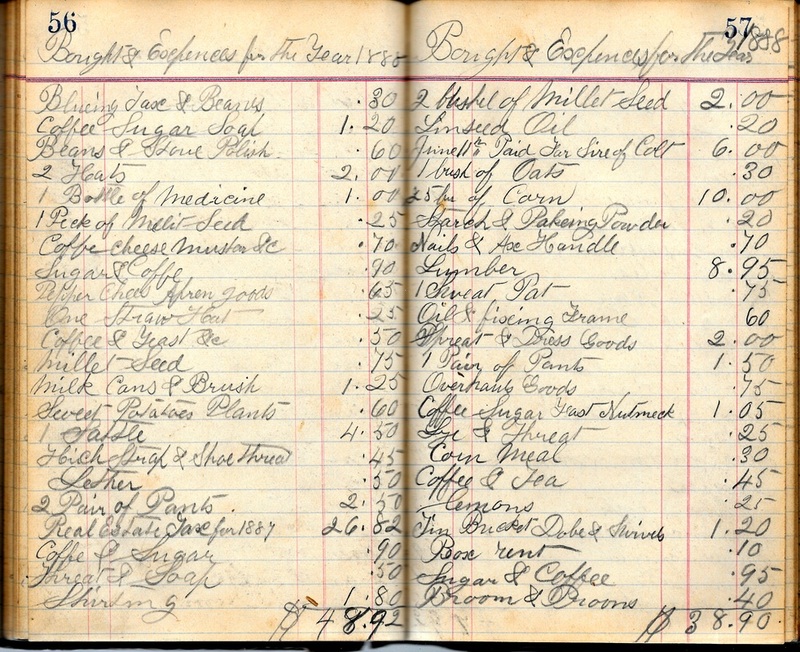 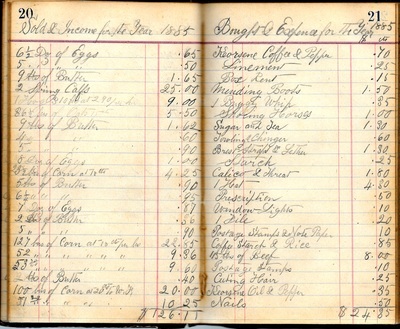 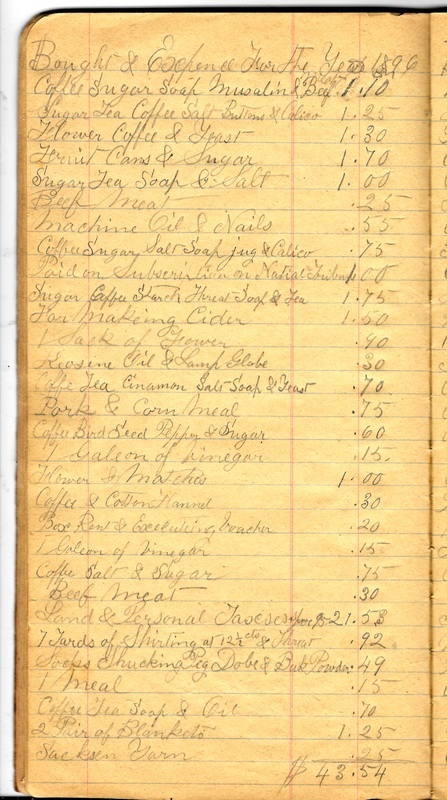 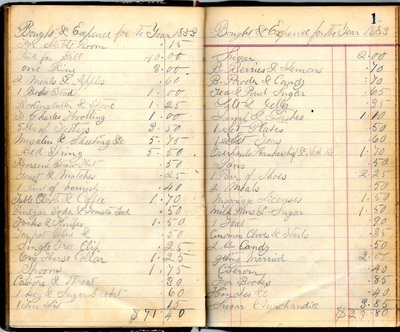 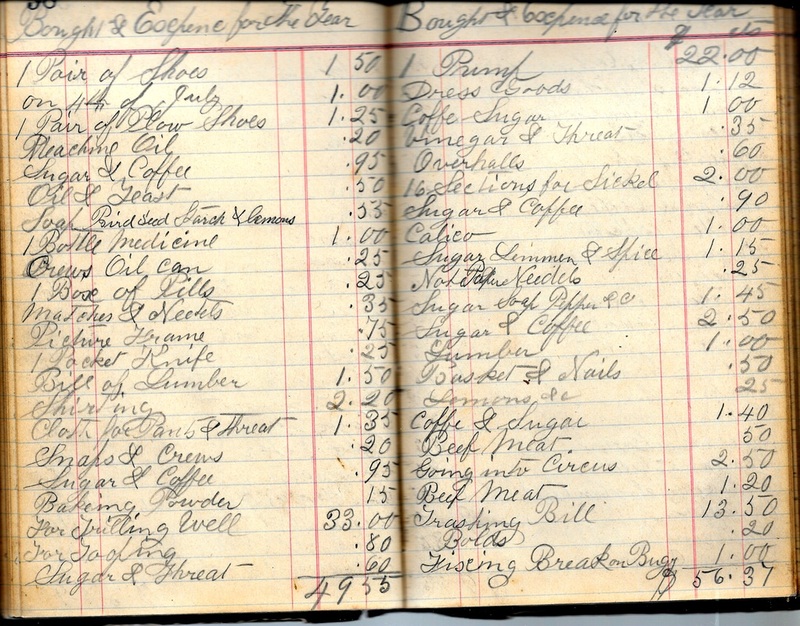 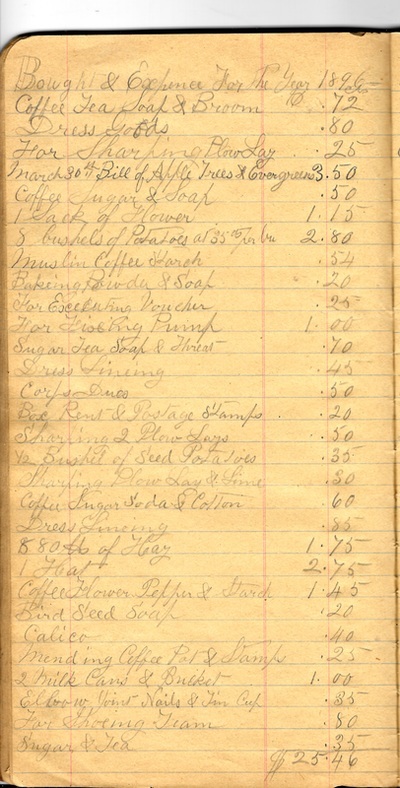 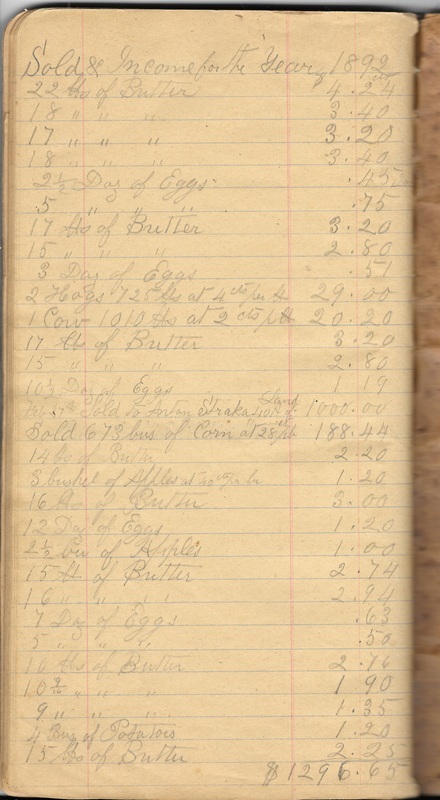 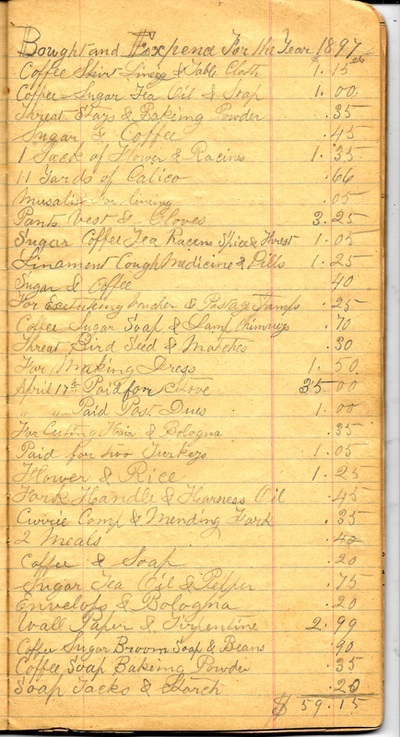 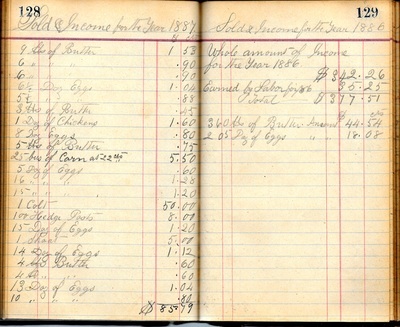 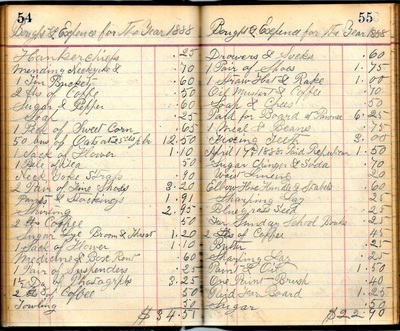 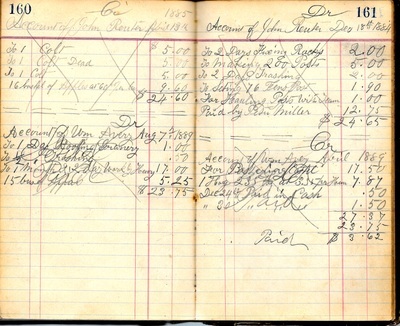 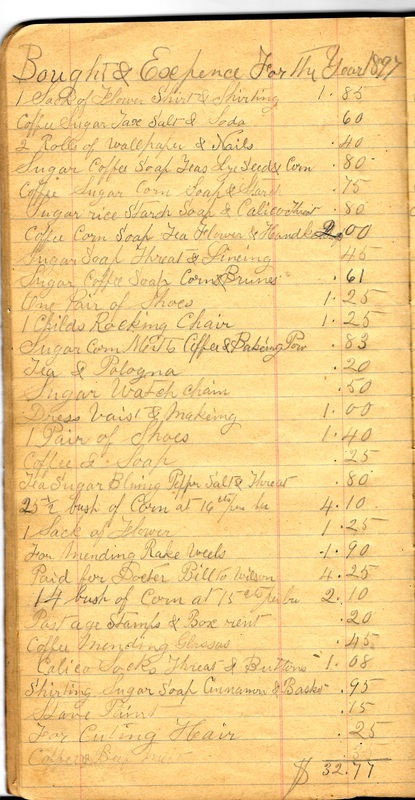 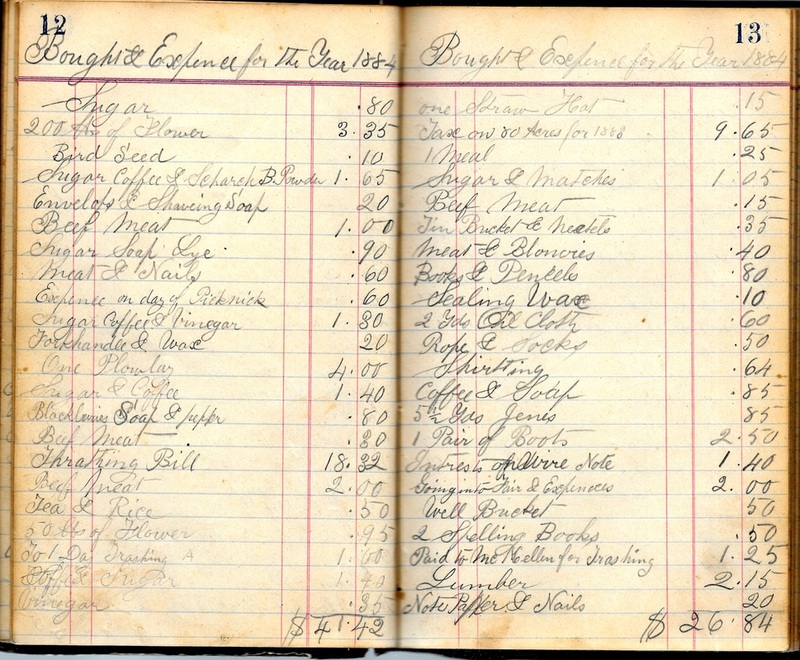 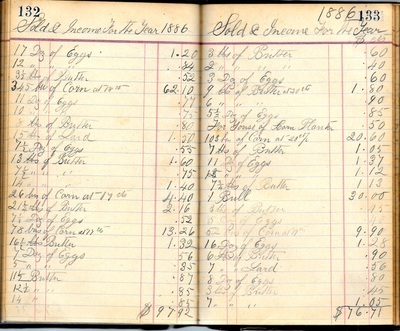 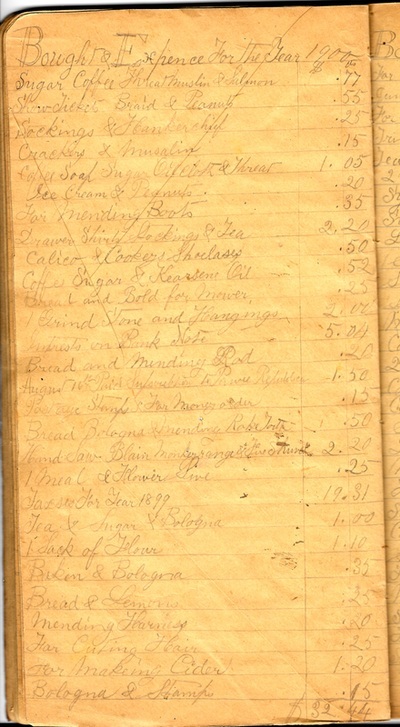 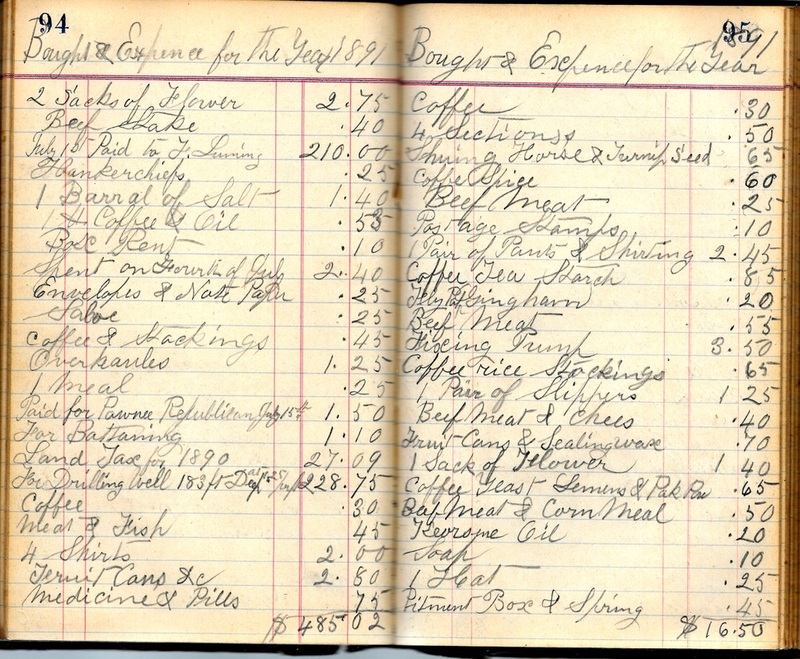 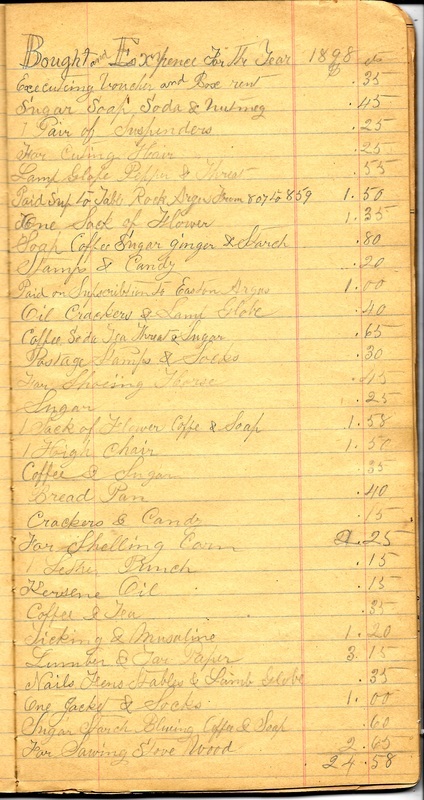 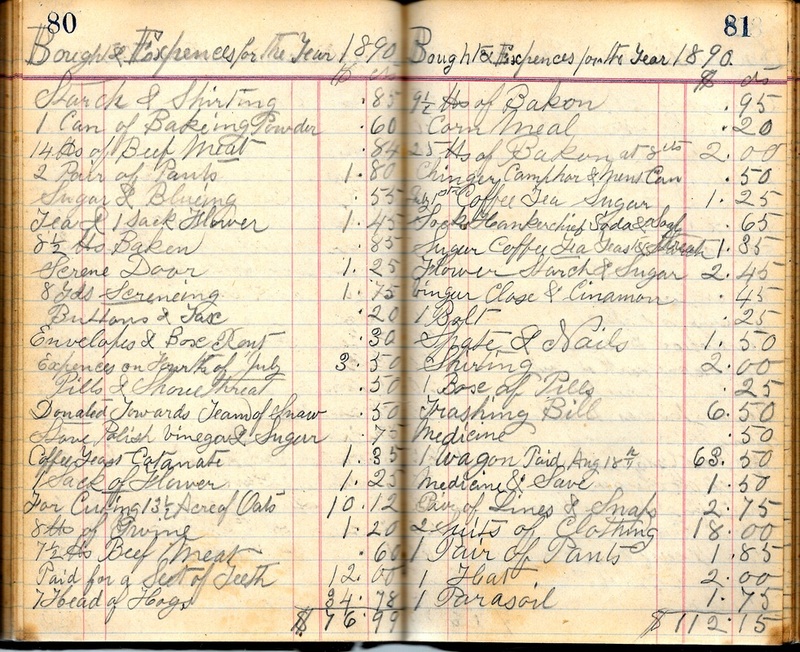 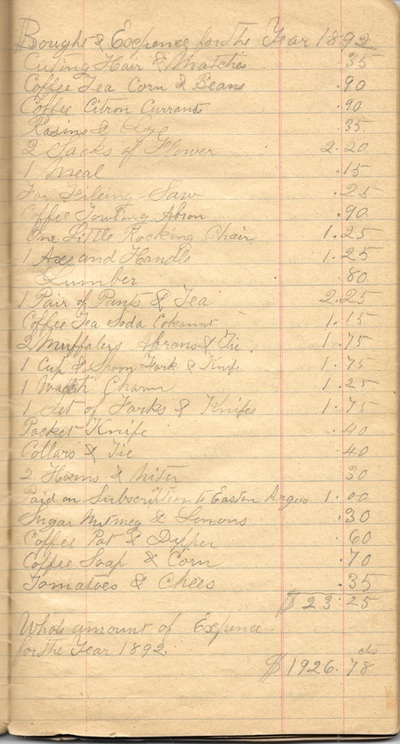 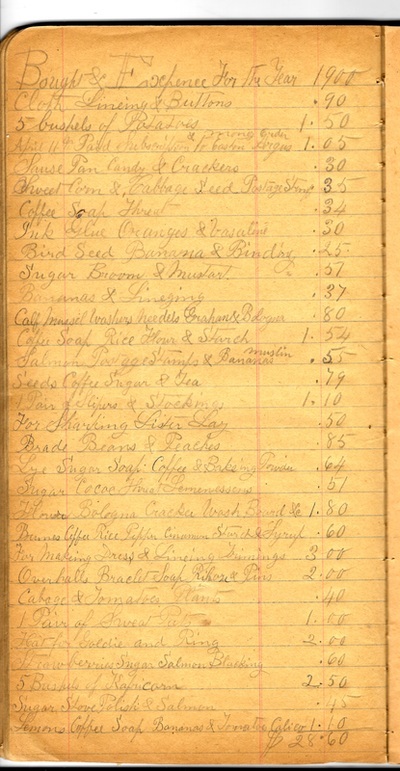 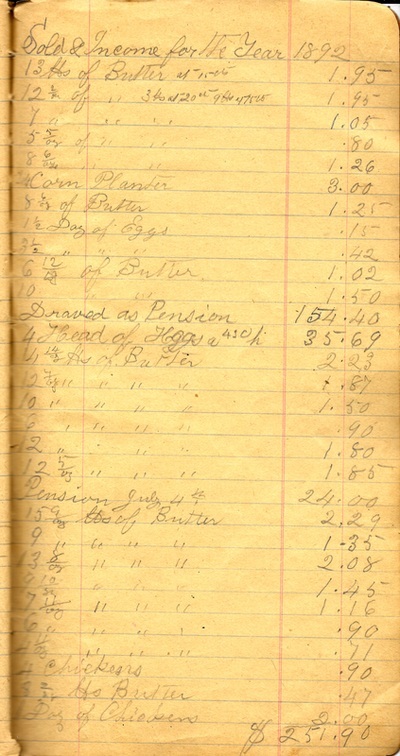 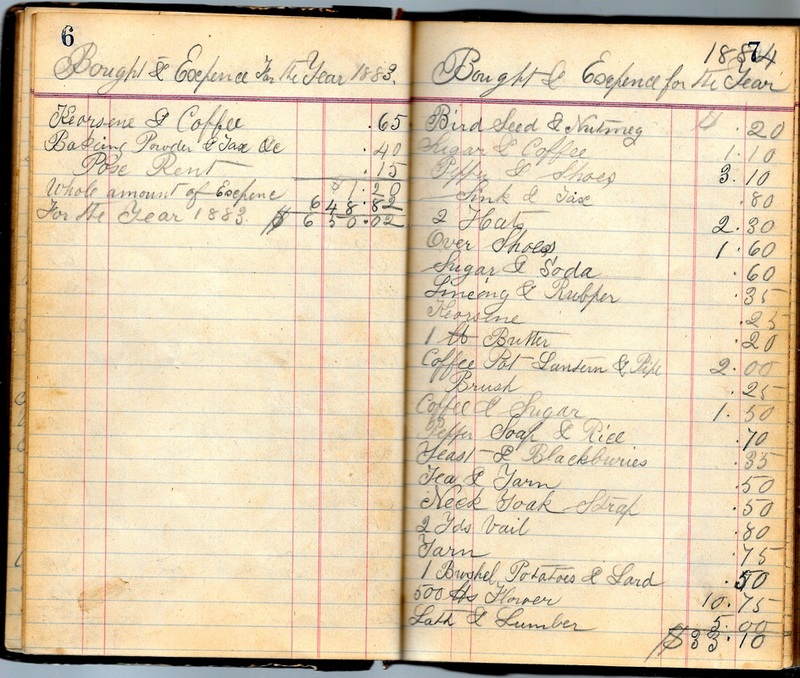 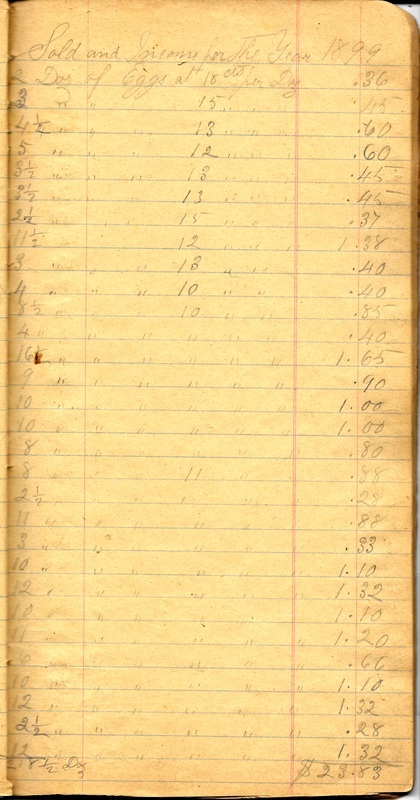 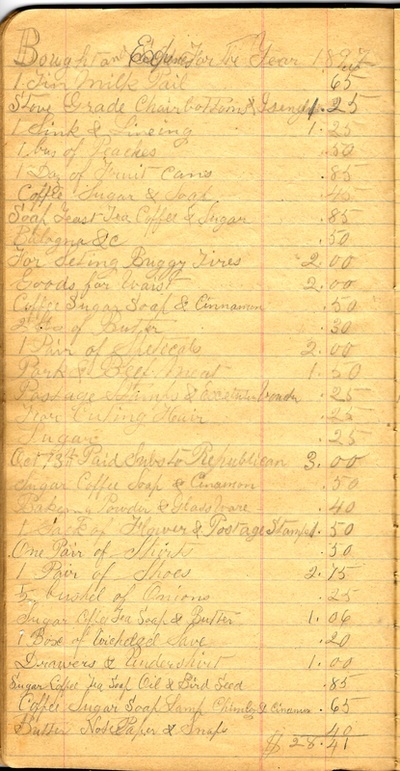 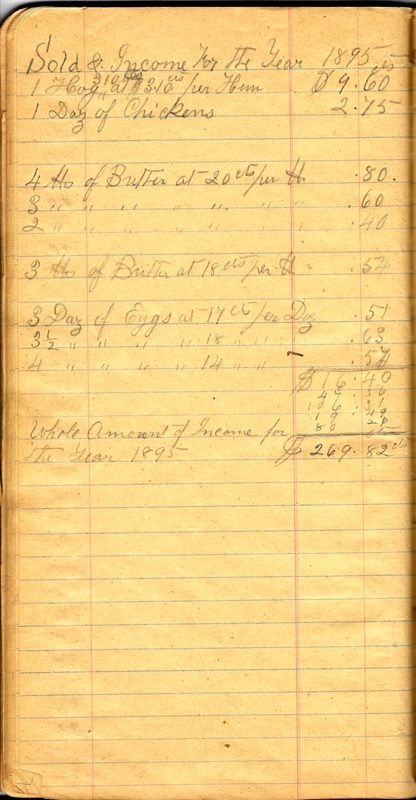 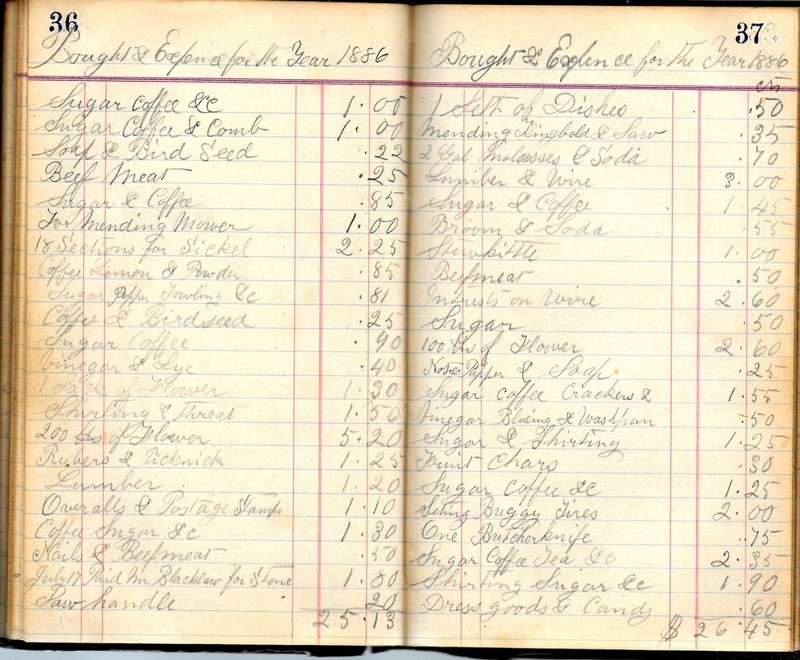 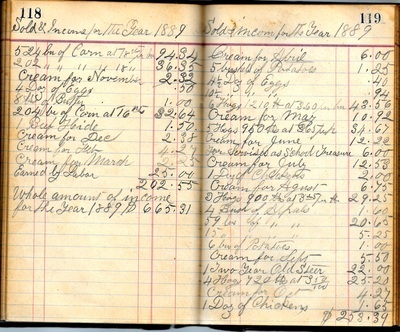 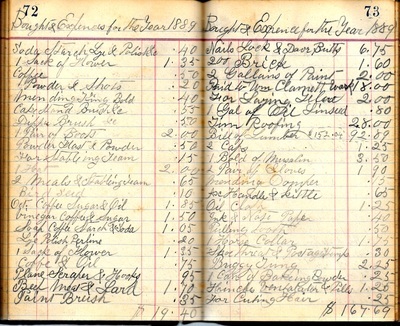 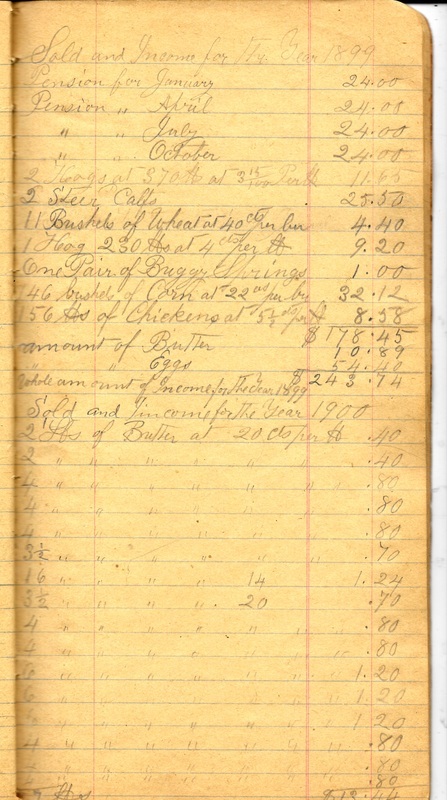 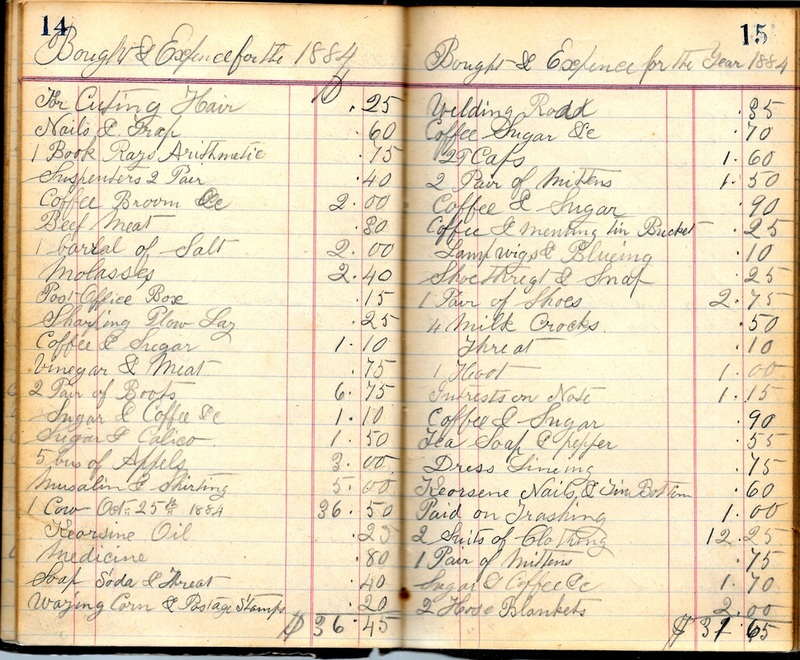 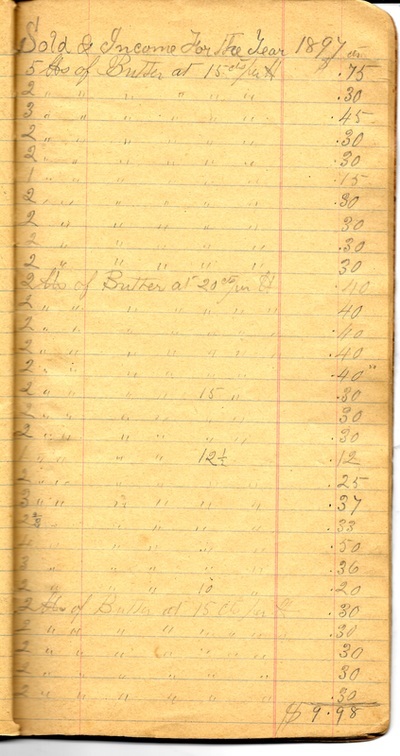 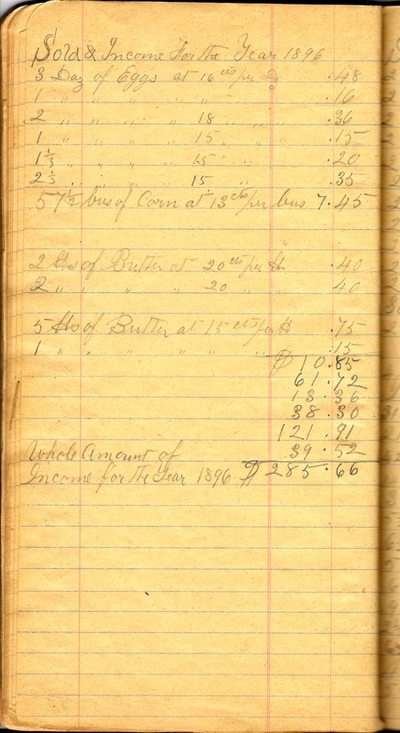 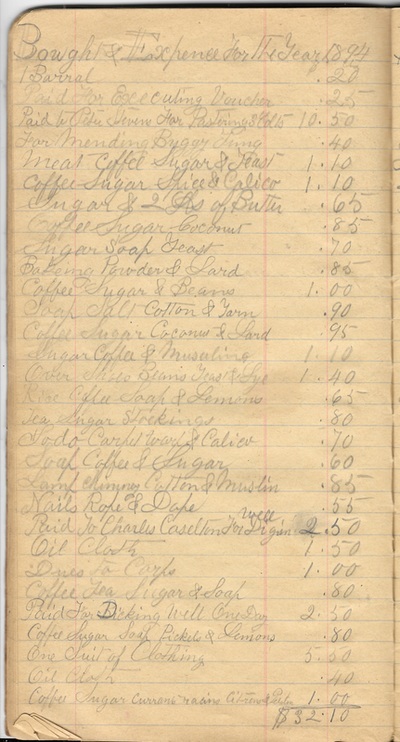 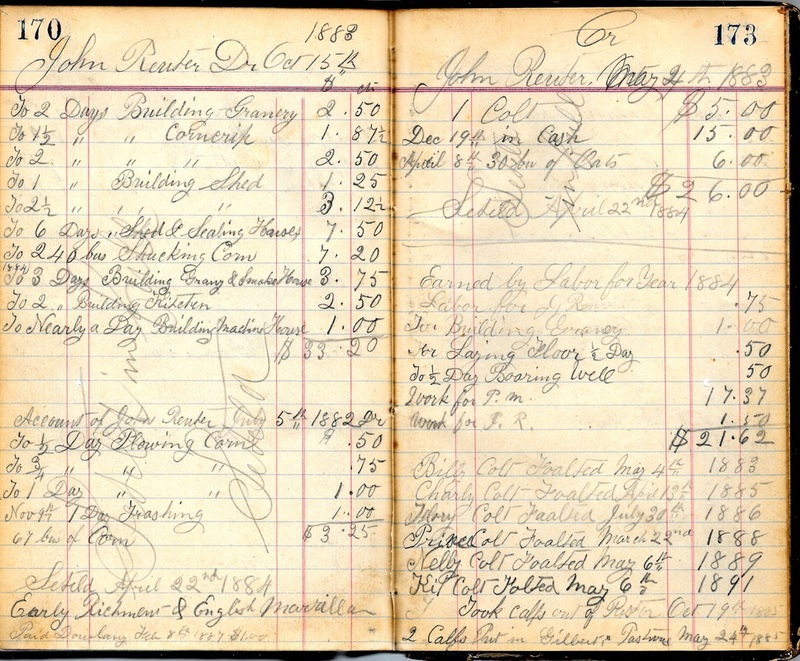 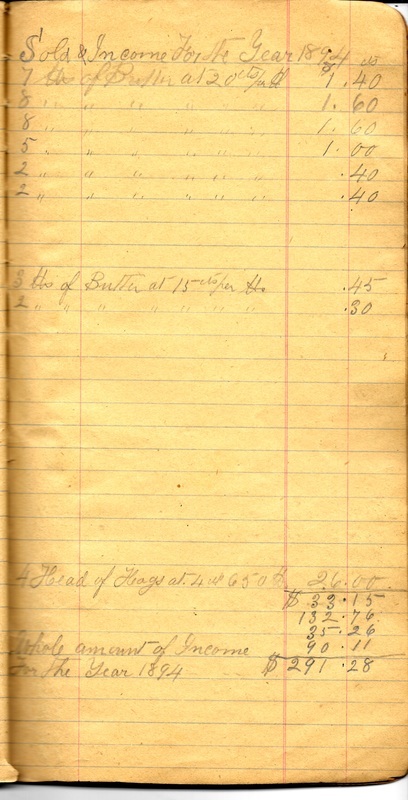 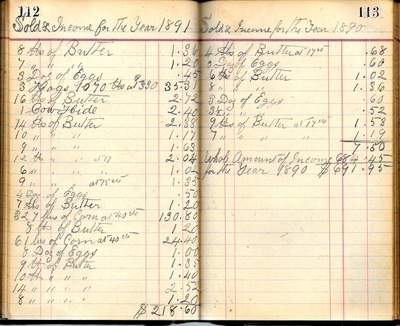 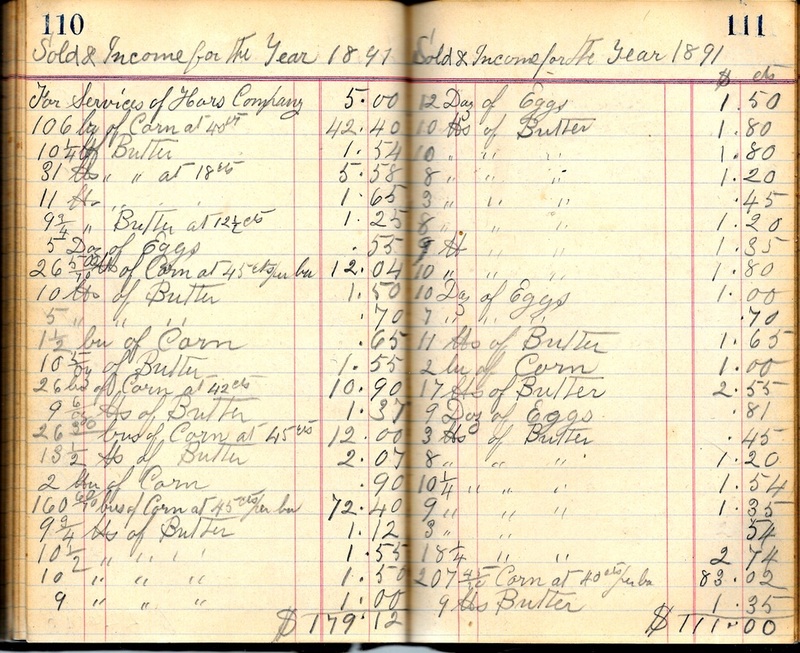 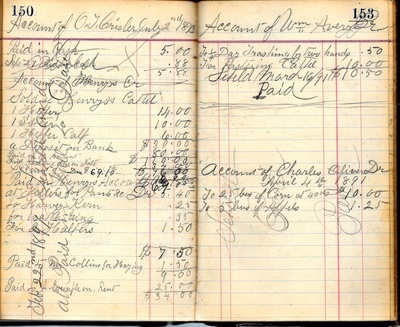 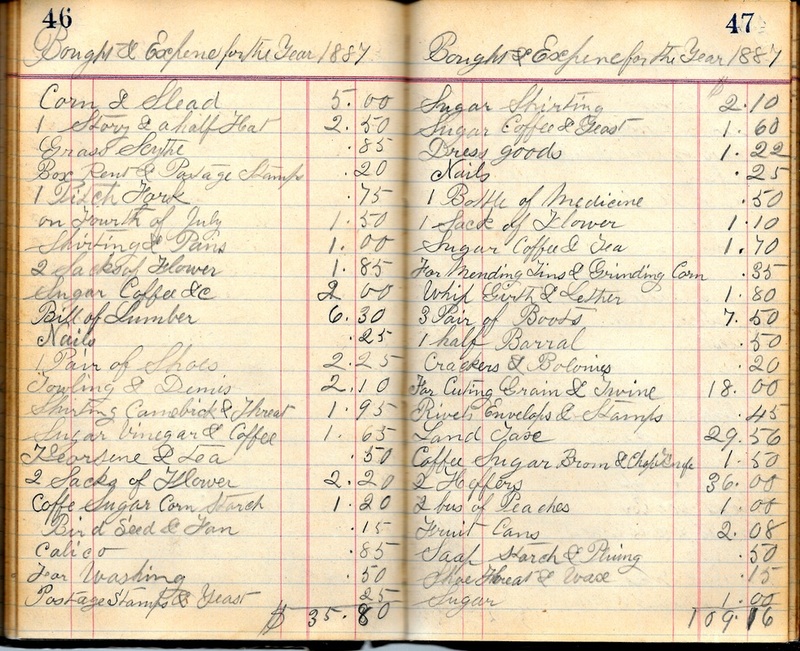 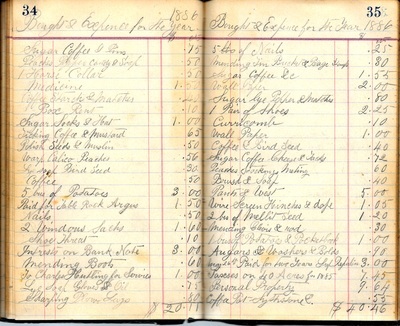 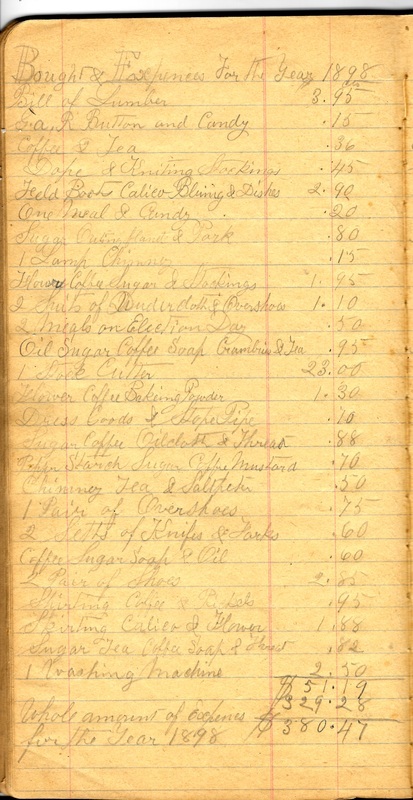 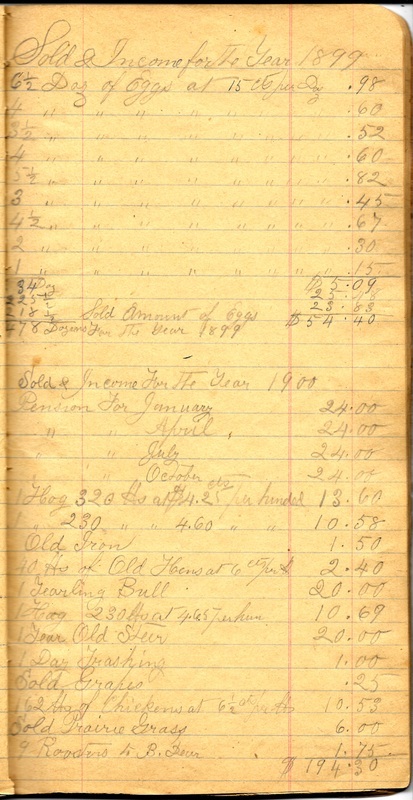 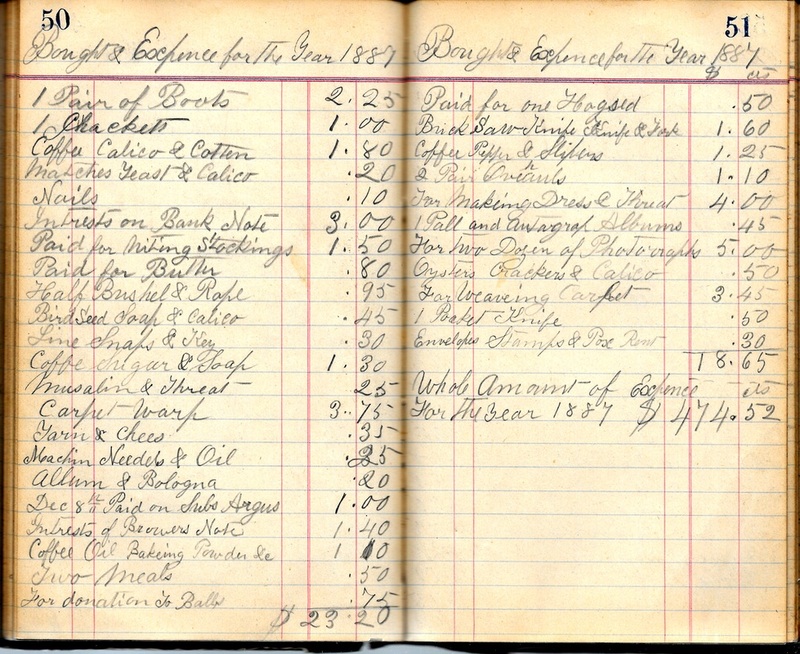 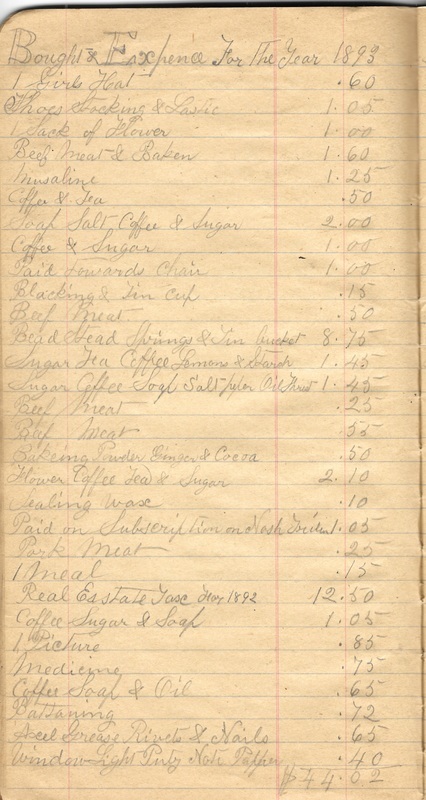 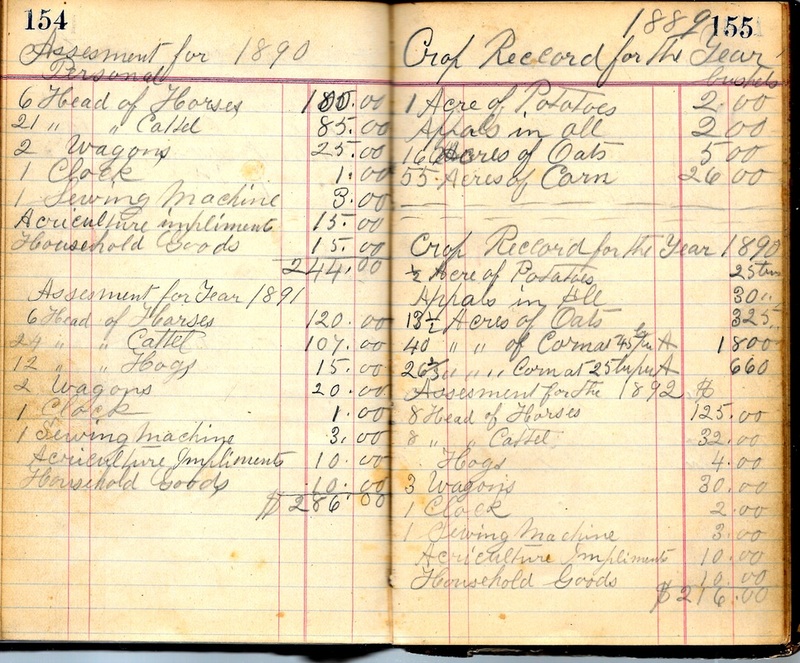 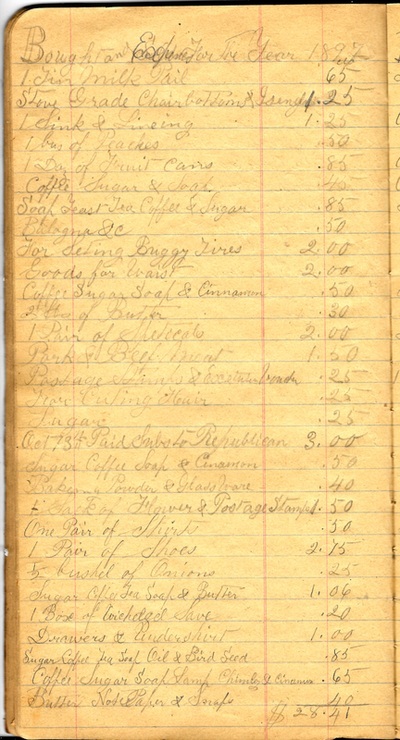 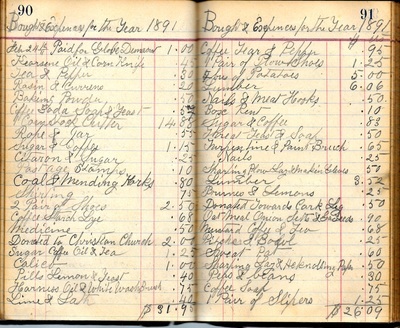 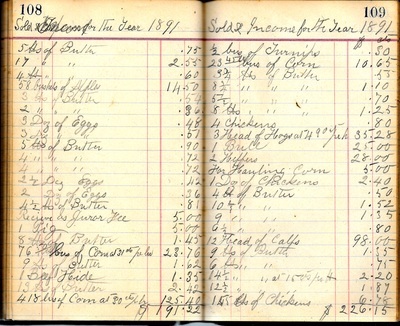 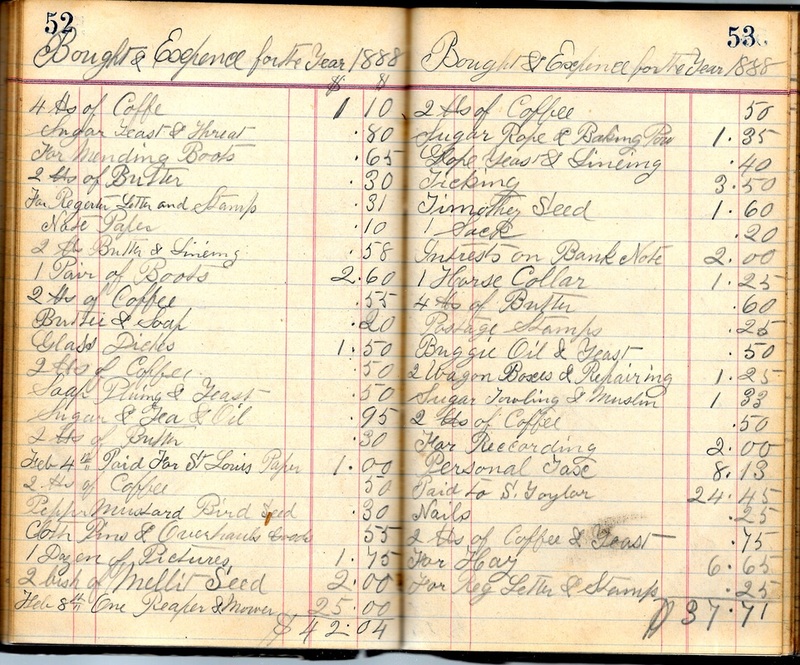 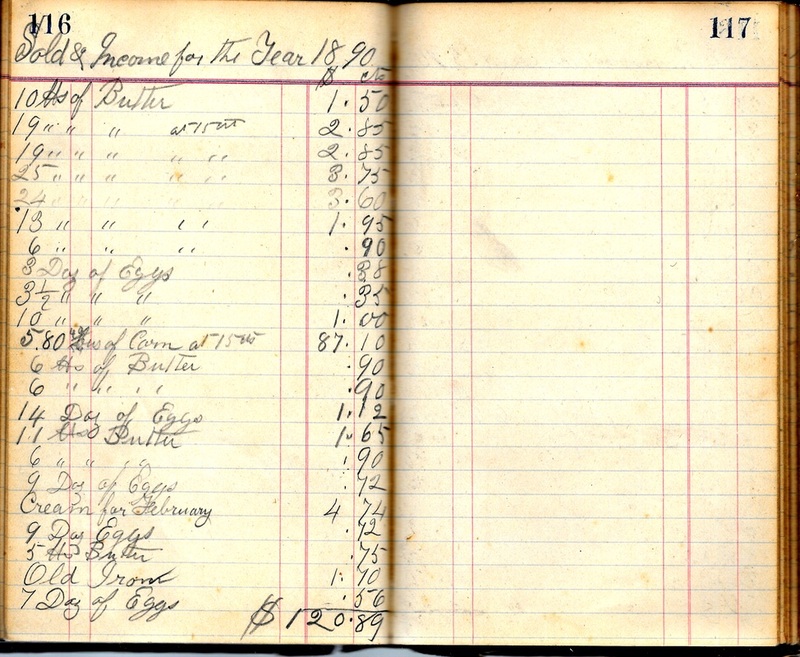 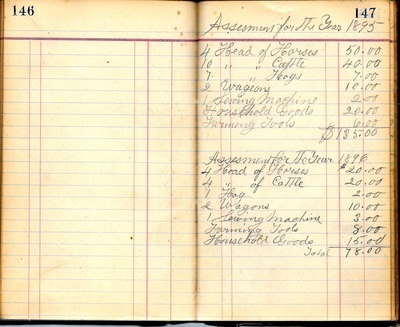 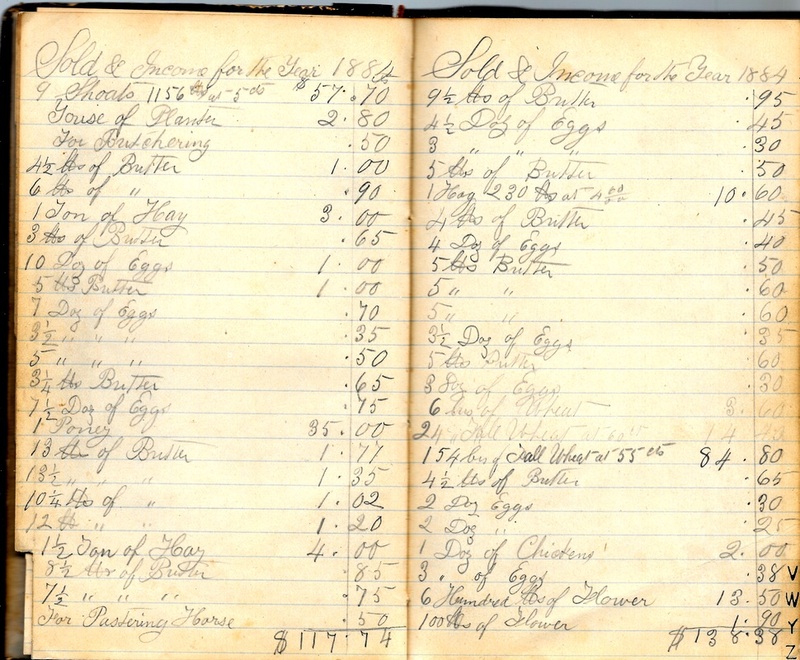 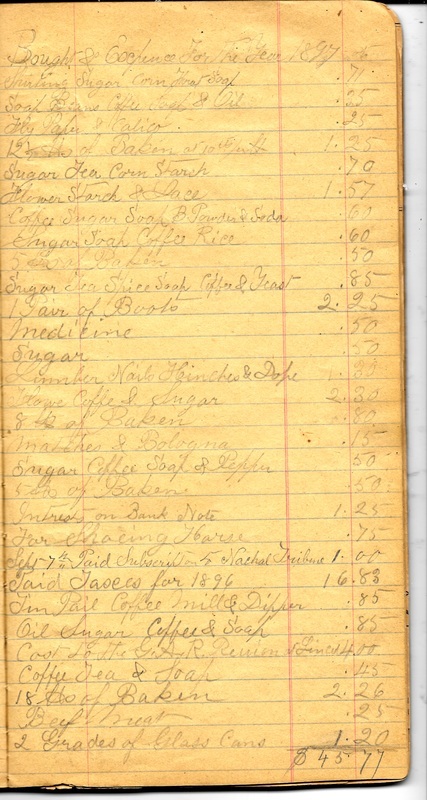 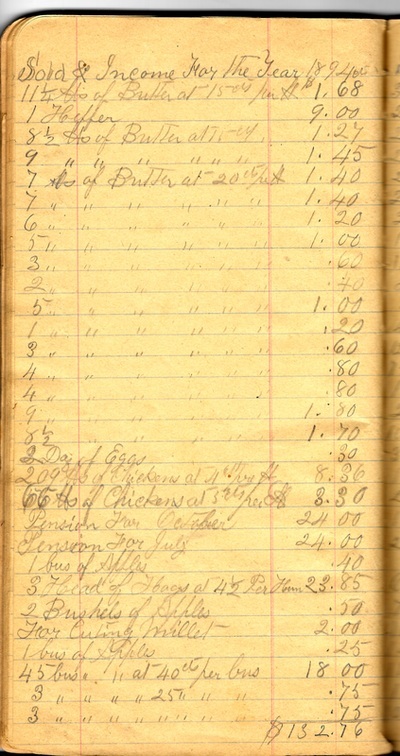 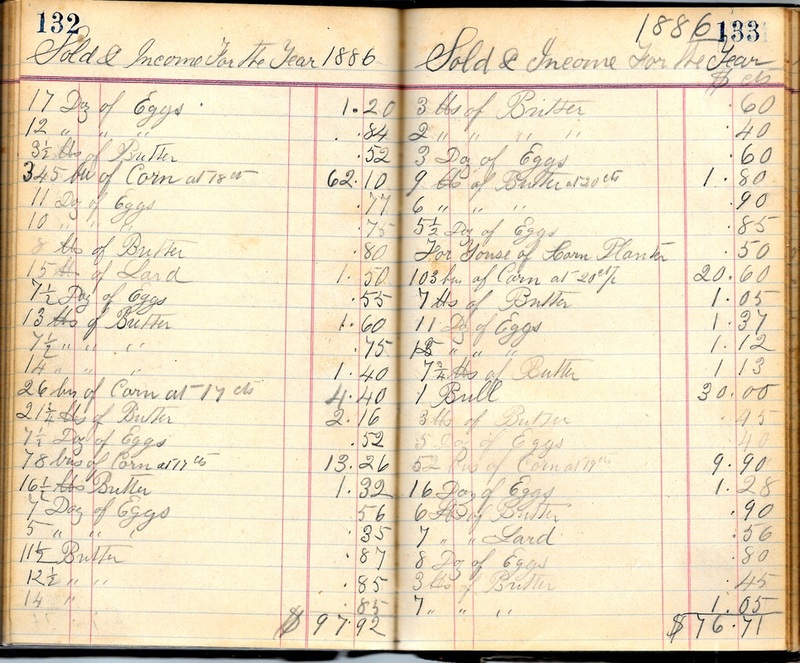 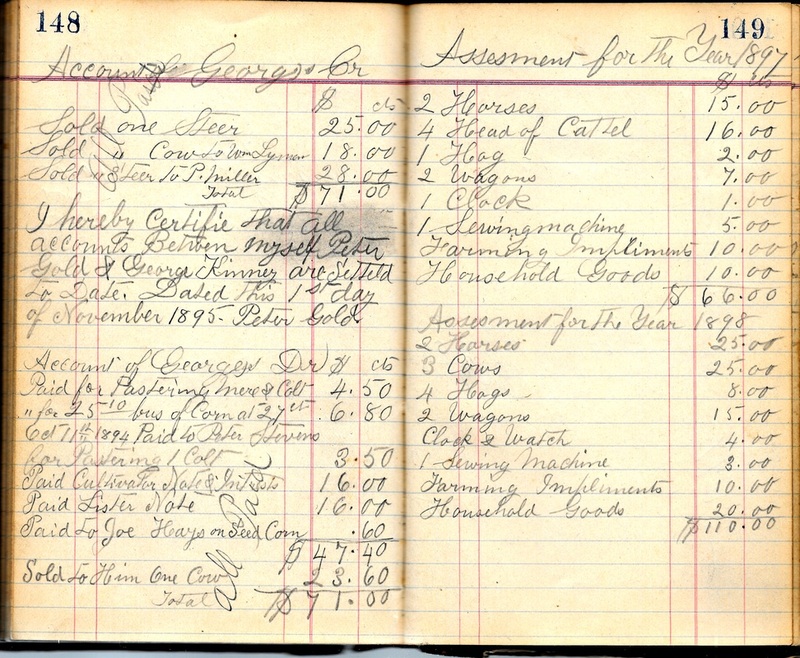 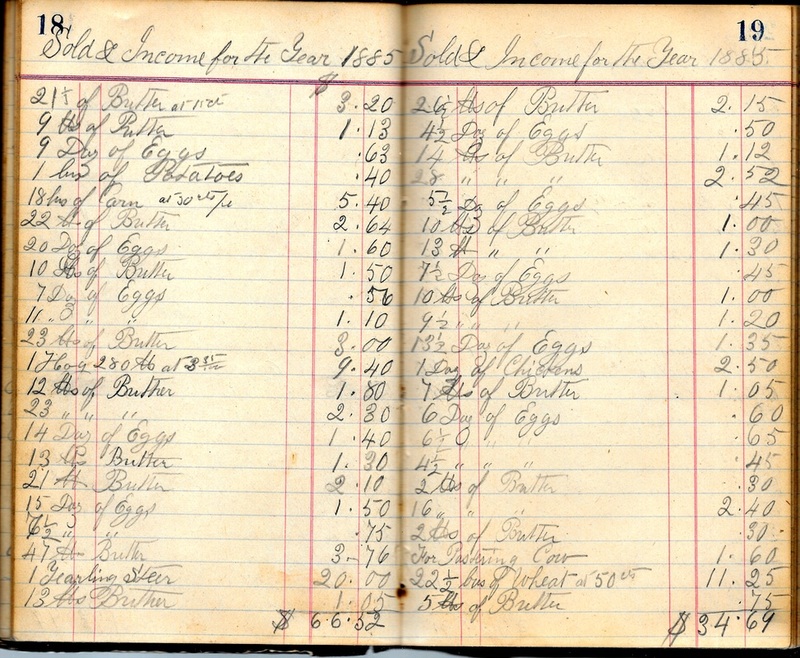 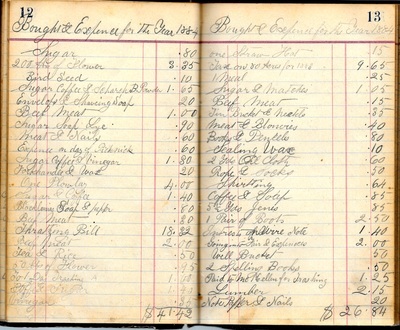 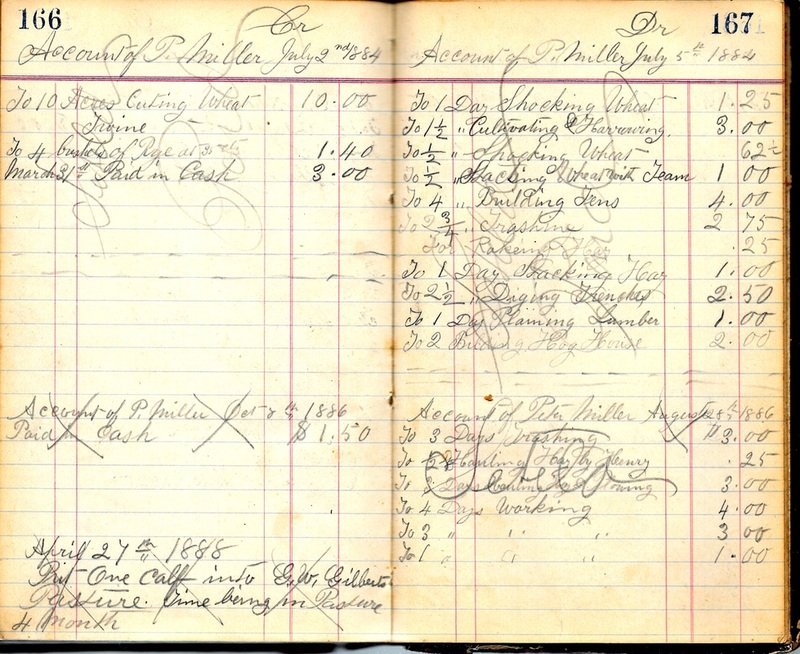 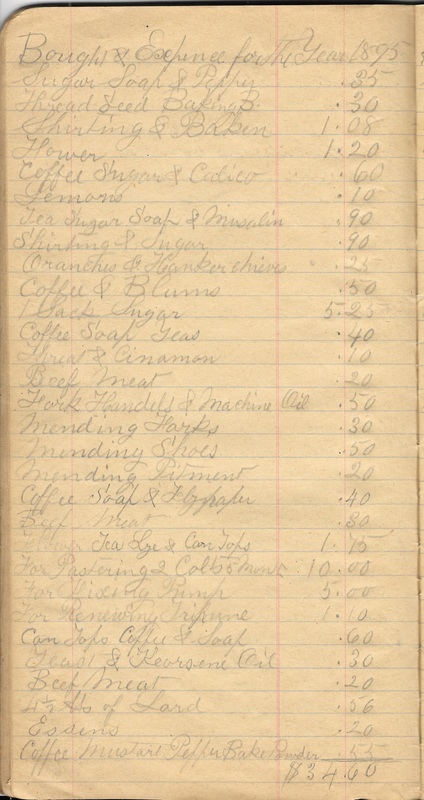 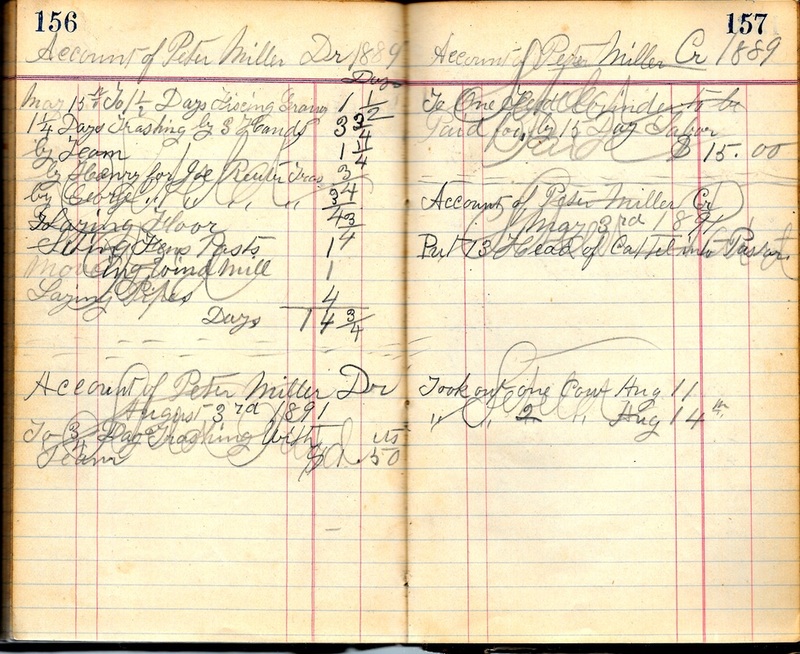 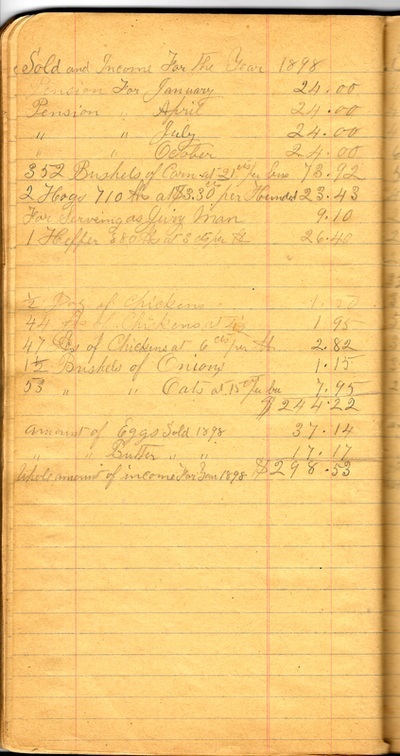 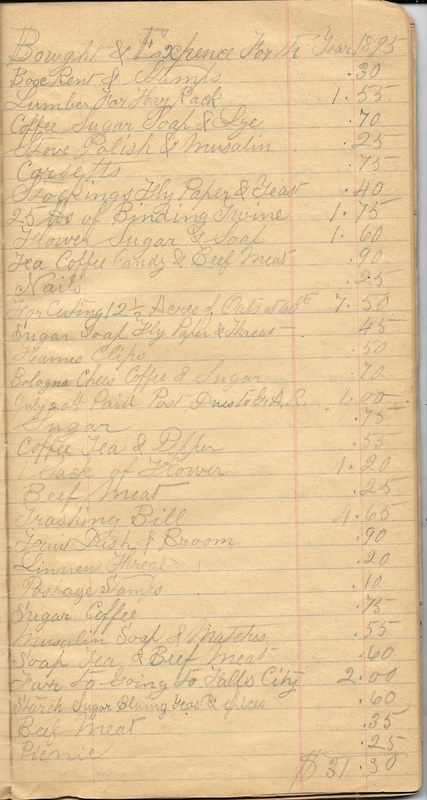 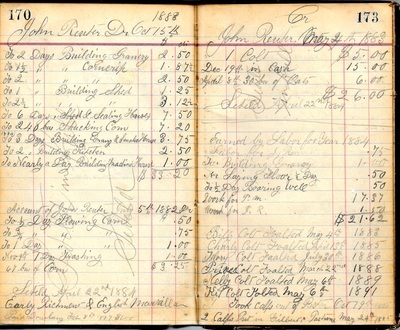 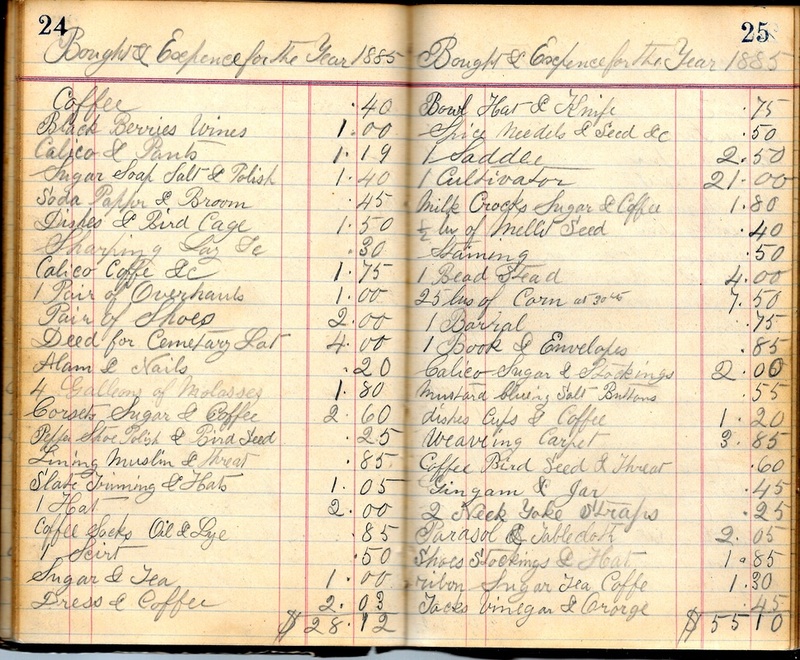 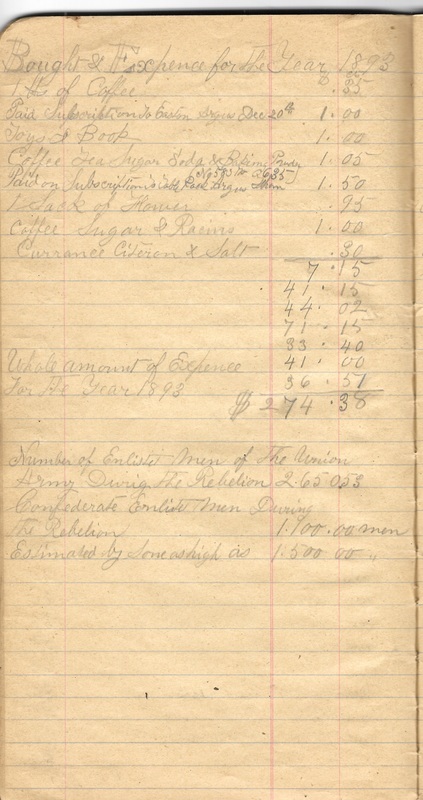 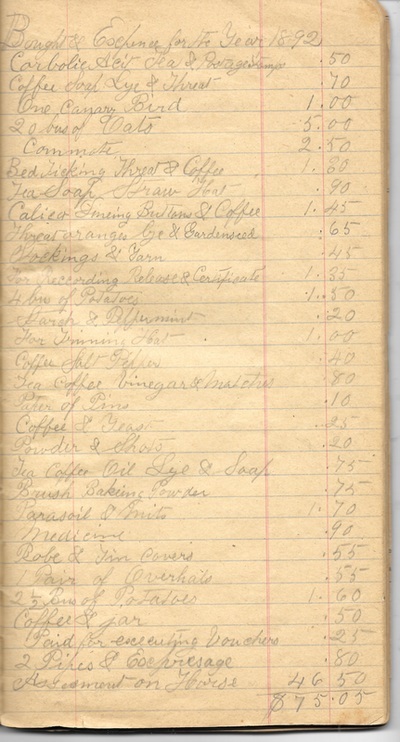 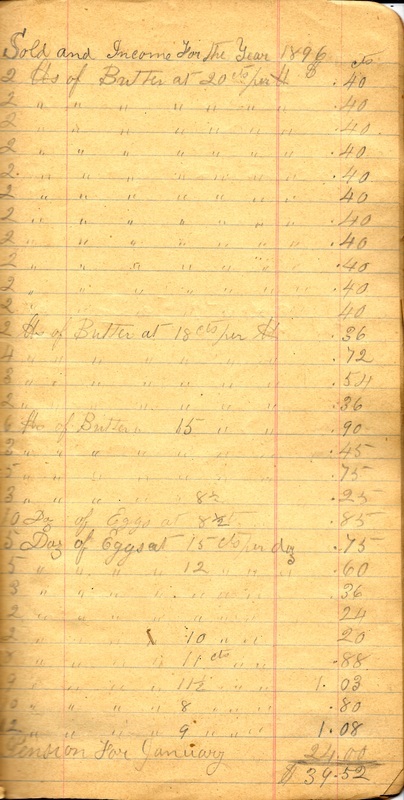 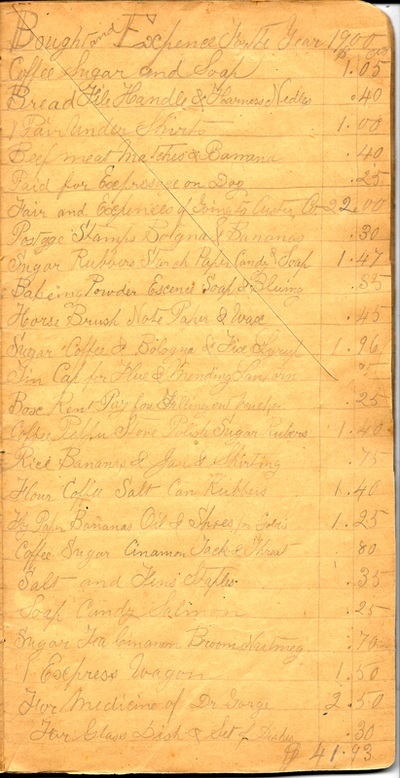 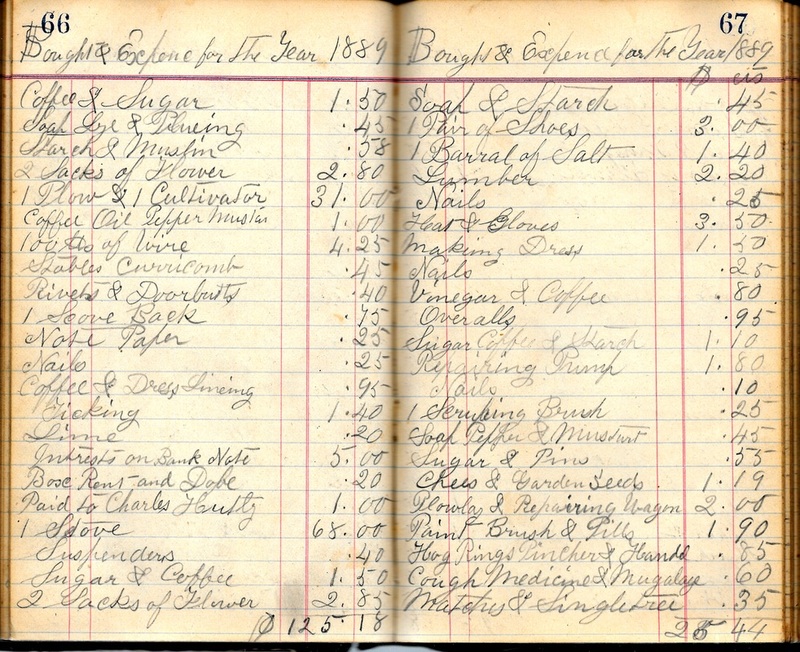 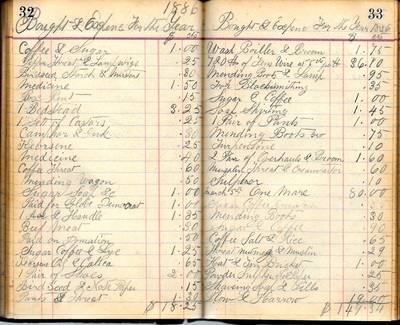 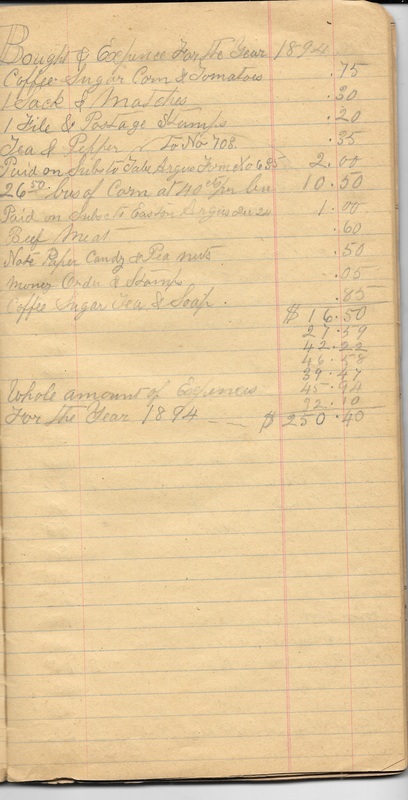 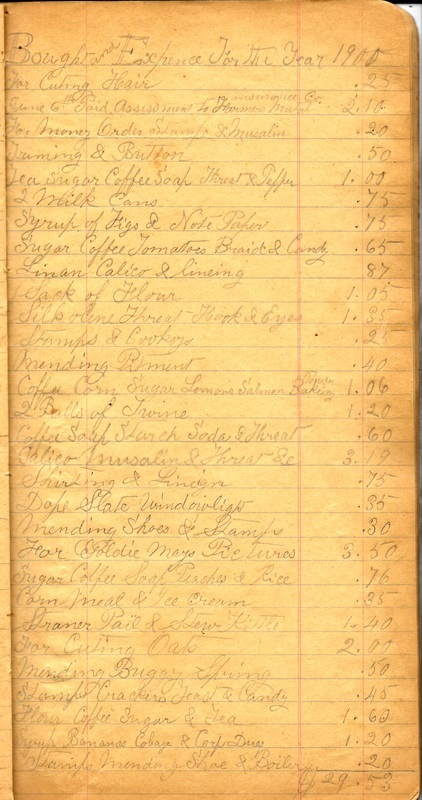 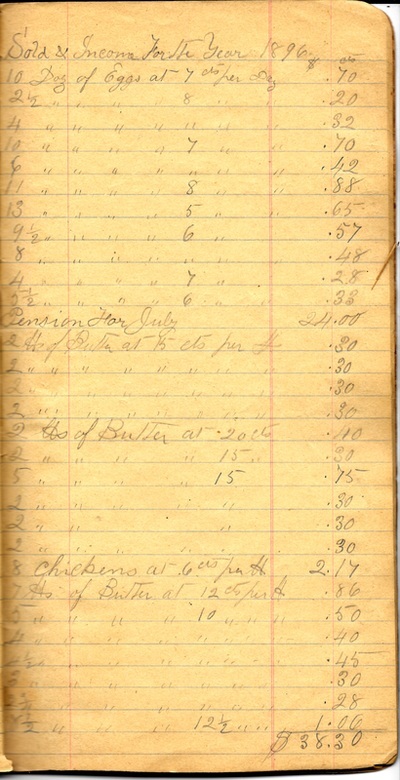 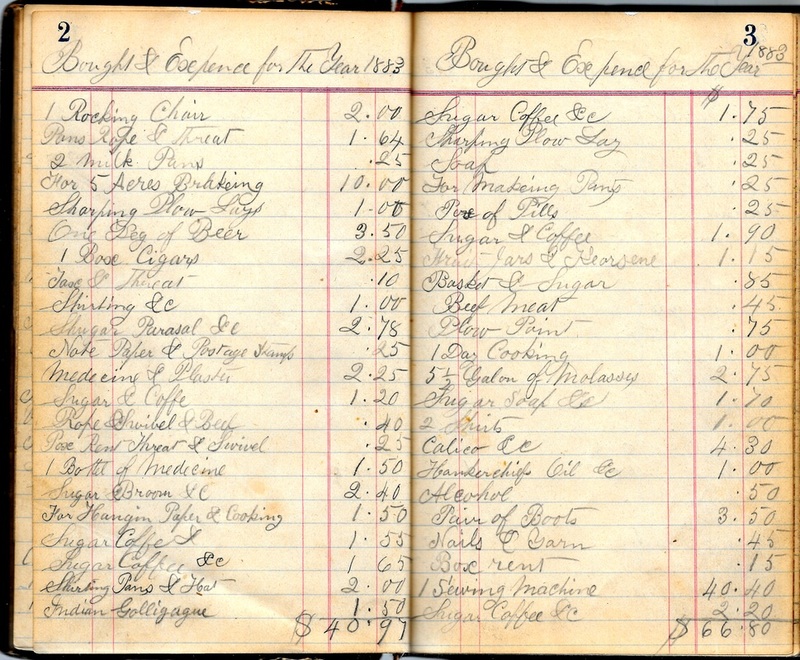 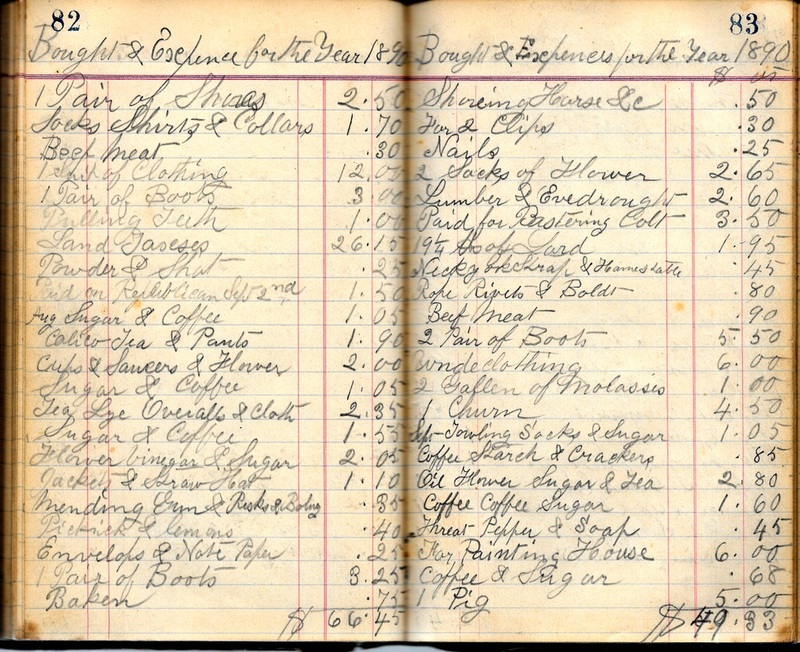 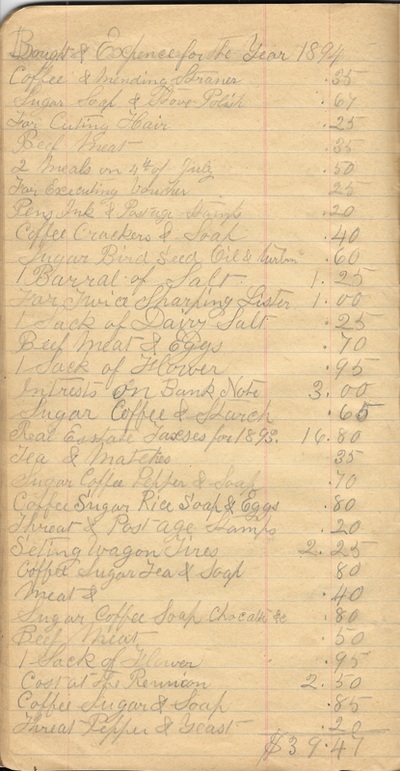 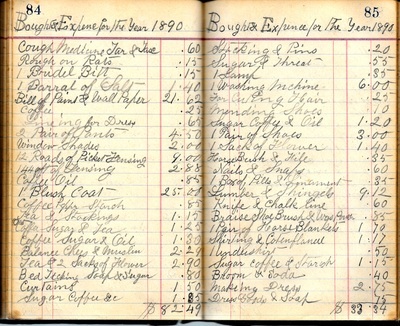 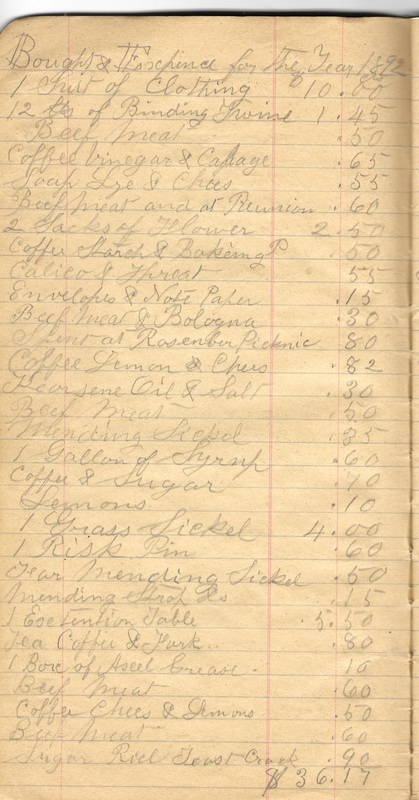 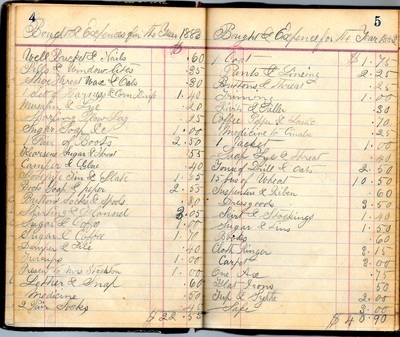 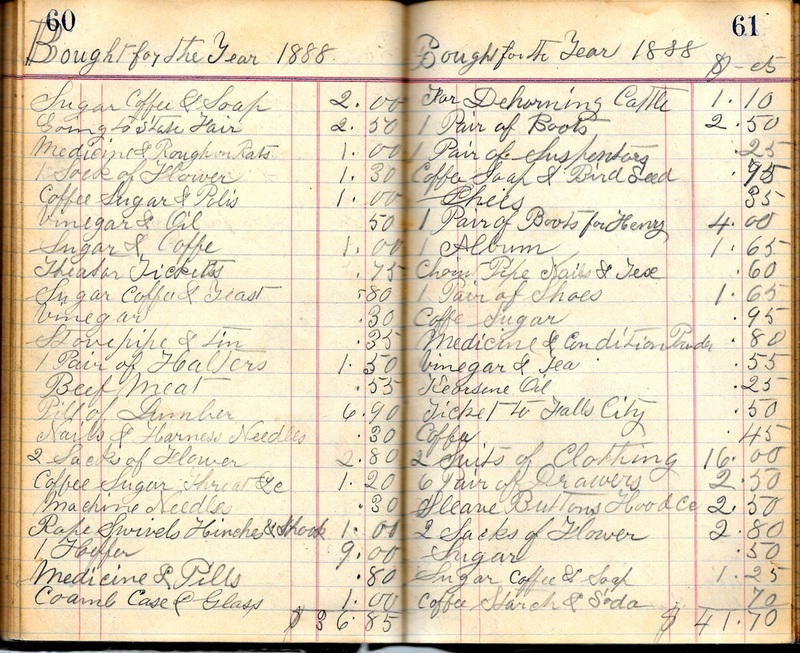 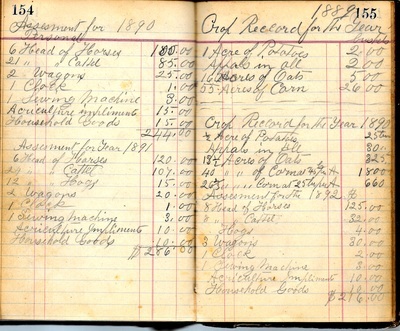 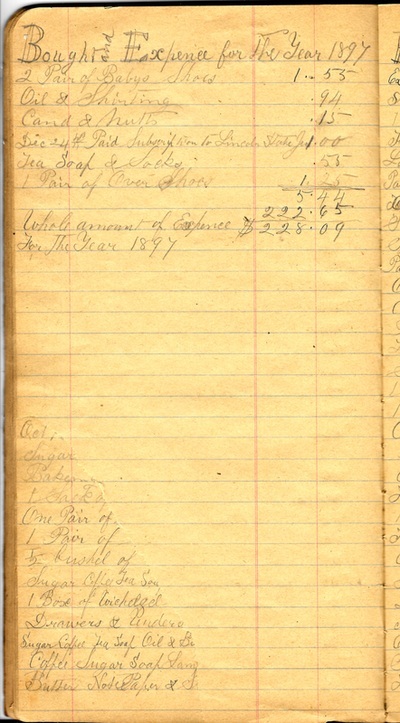 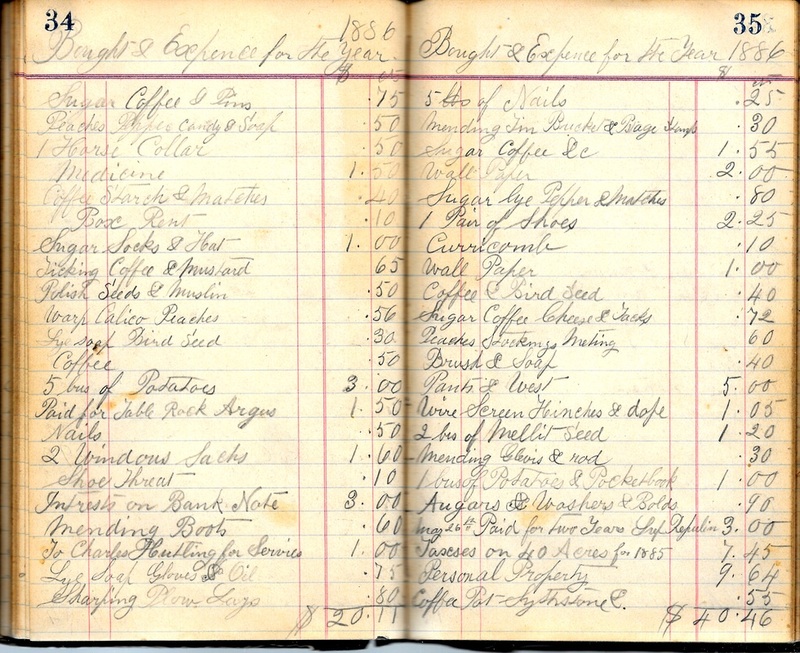 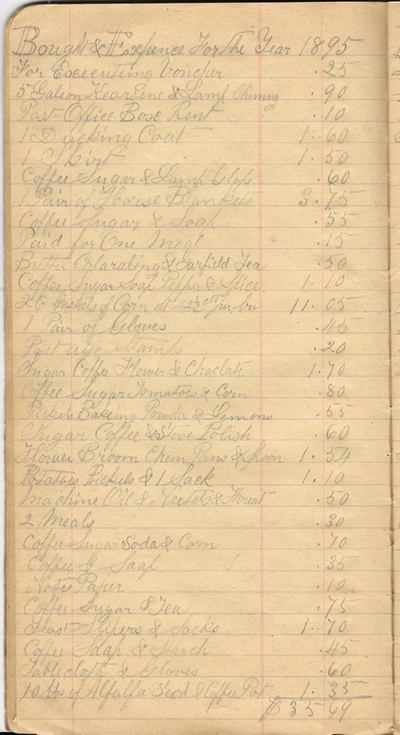 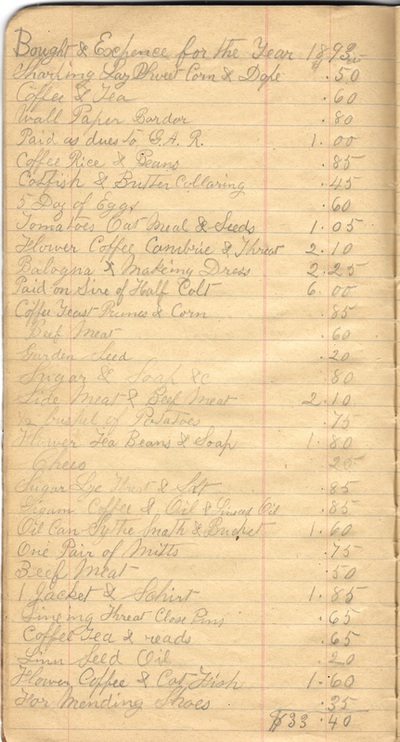 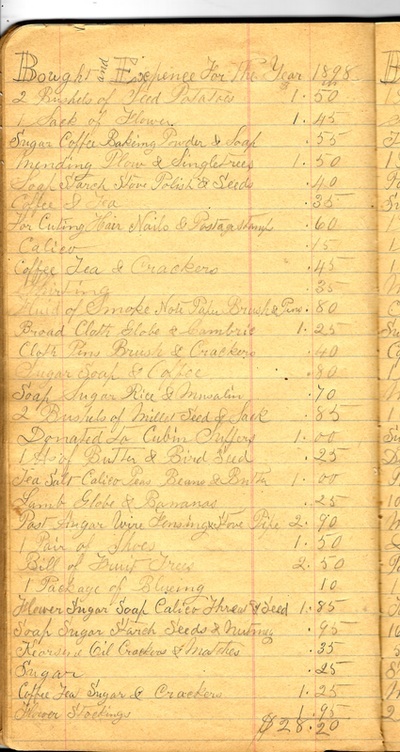 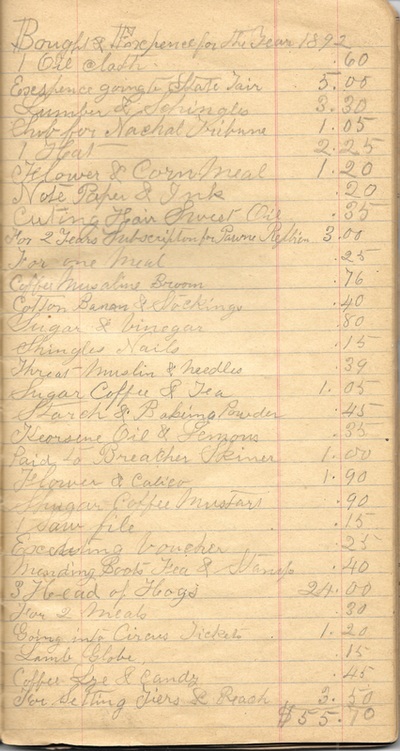 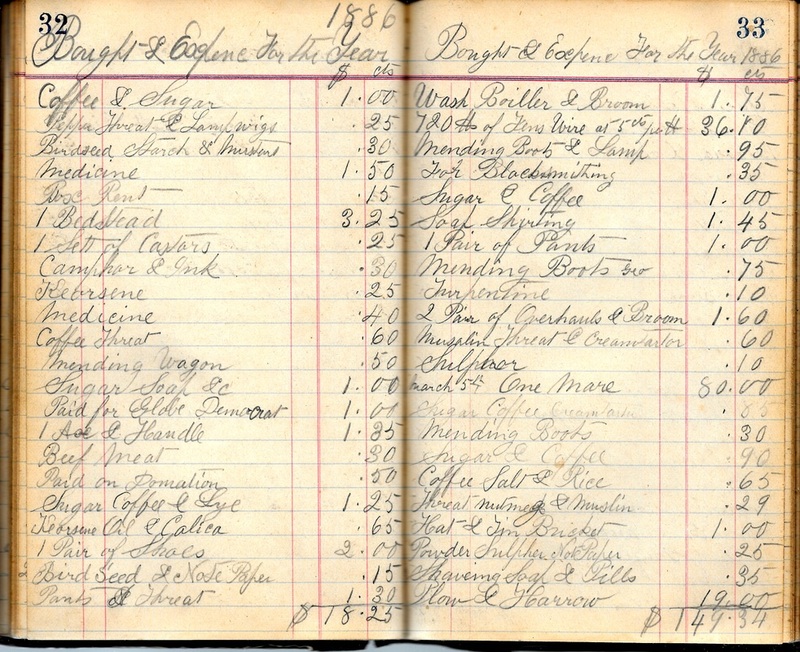 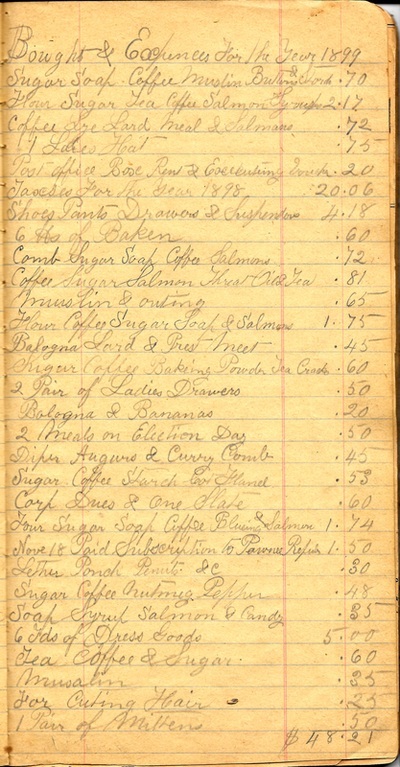 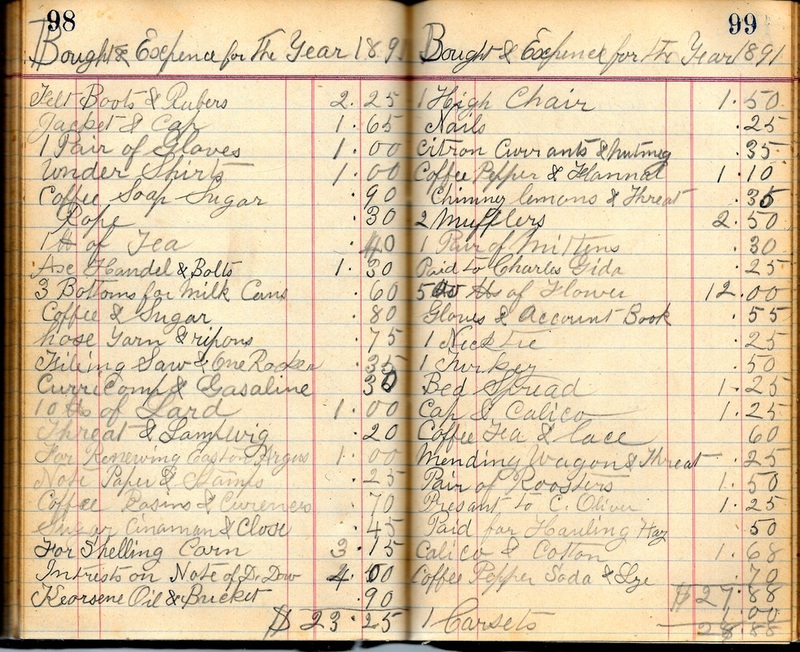 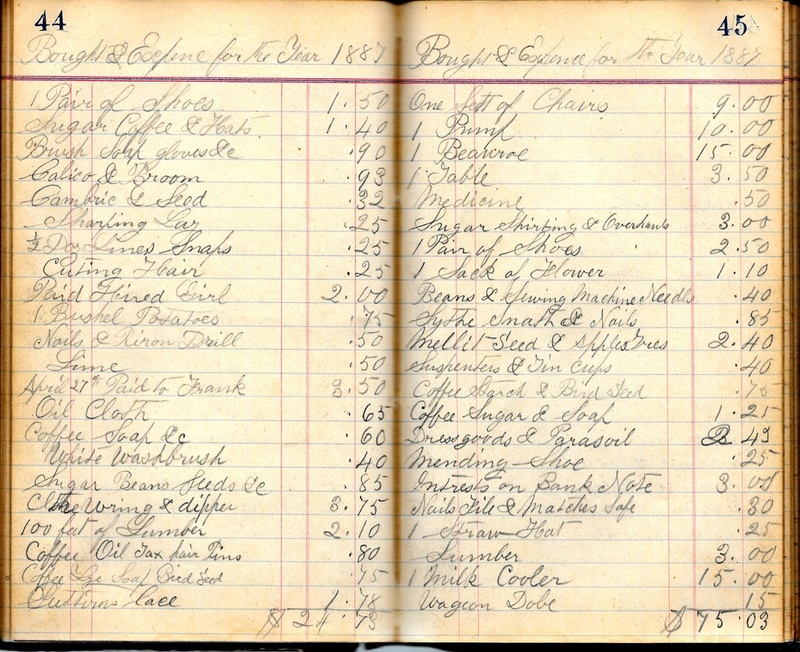 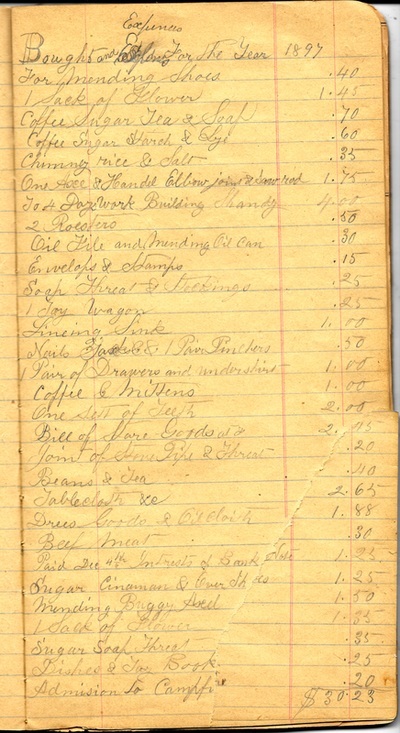 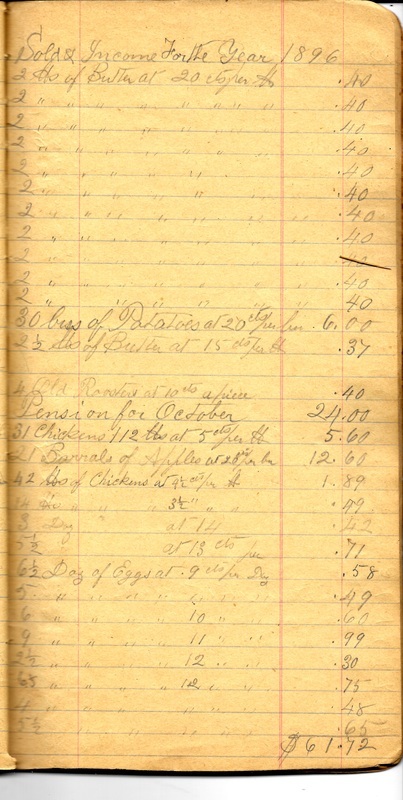 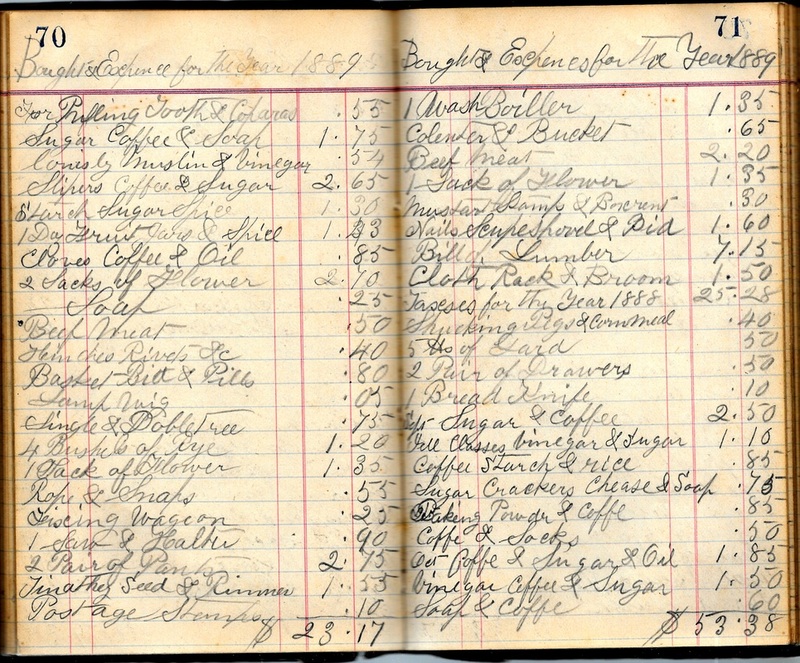 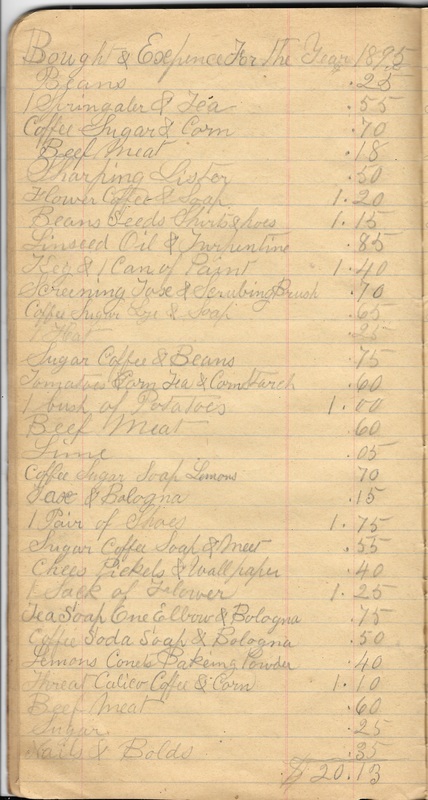 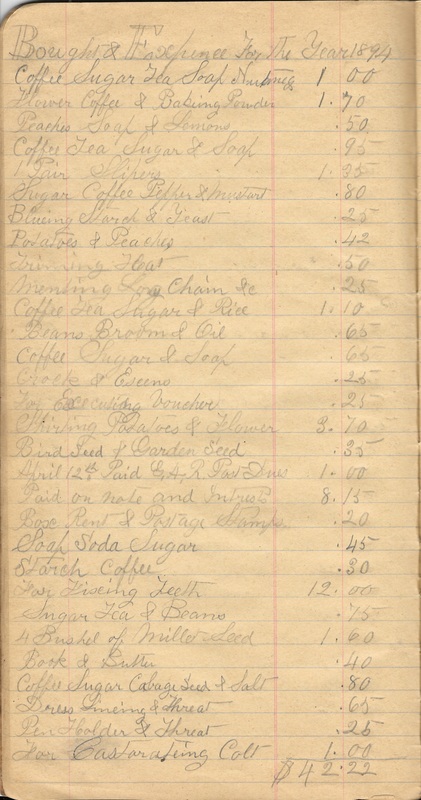 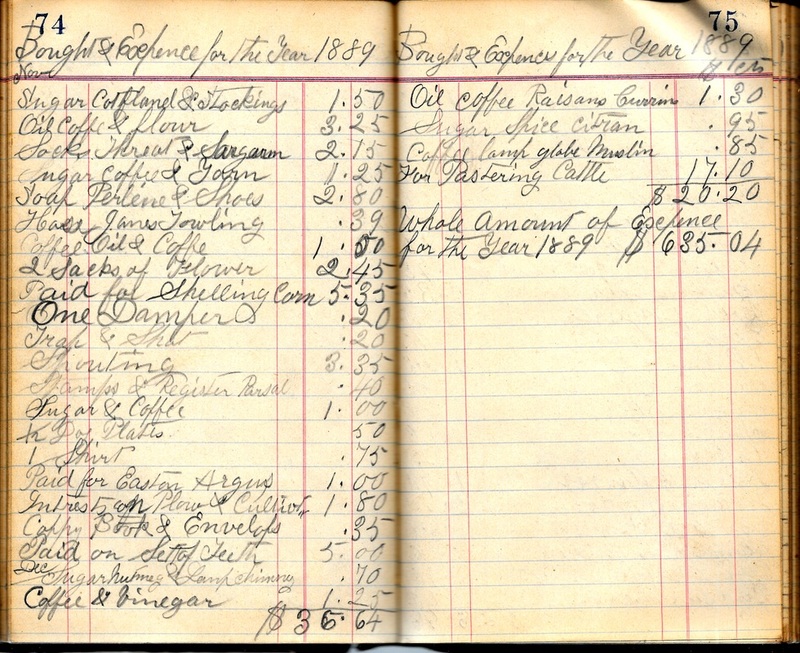 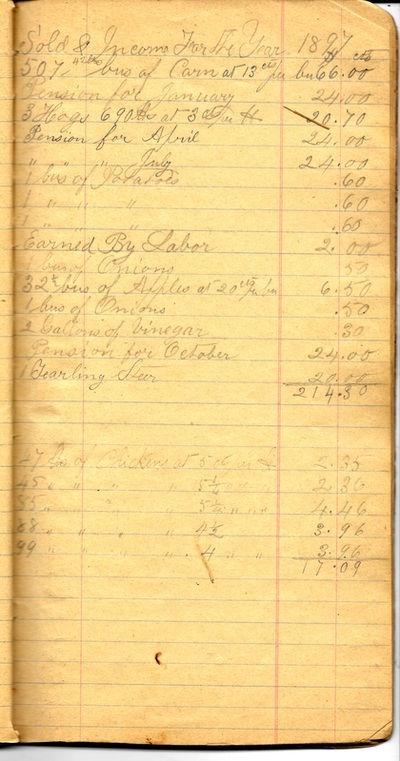 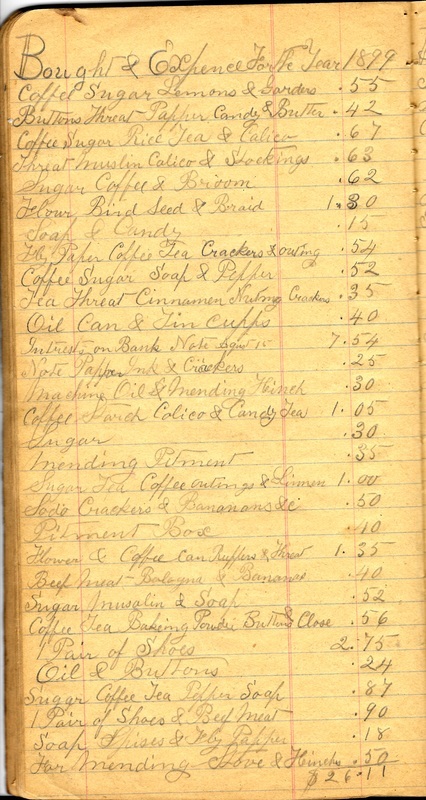 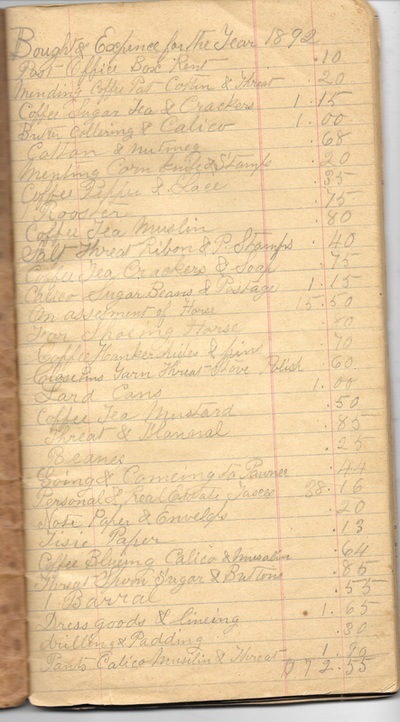 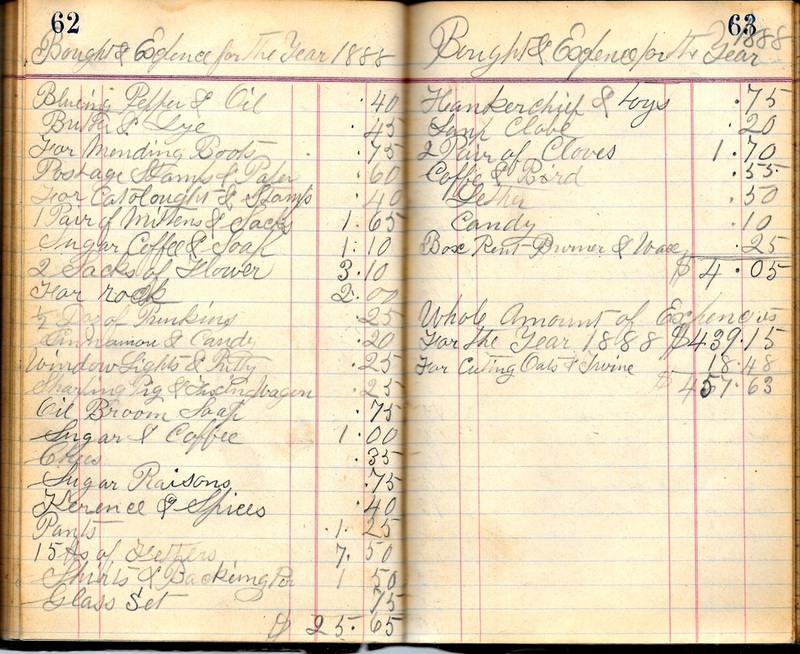 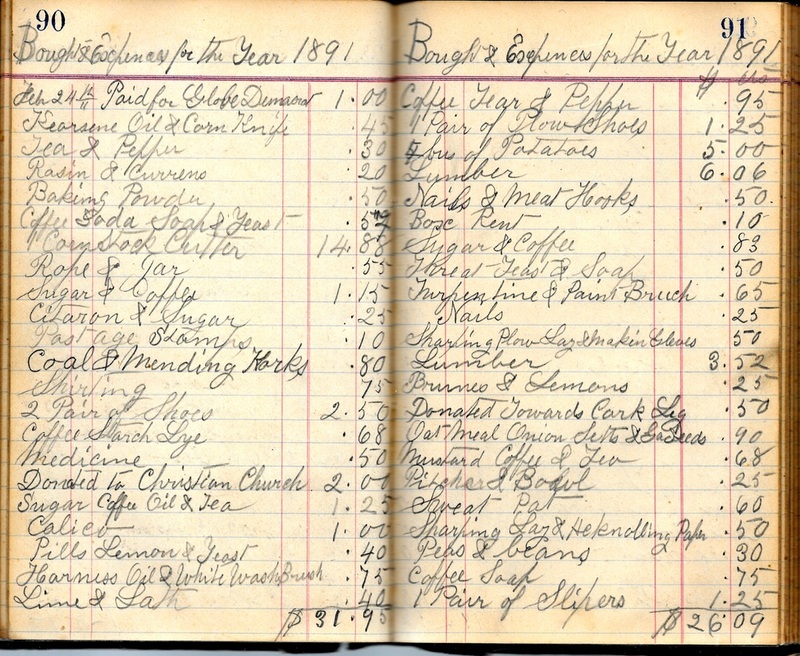 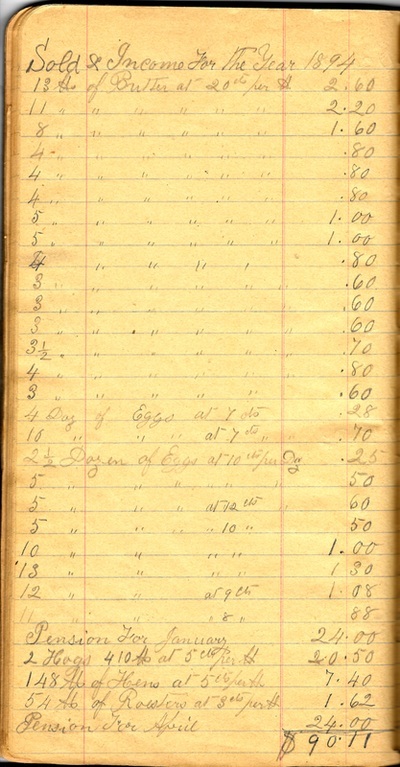 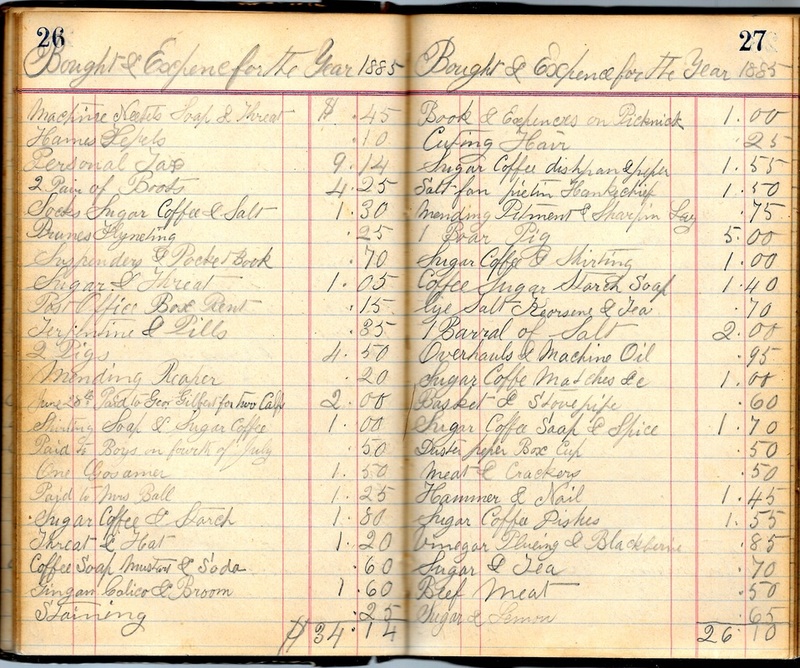 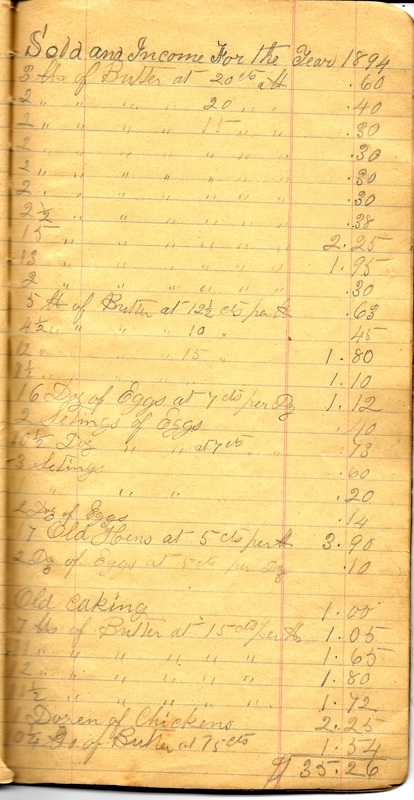 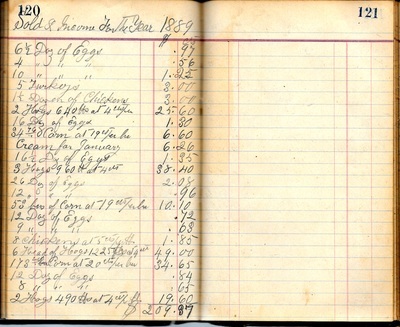 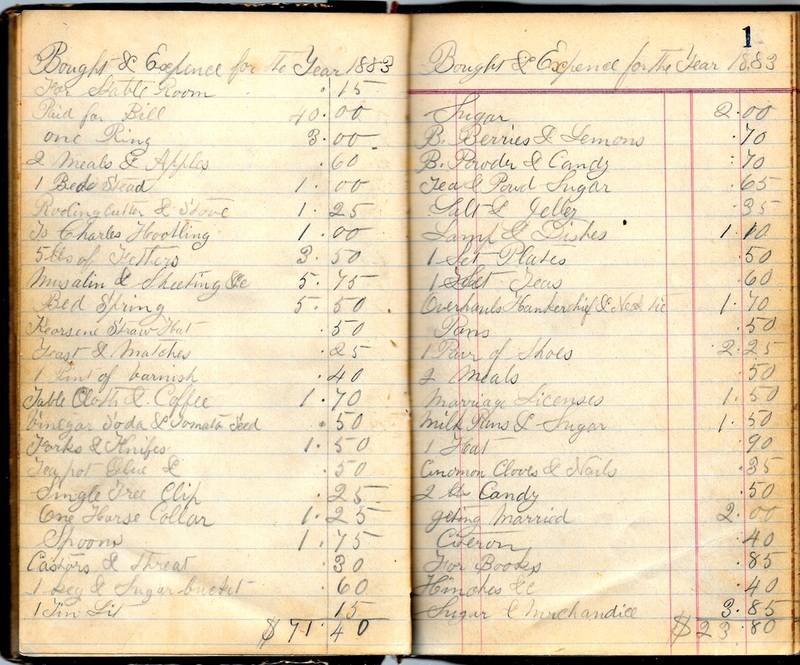 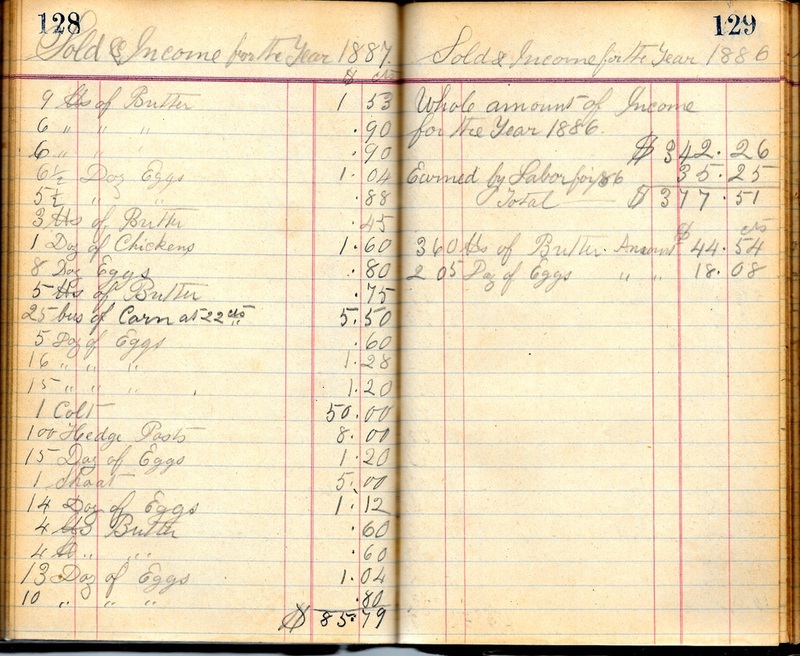 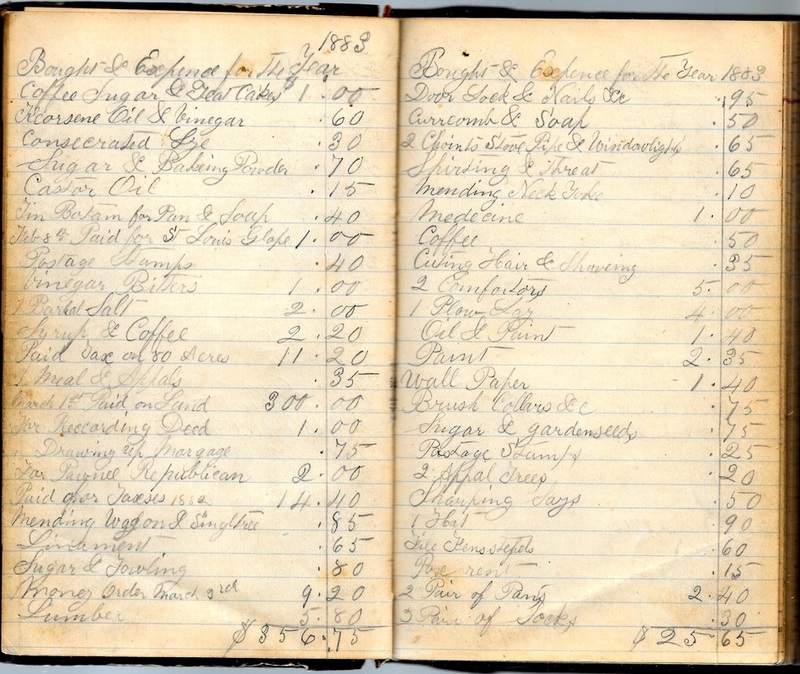 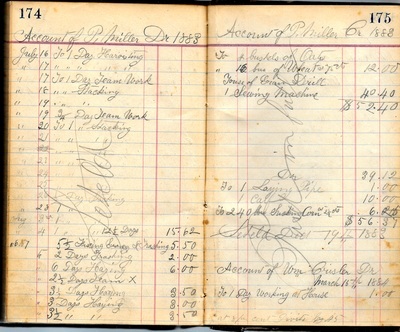 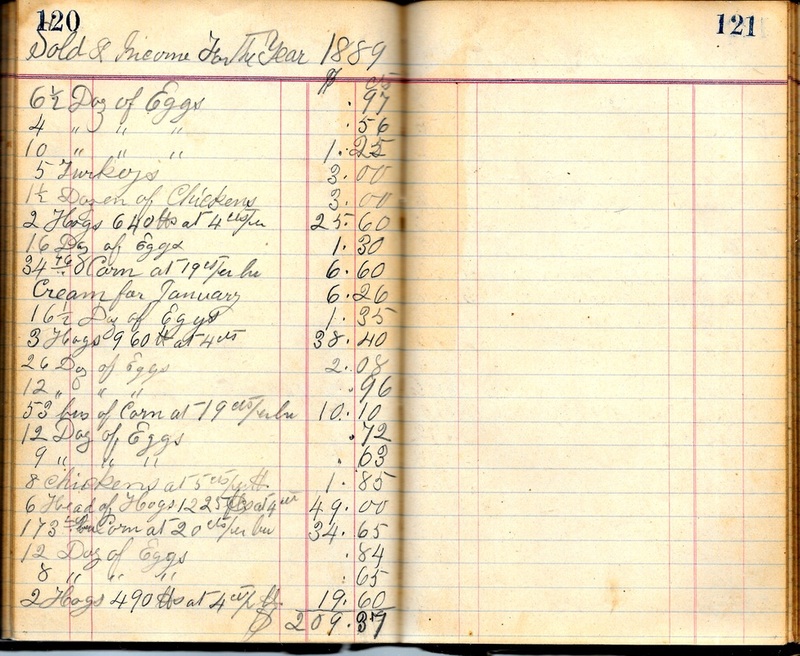 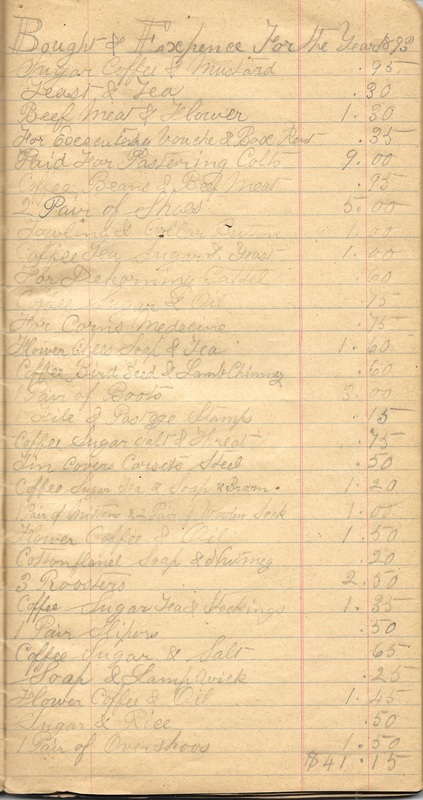 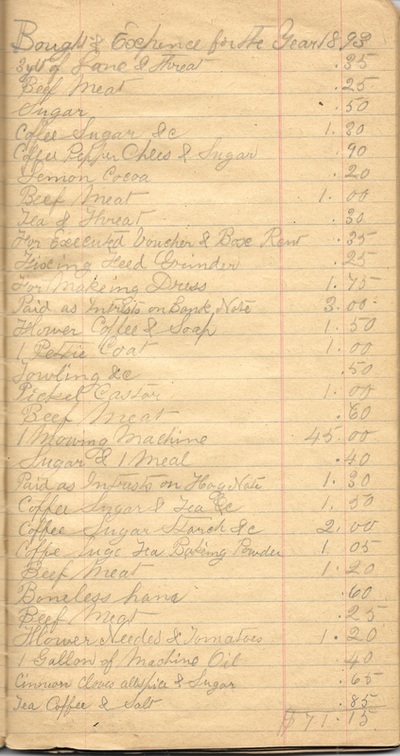 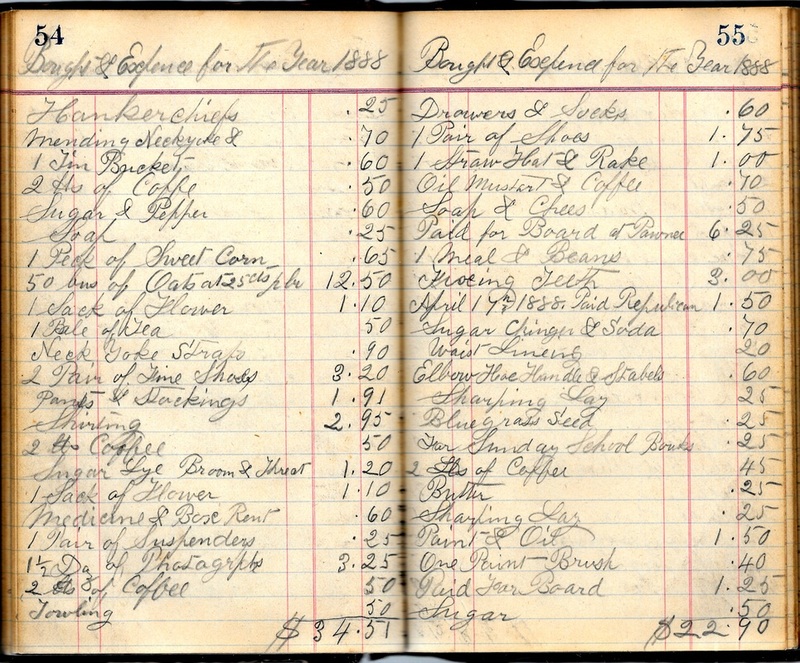 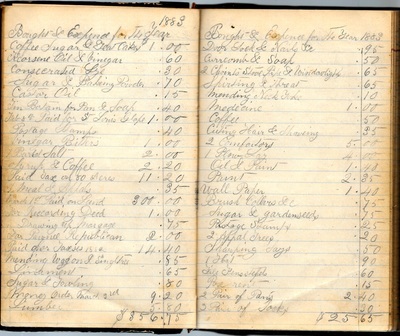 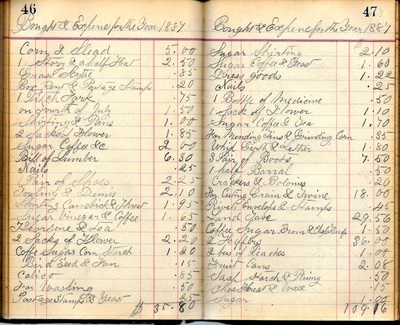 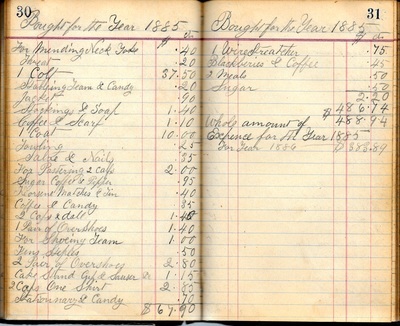 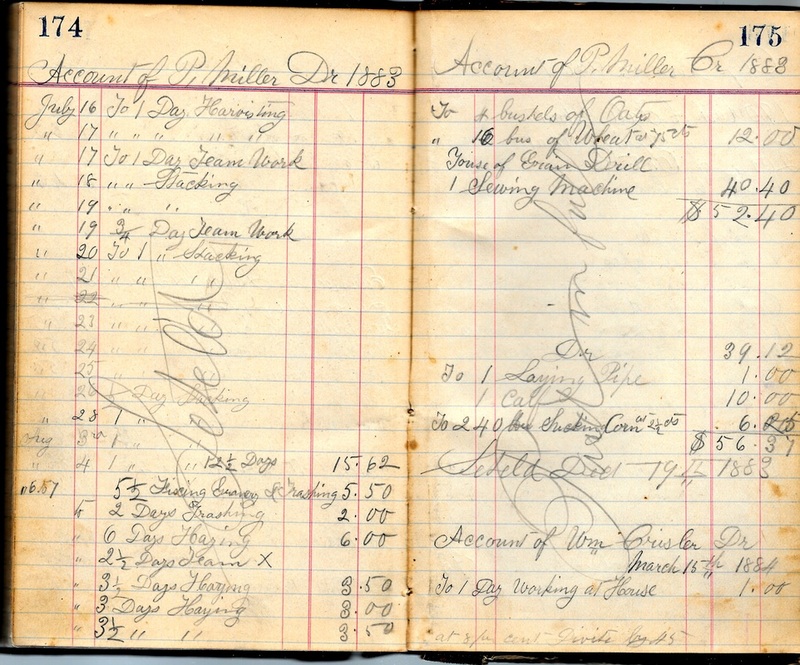 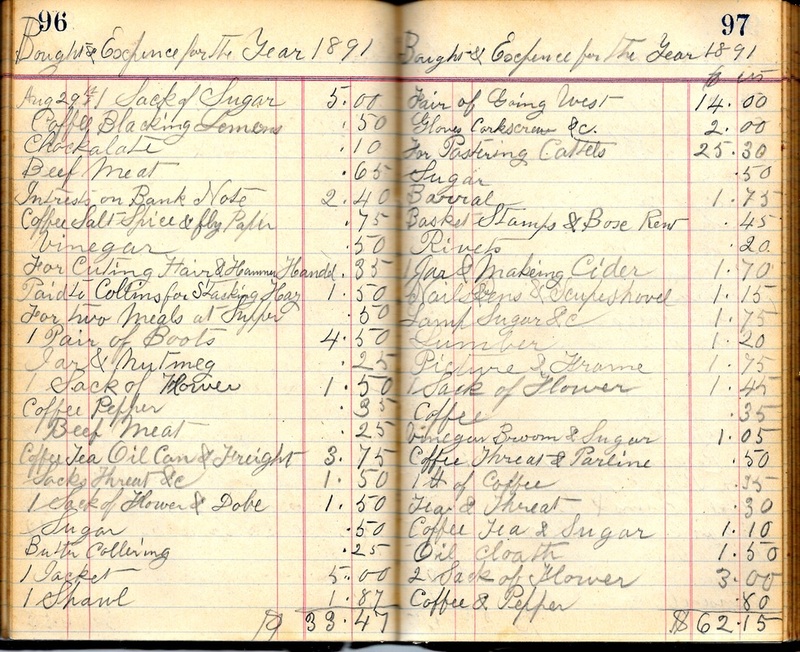 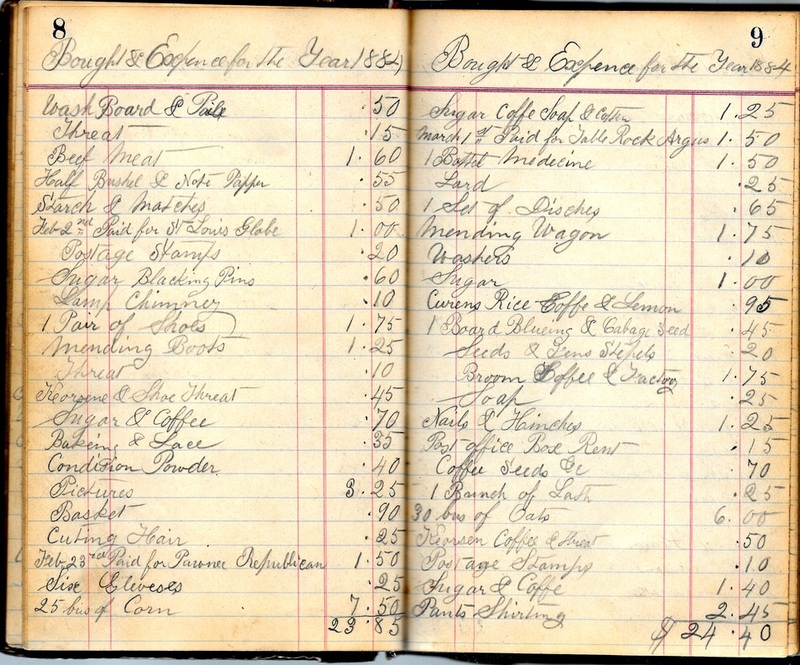 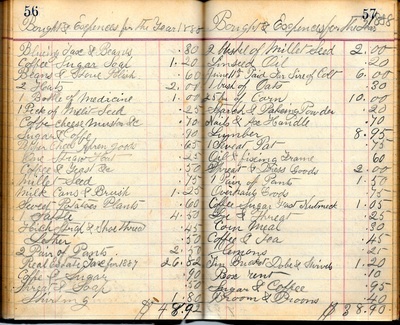 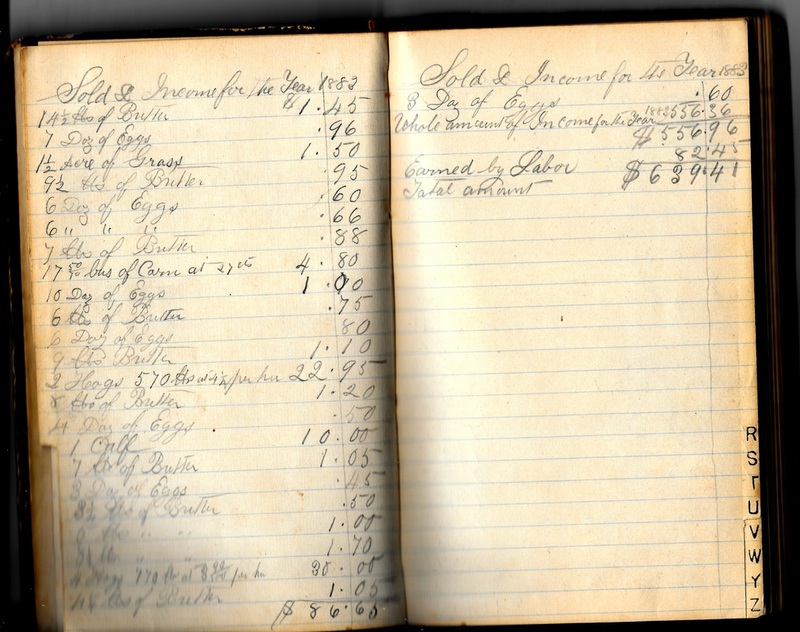 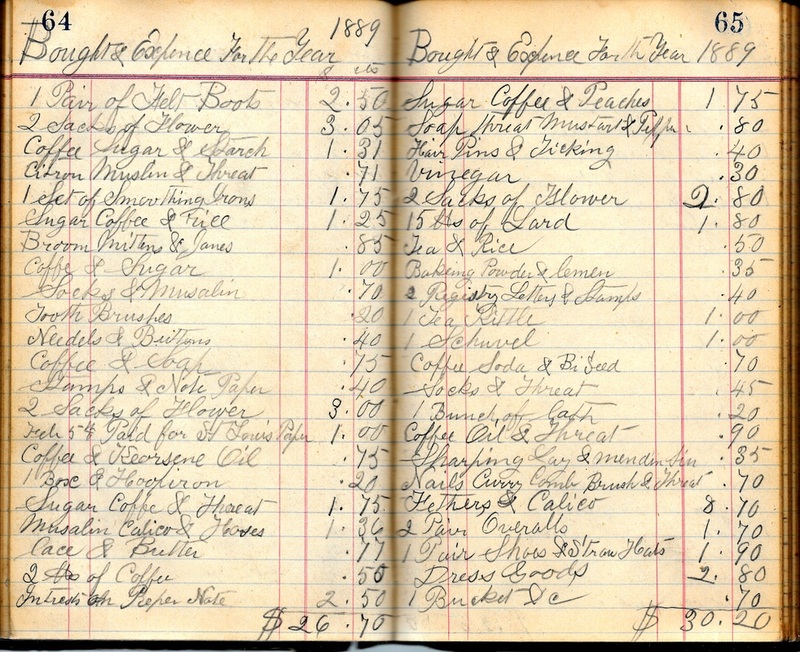 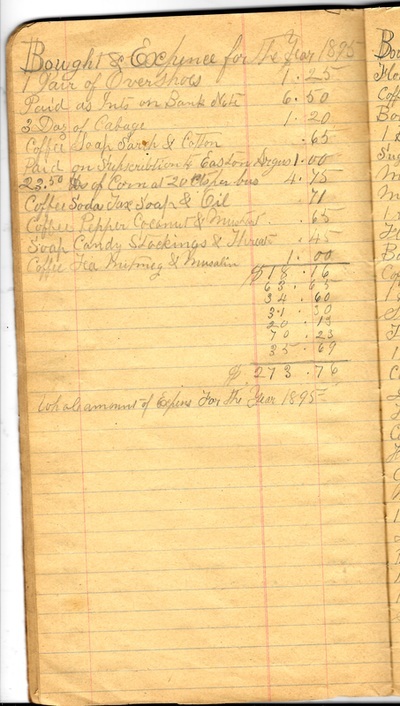 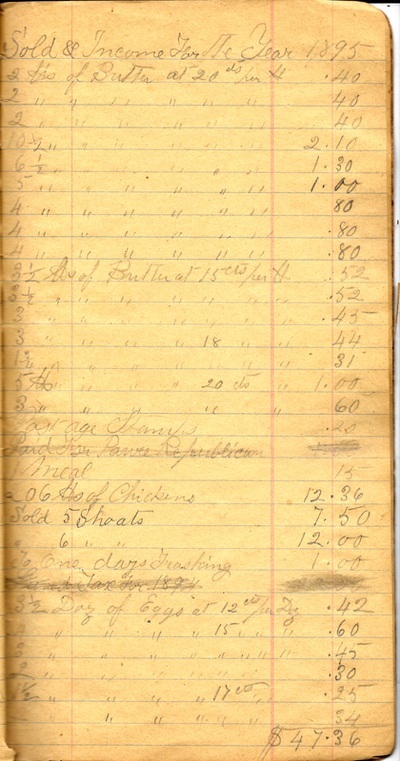 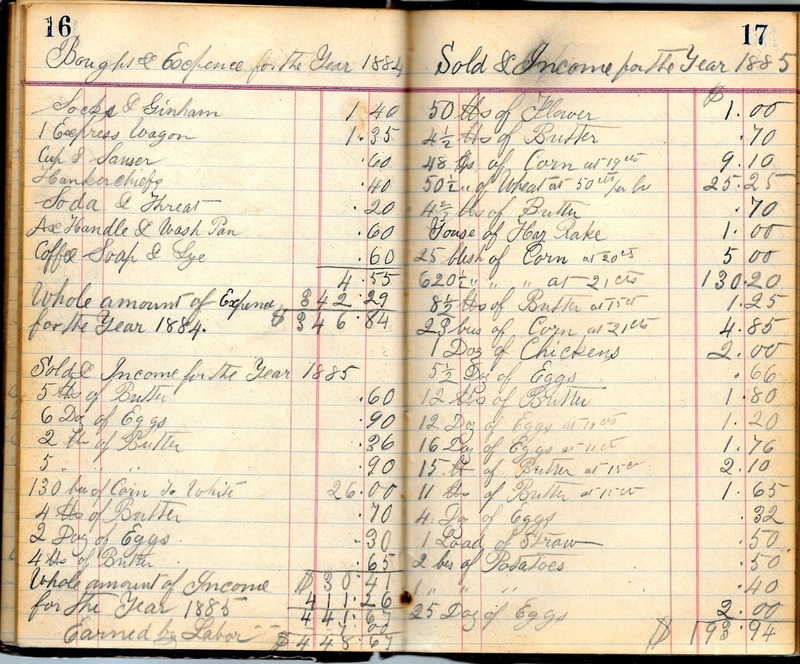 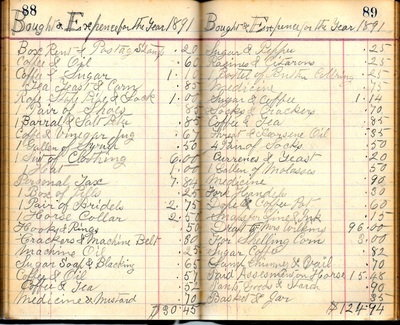 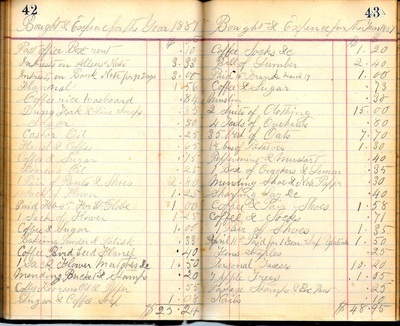 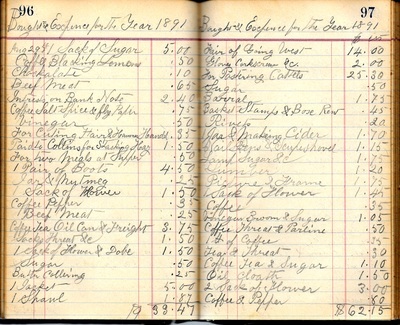 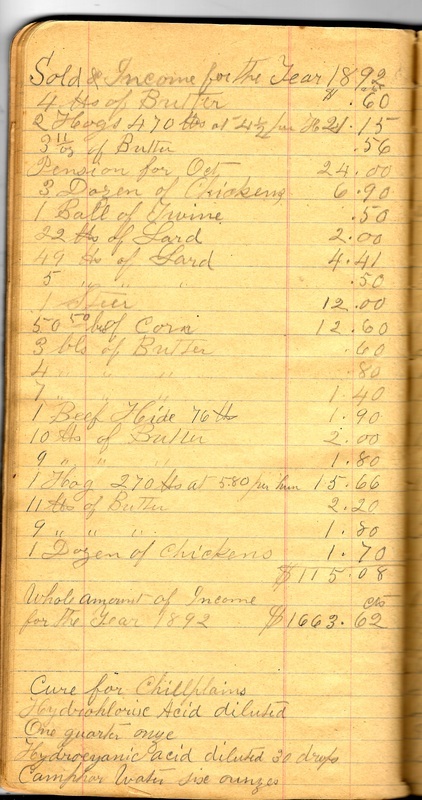 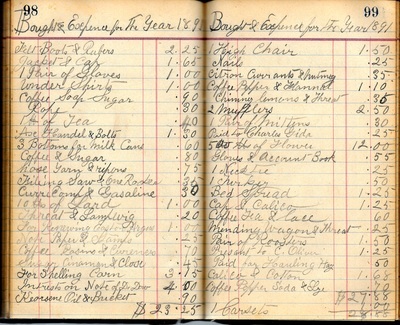 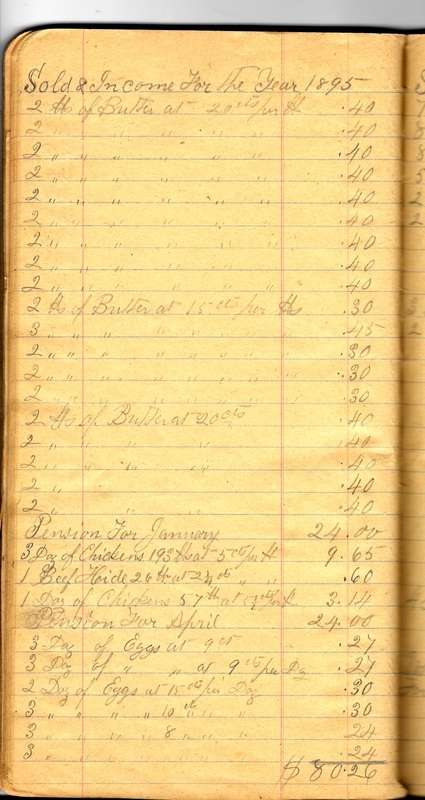 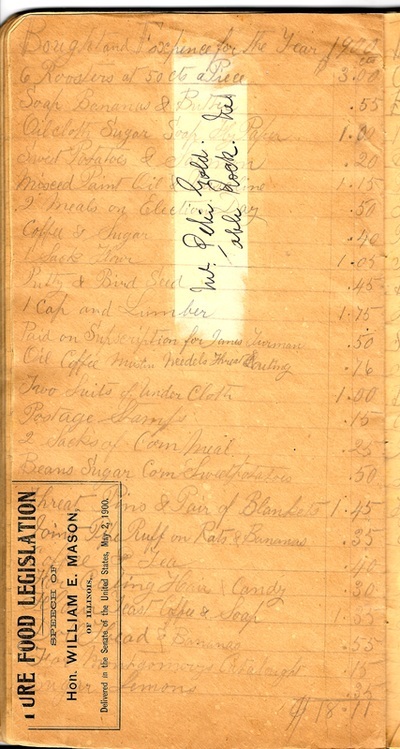 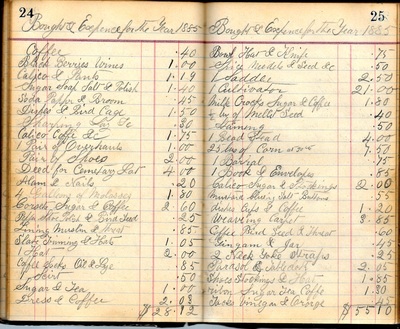 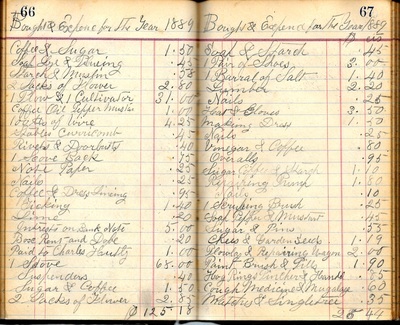 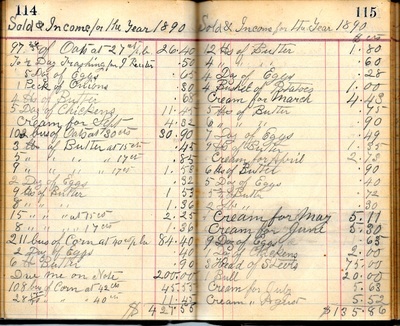 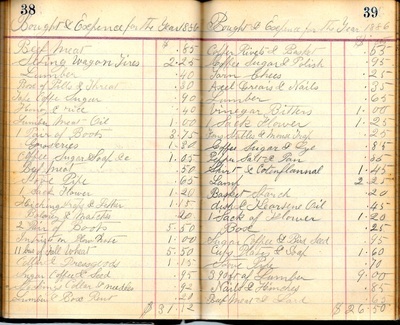 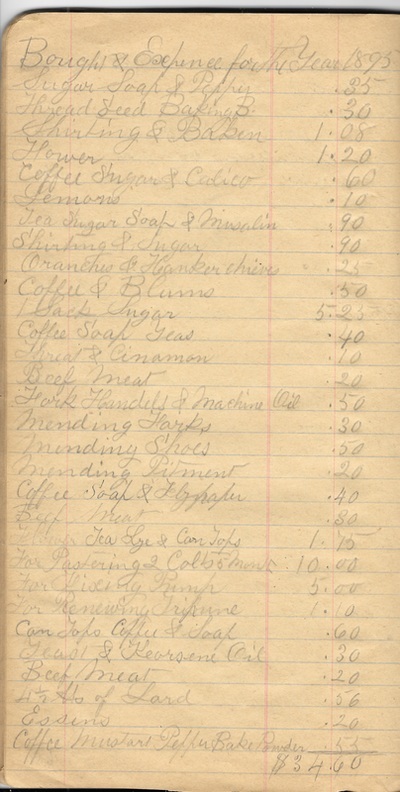 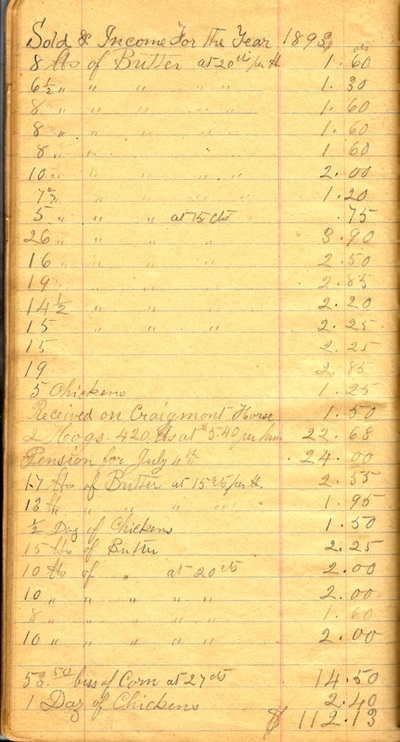 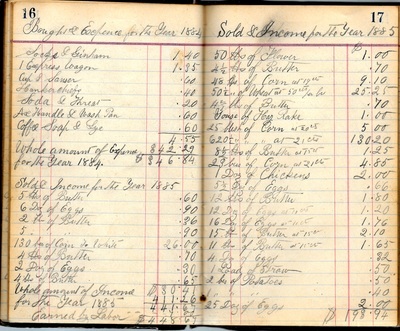 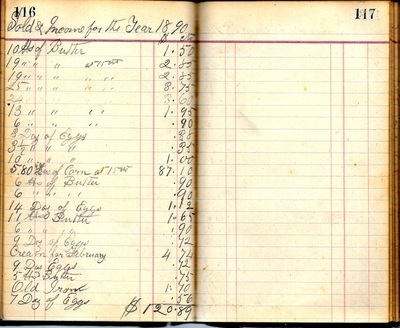 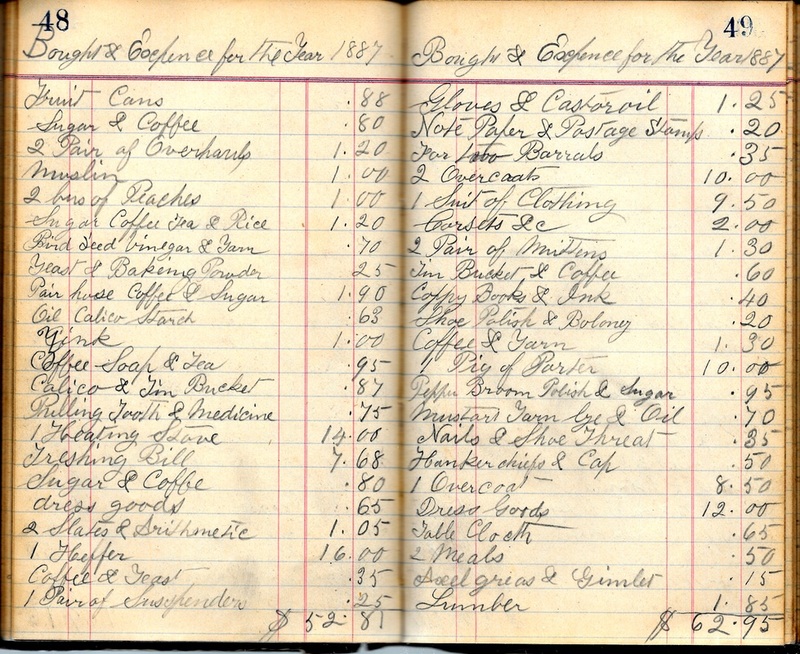 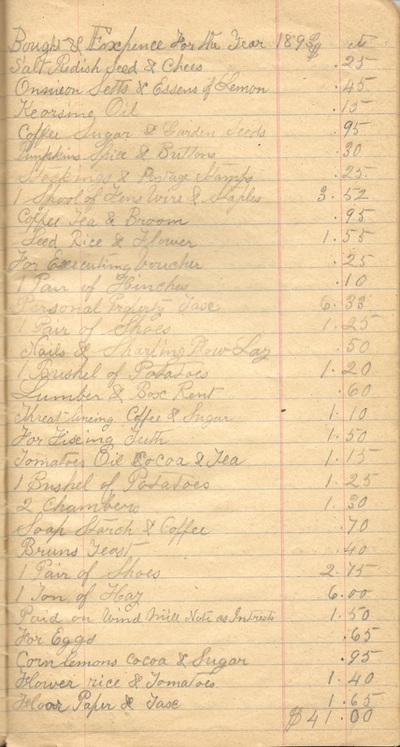 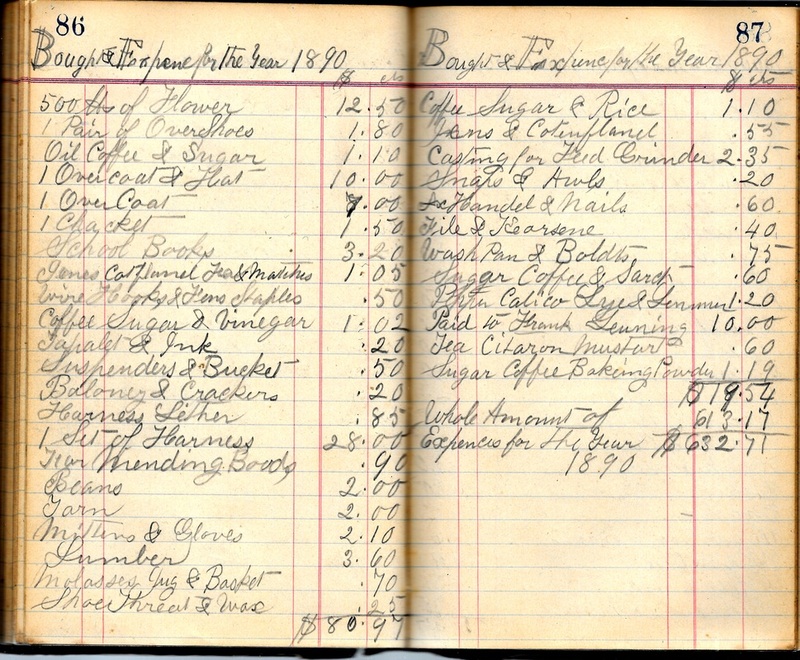 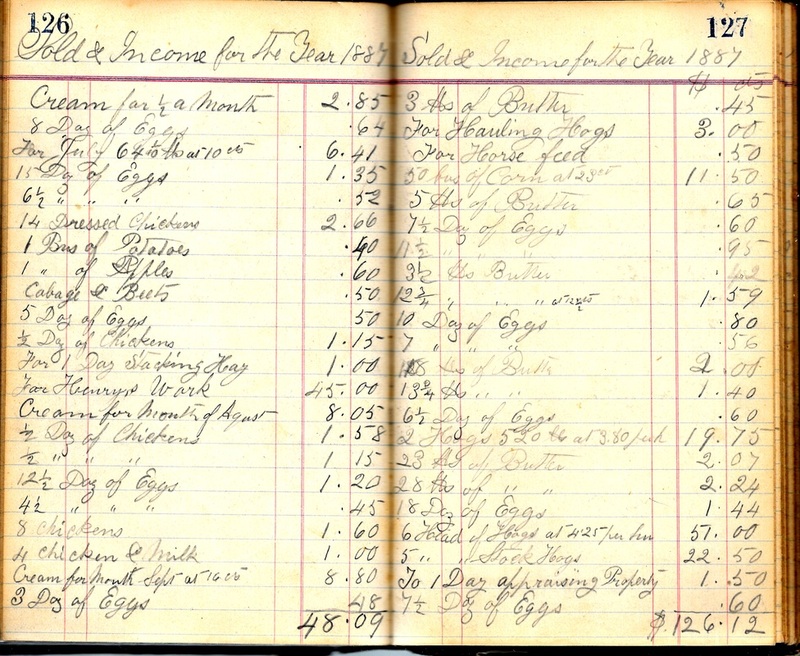 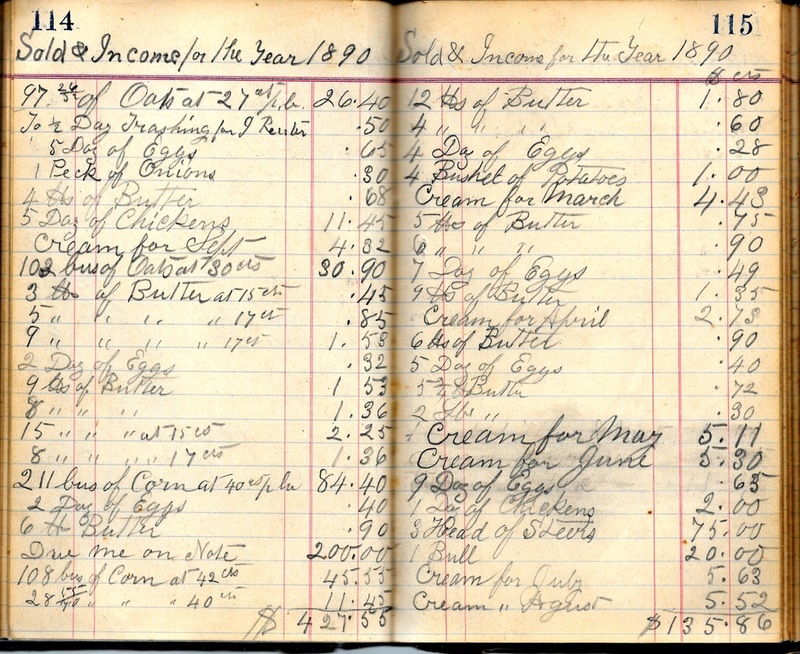 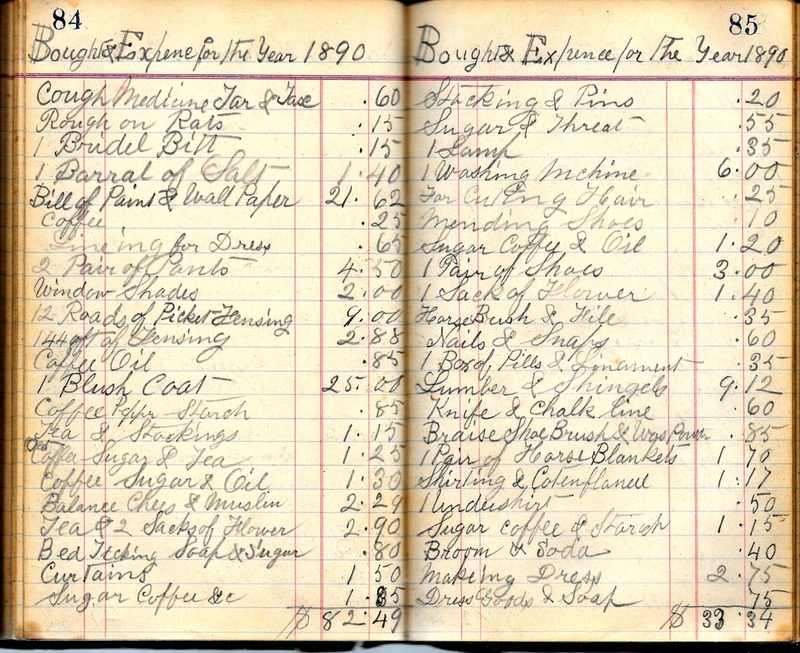 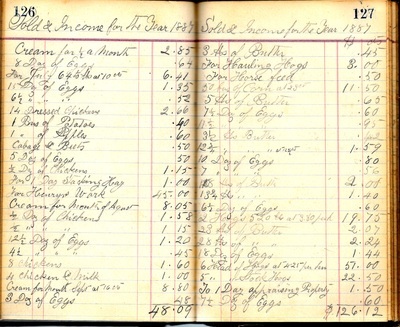 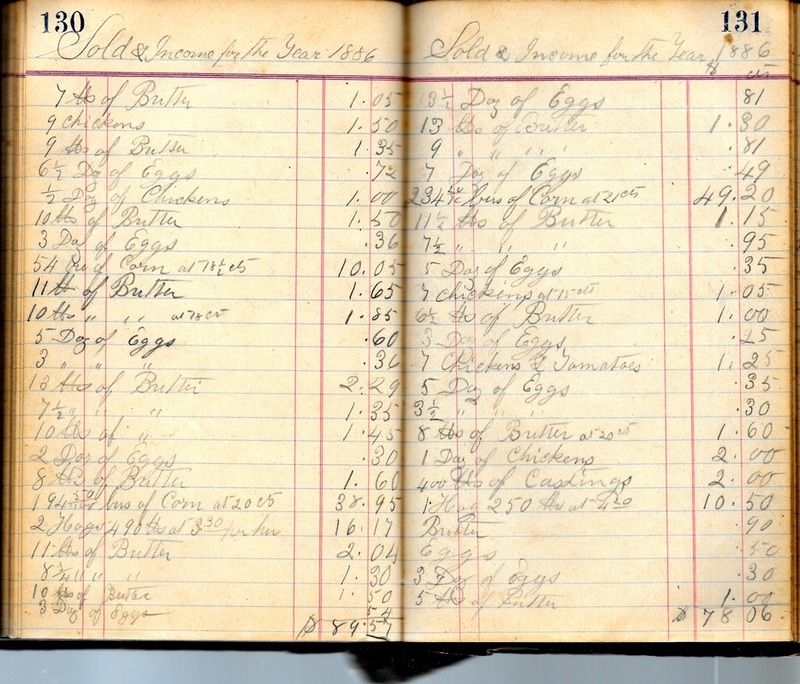 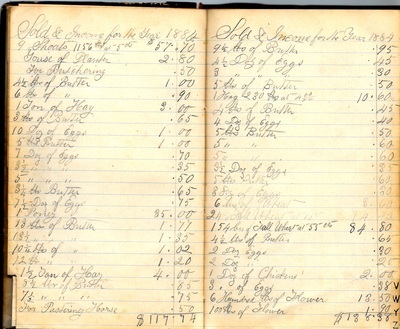 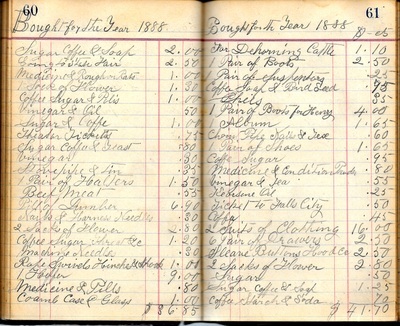 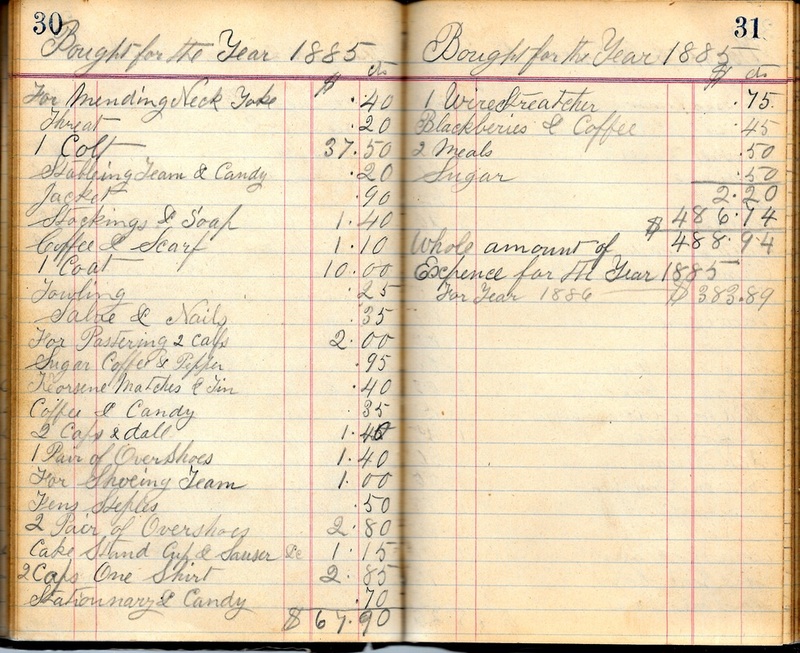 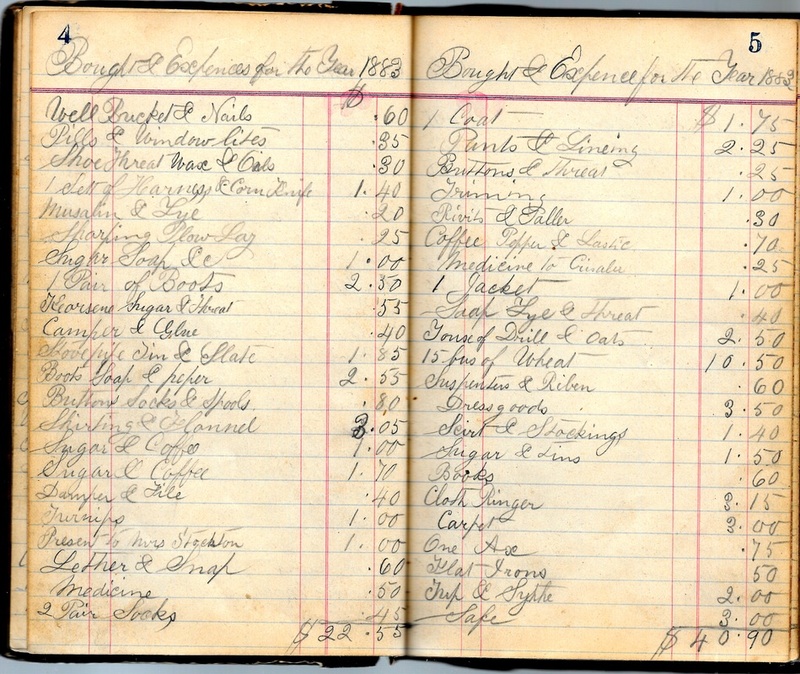 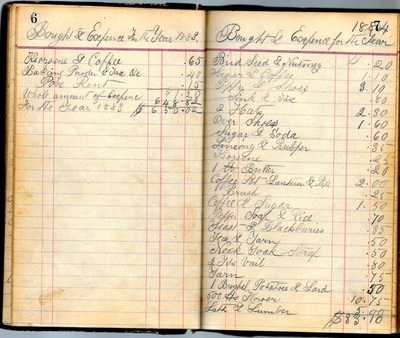 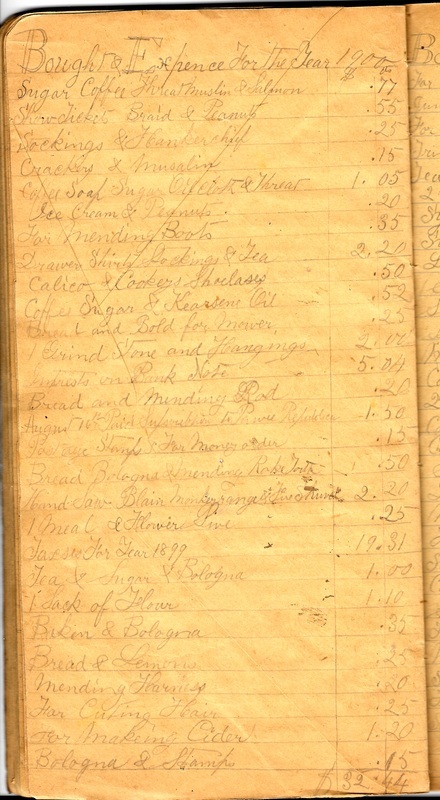 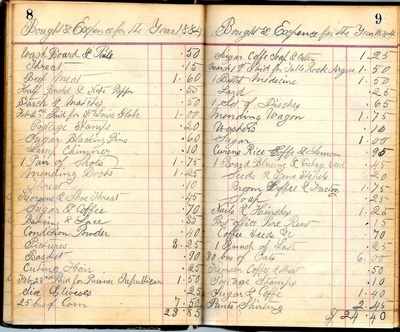 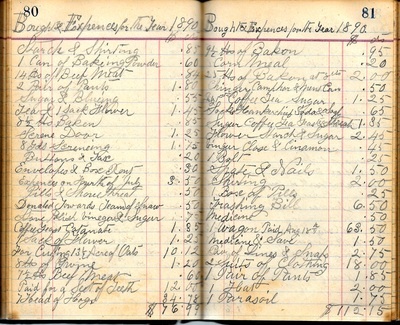 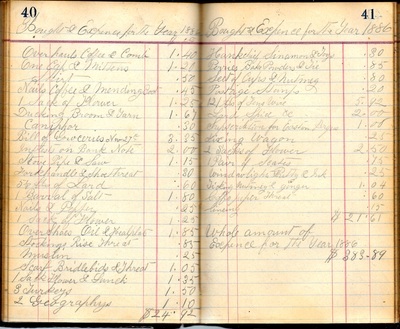 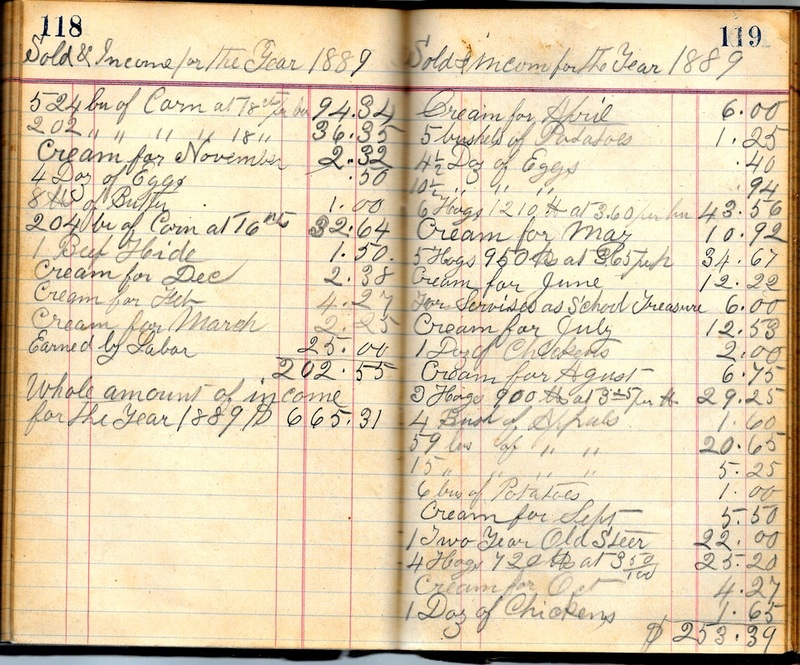 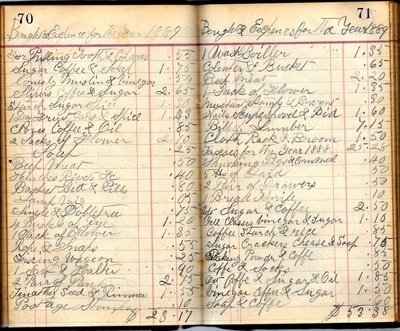 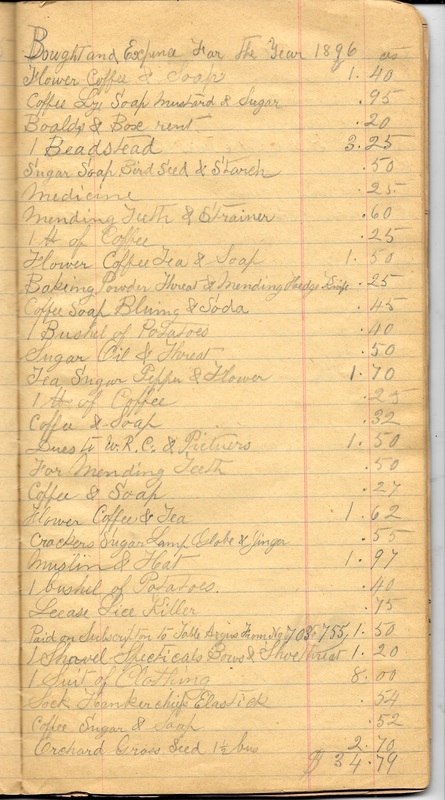 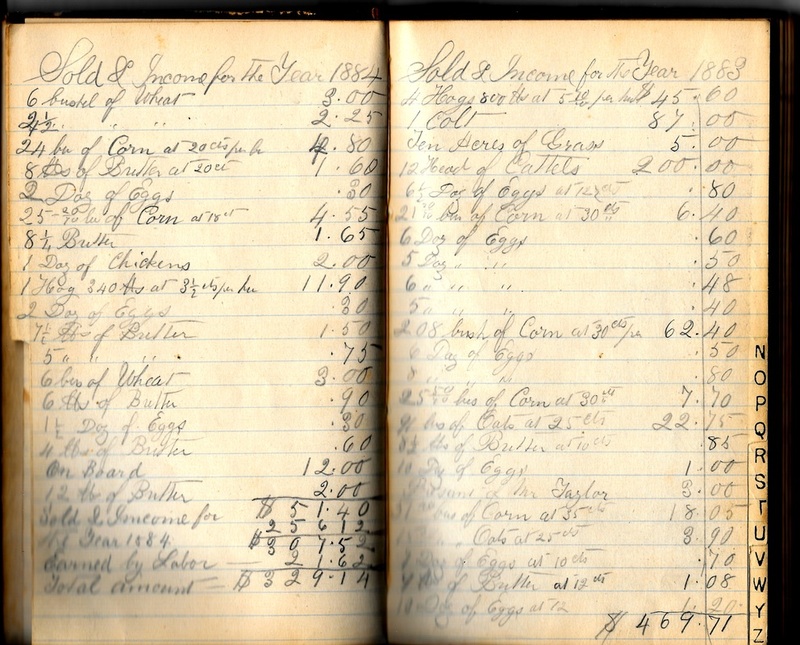 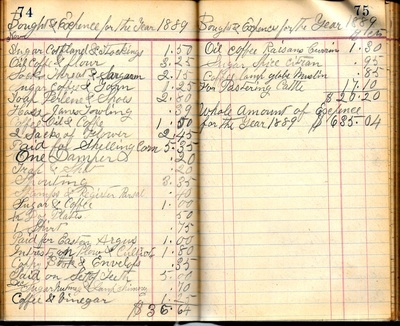 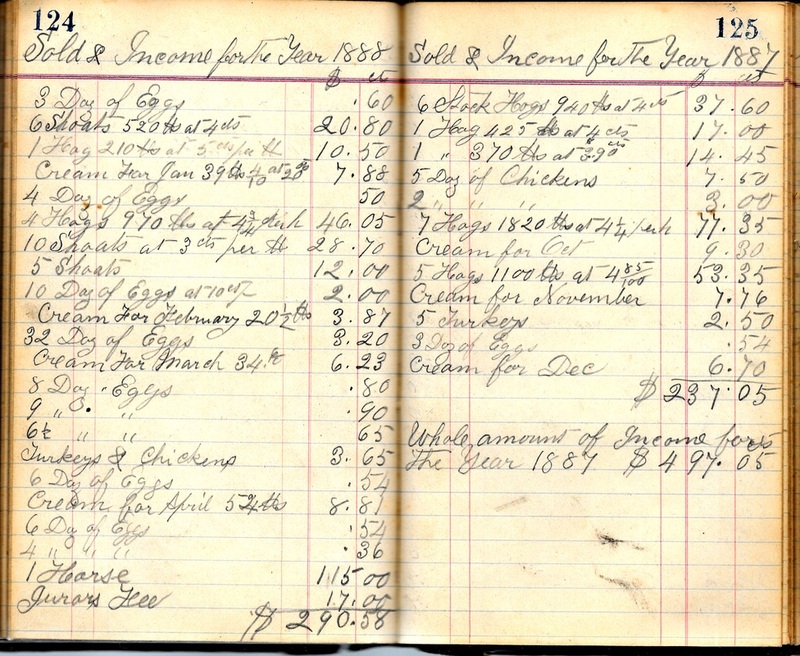 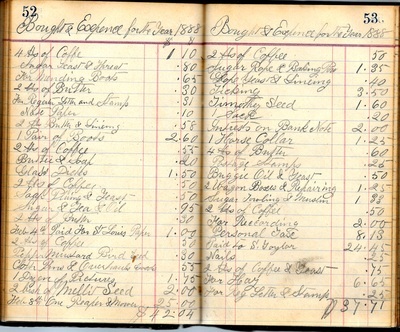 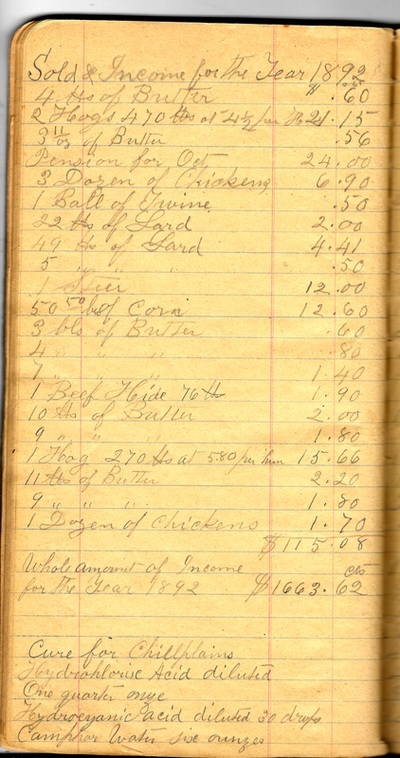 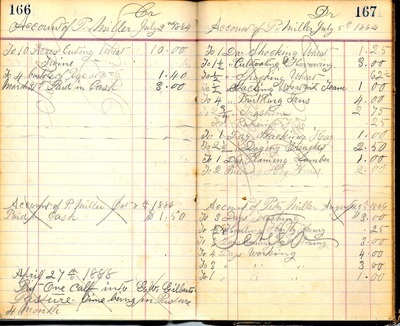 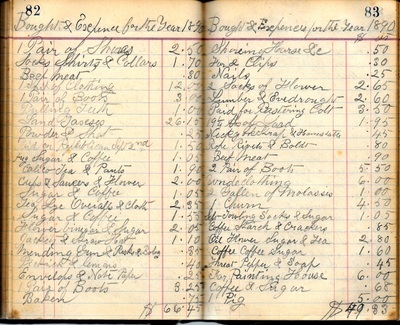 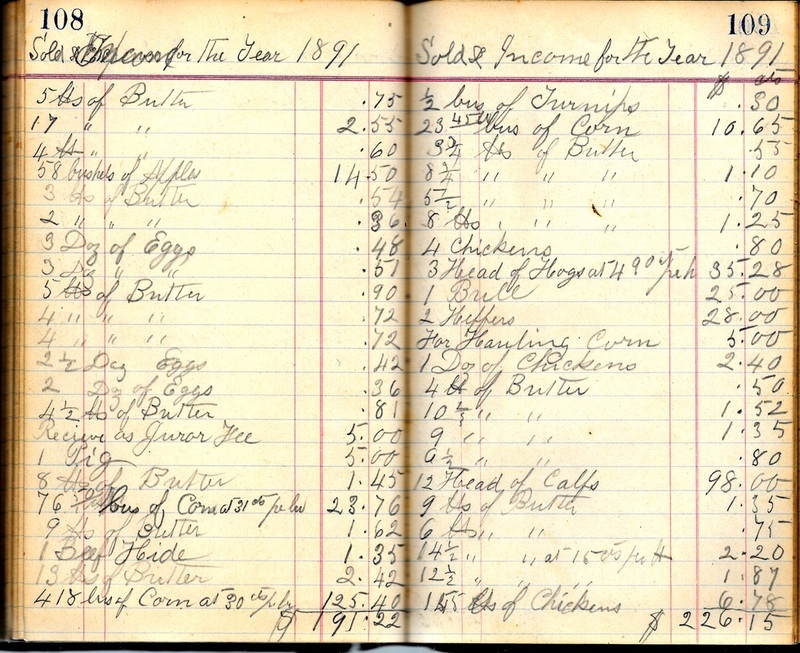 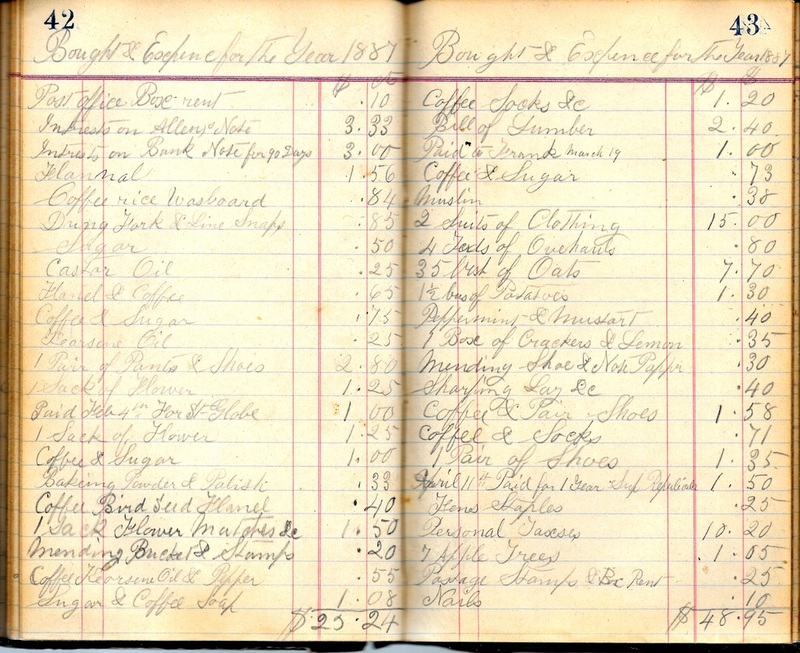 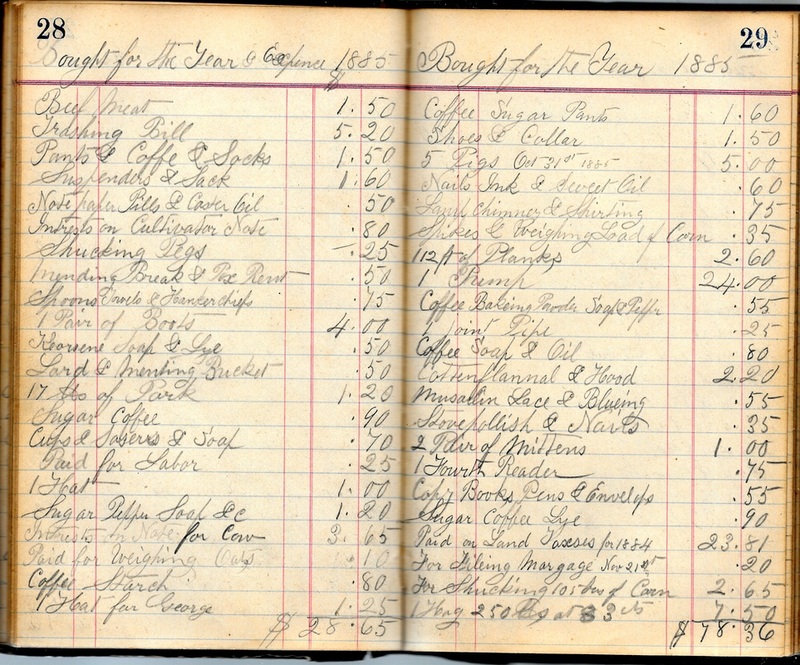 In this one, Peter Gold kept track of accounts from the years 1884 to 1891. 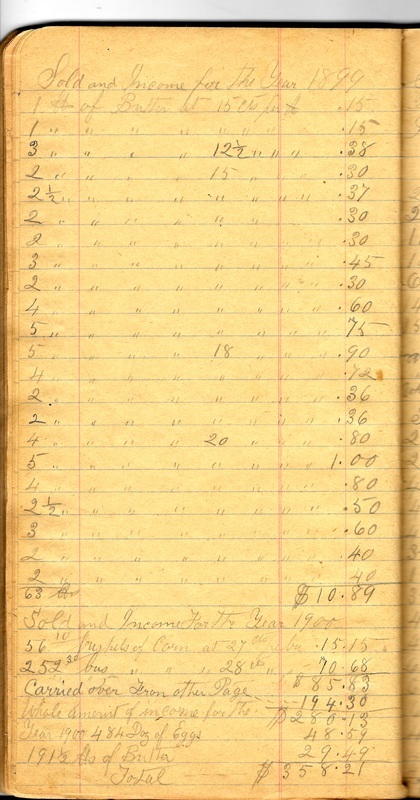 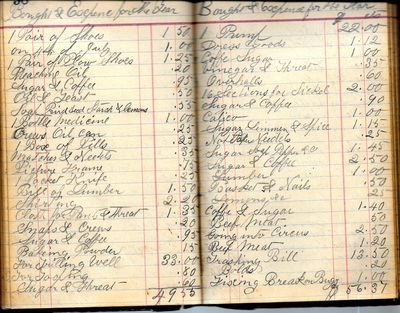 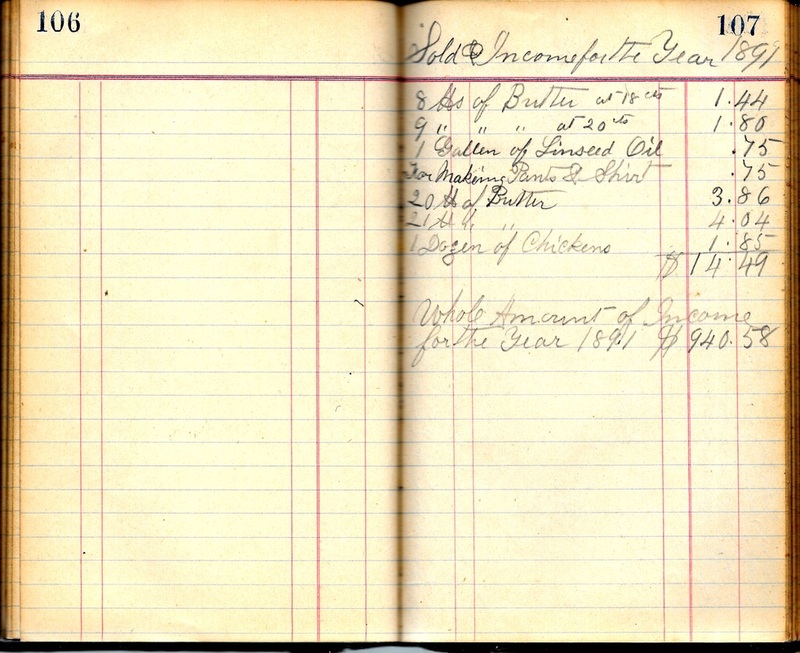 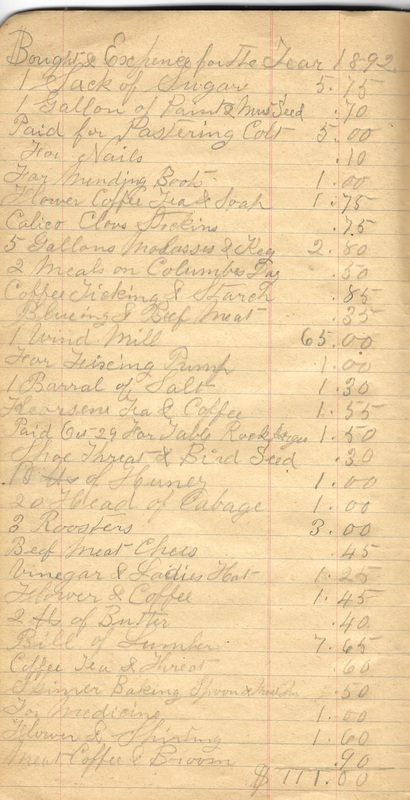 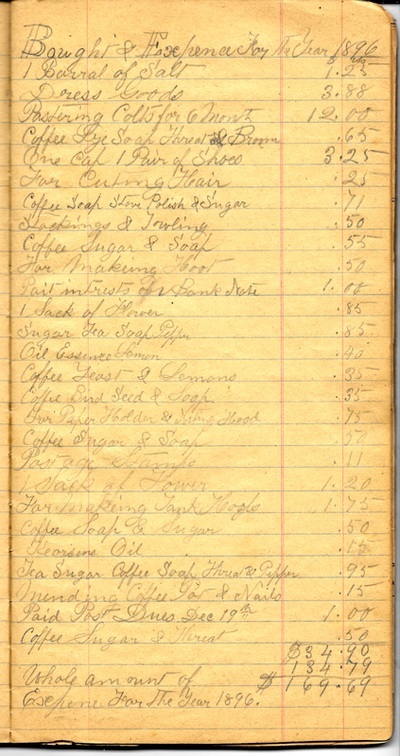 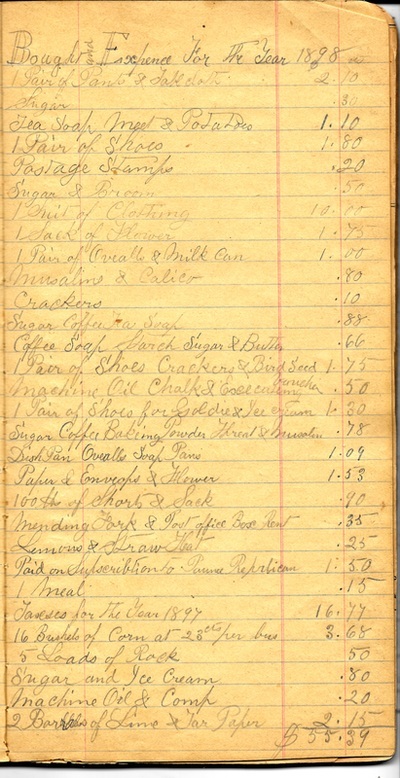 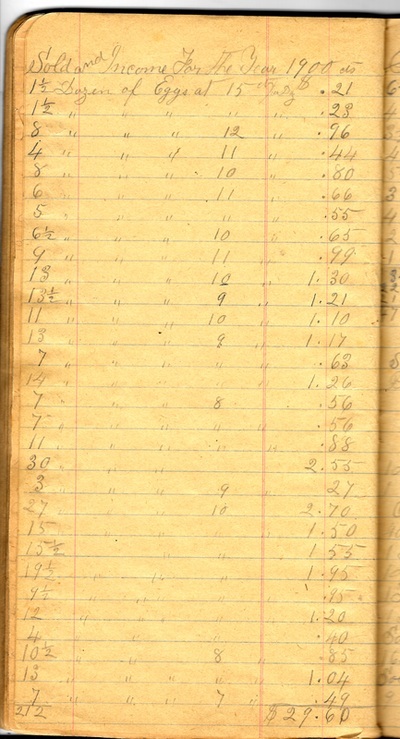 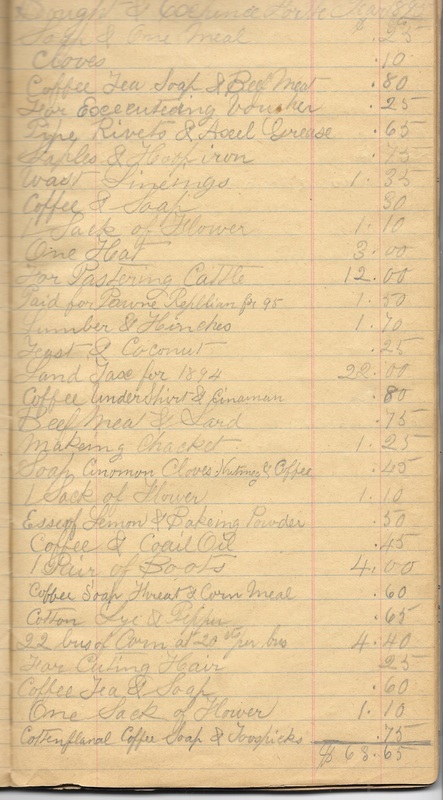 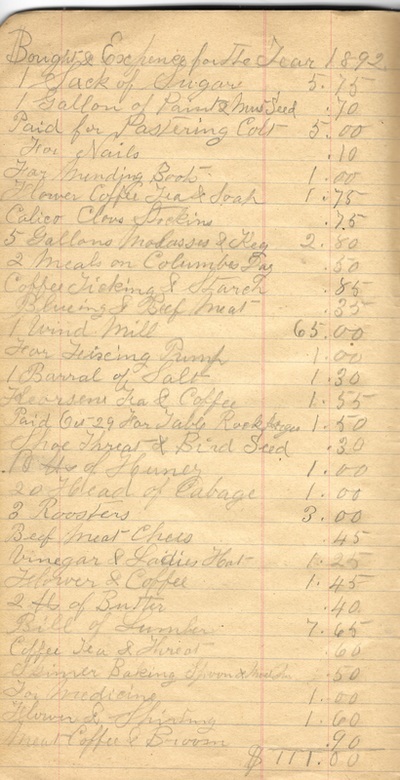 There are over 80 pages in this ledger. 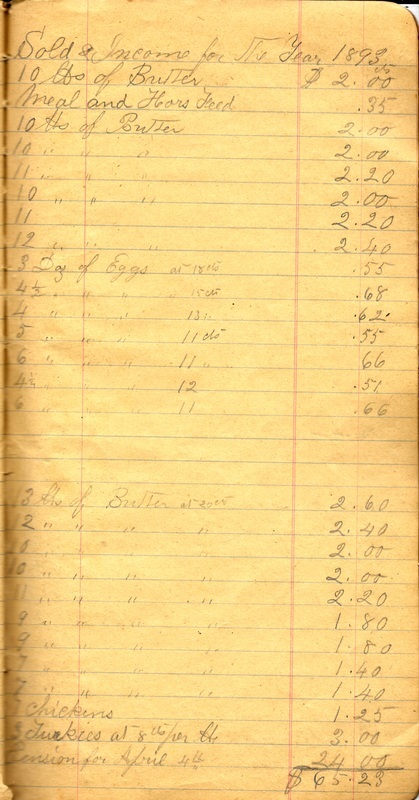 the rest of the pages are in the "galleries" below.